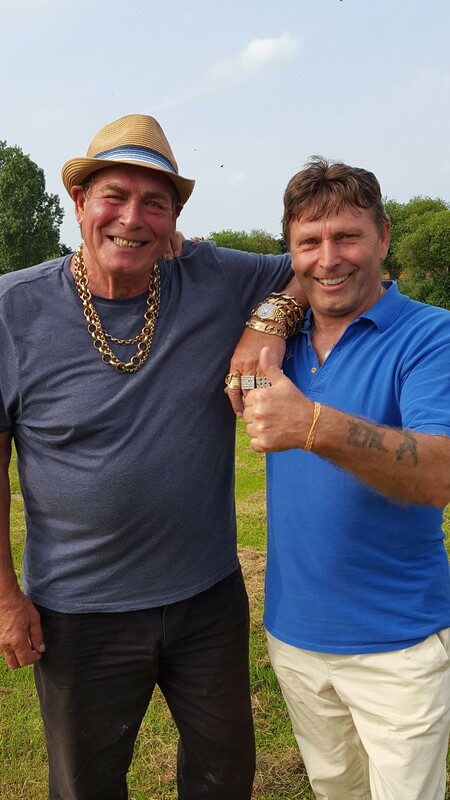 We would just like to thank Bobby George & Jimmy White, and Ali and the film crew from The Big Fish Off, who visited Milton Pools Fishery on Thursday, 9th June. After catching a variety of fish, they said that they had had a really good day with us. 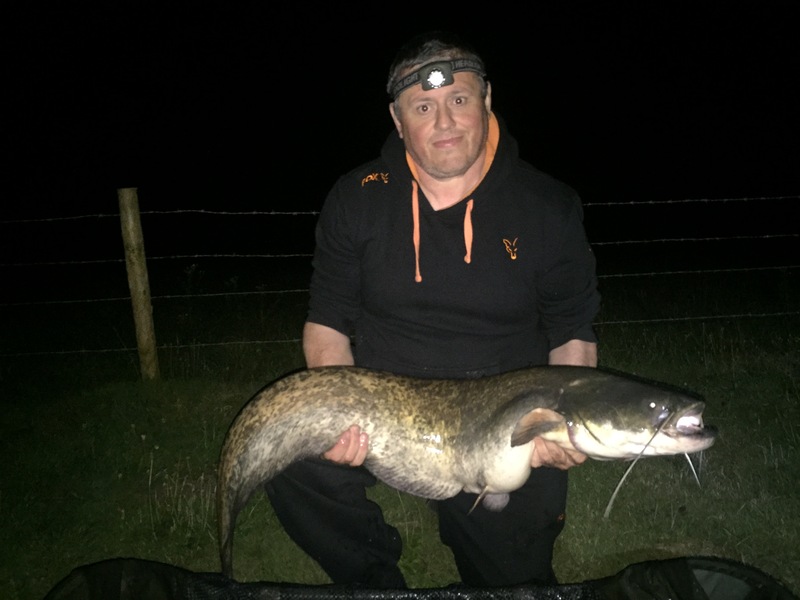 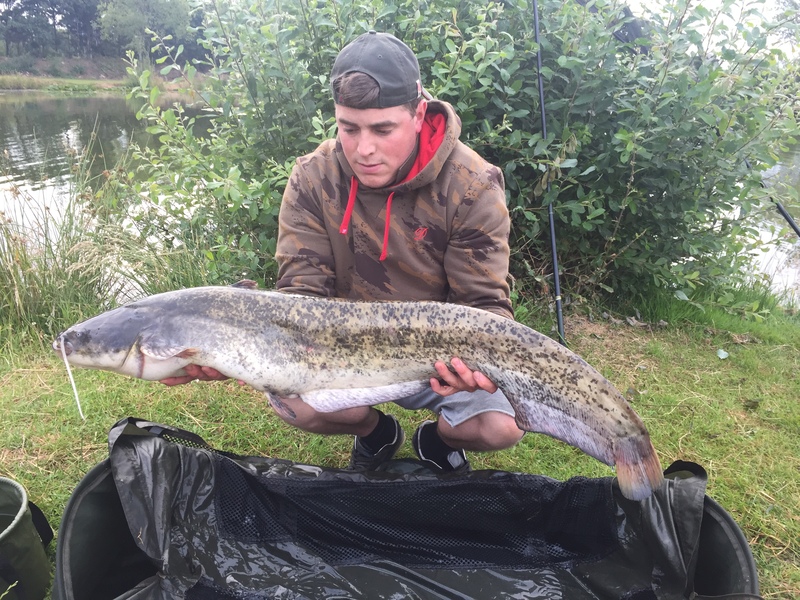 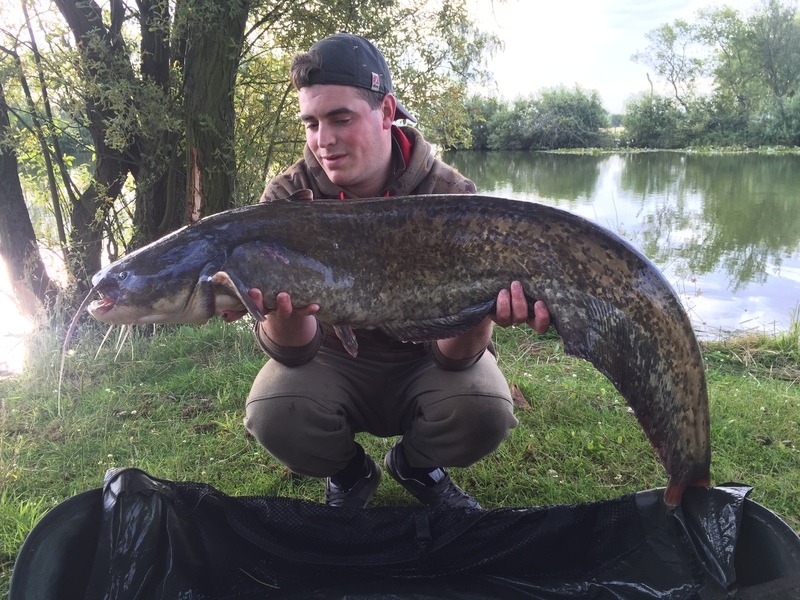 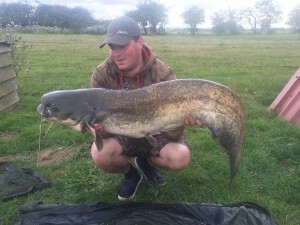 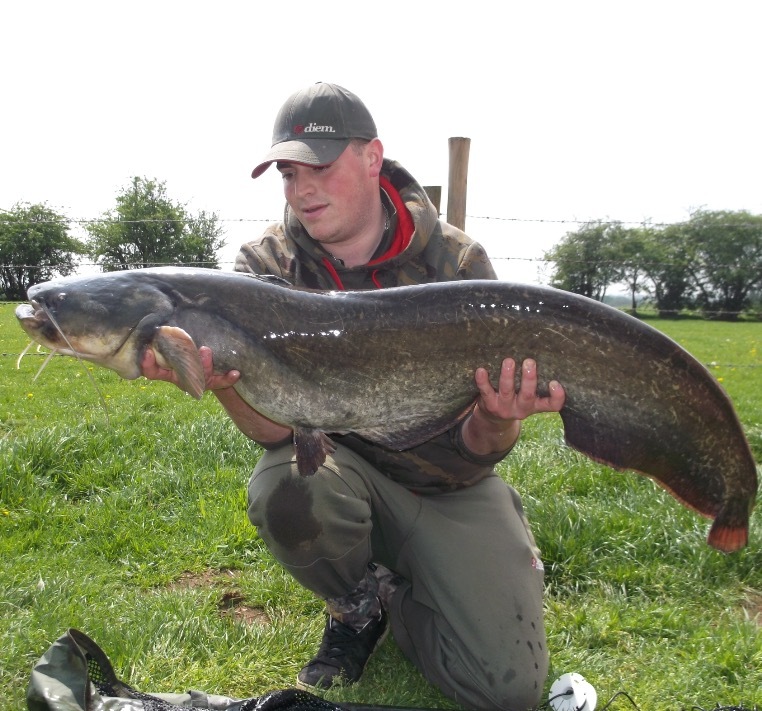 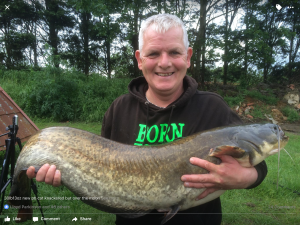 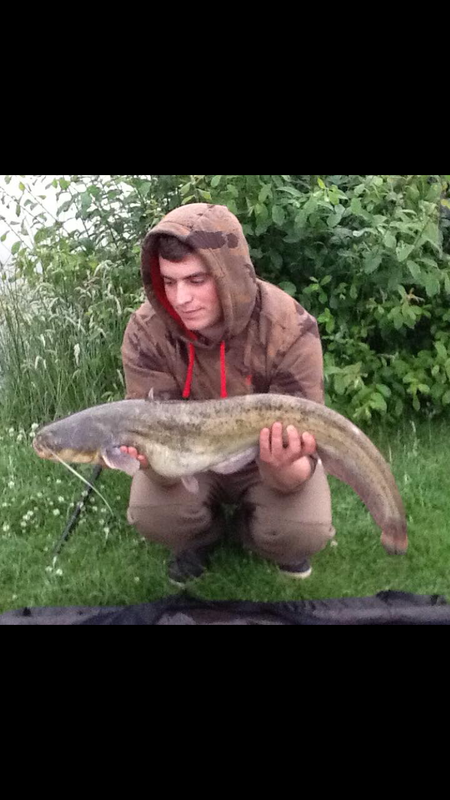 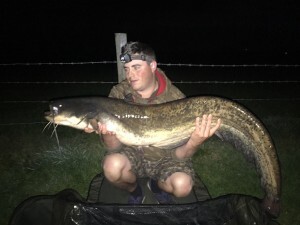 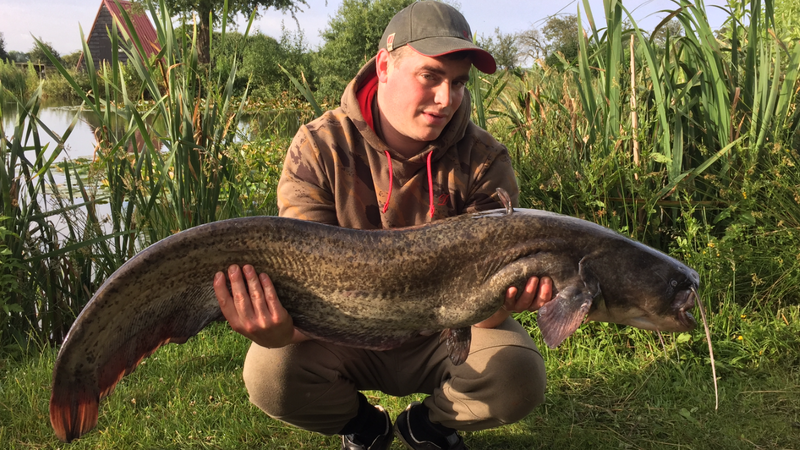 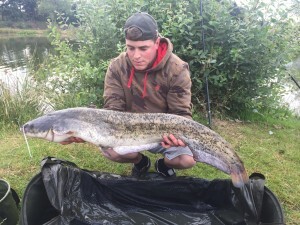 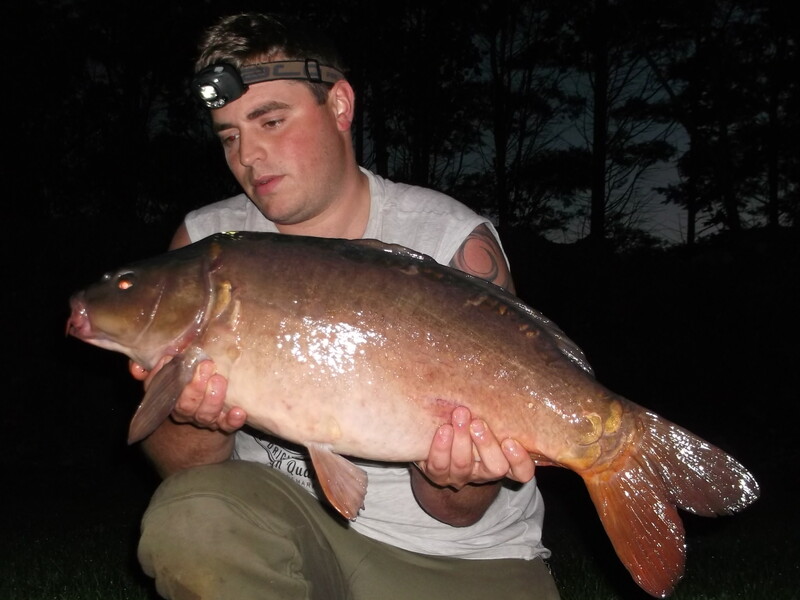 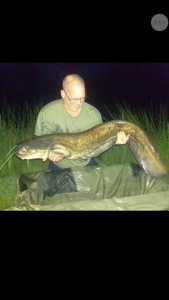 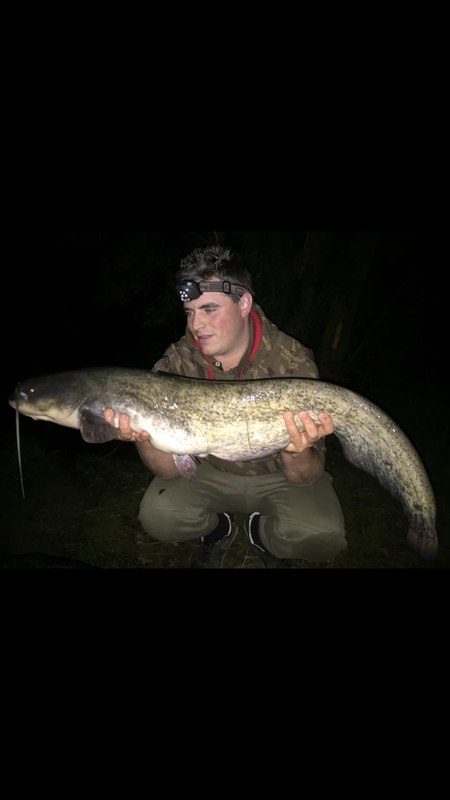 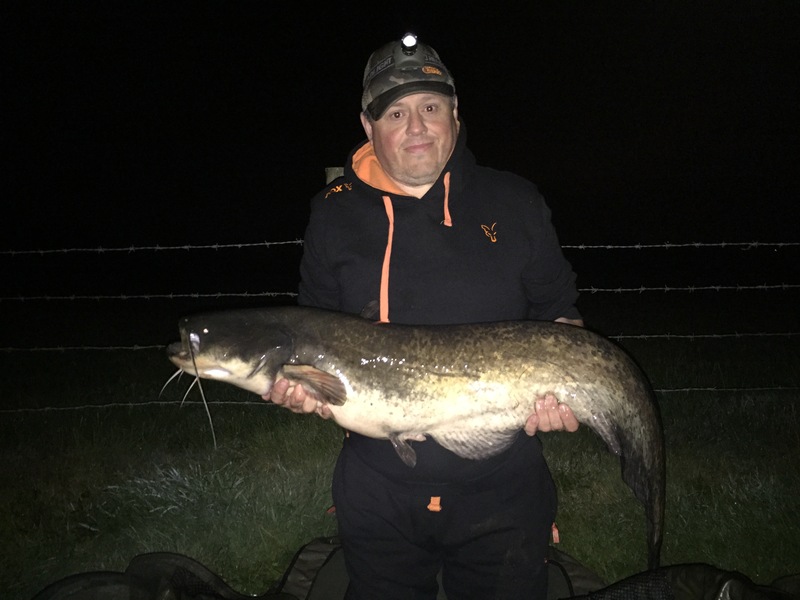 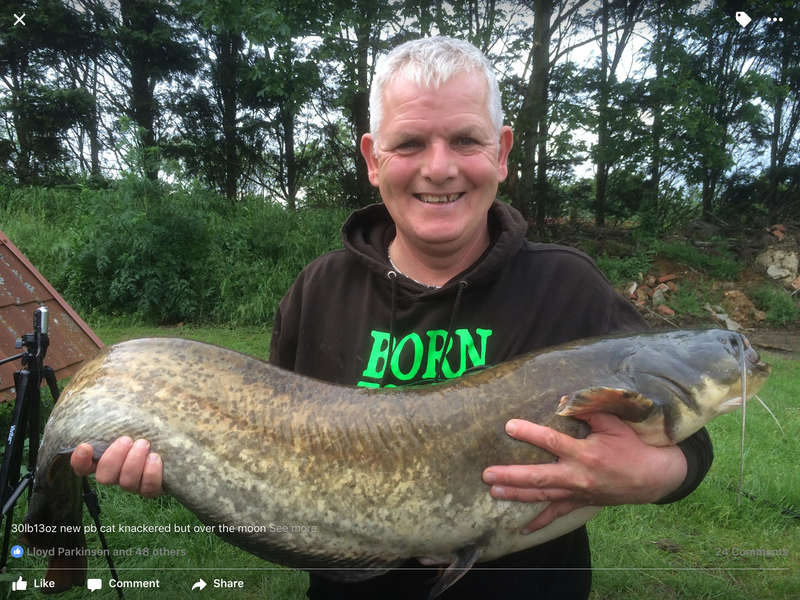 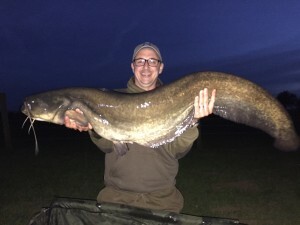 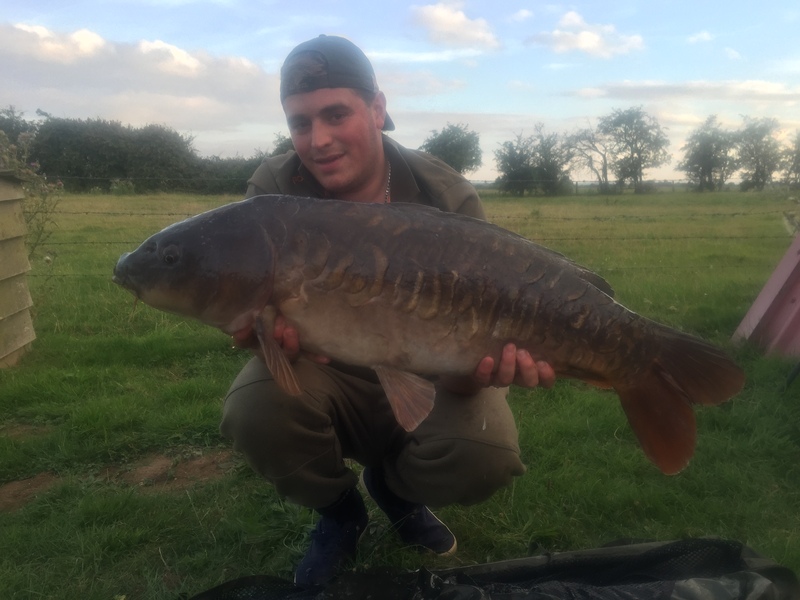 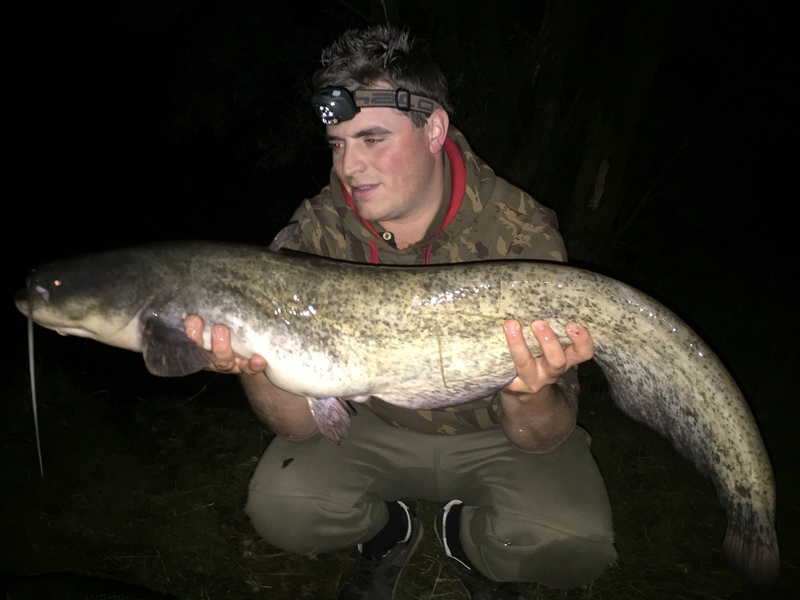 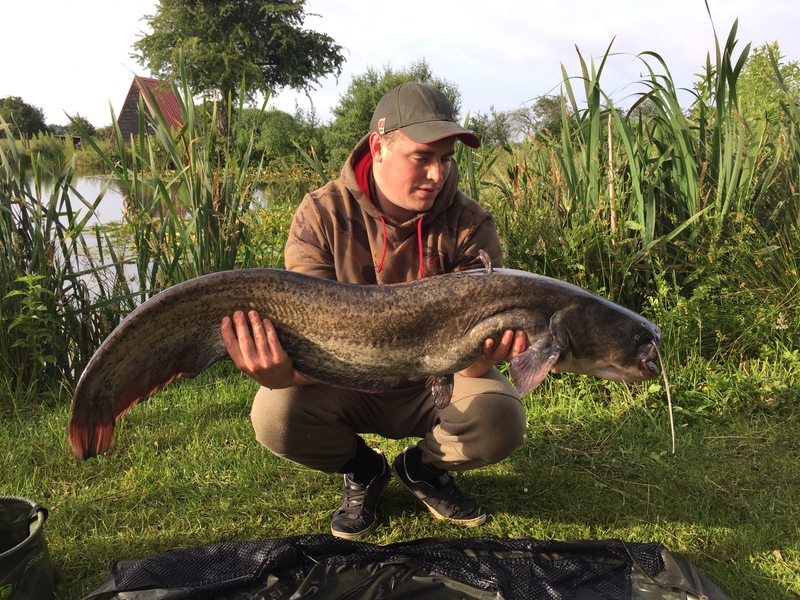 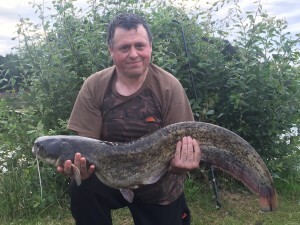 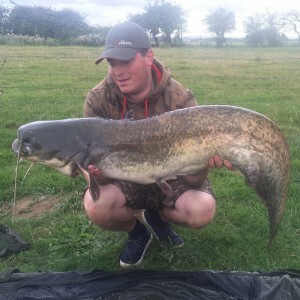 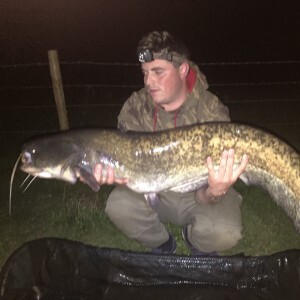 Tony Randall fishing peg 8 on Monday the 23rd of May for 24hours had a very successful session when he broke his personal best for both Carp and Catfish when he caught this 24lbs Mirror and a 30lbs 13oz Catfish. 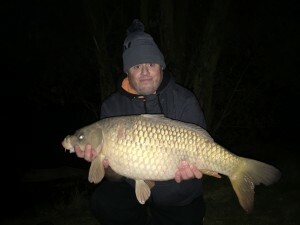 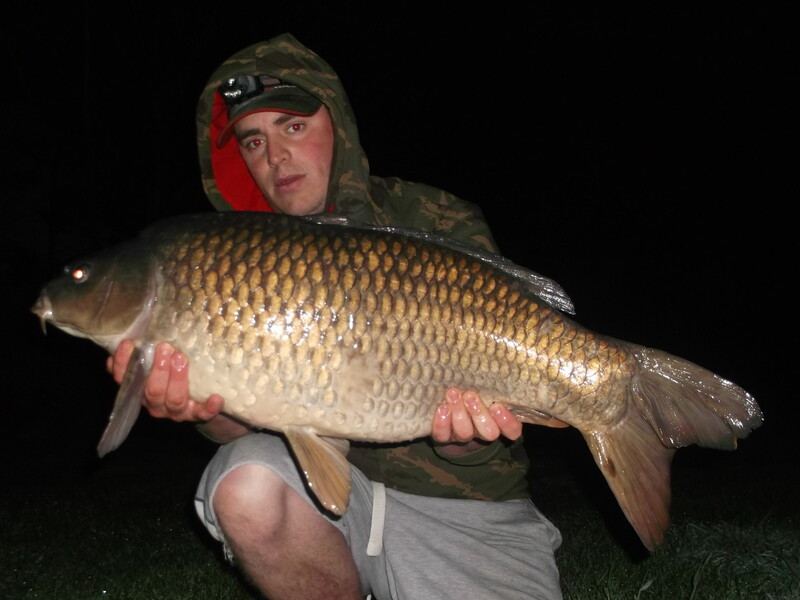 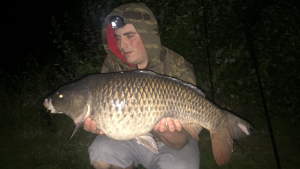 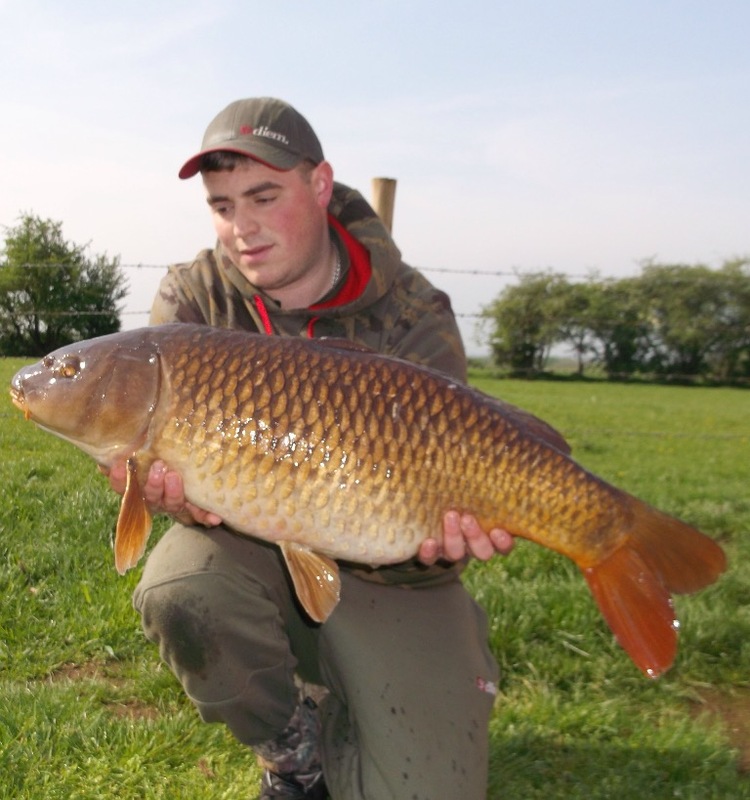 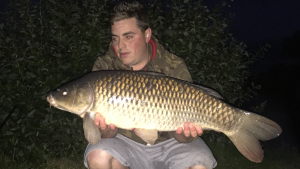 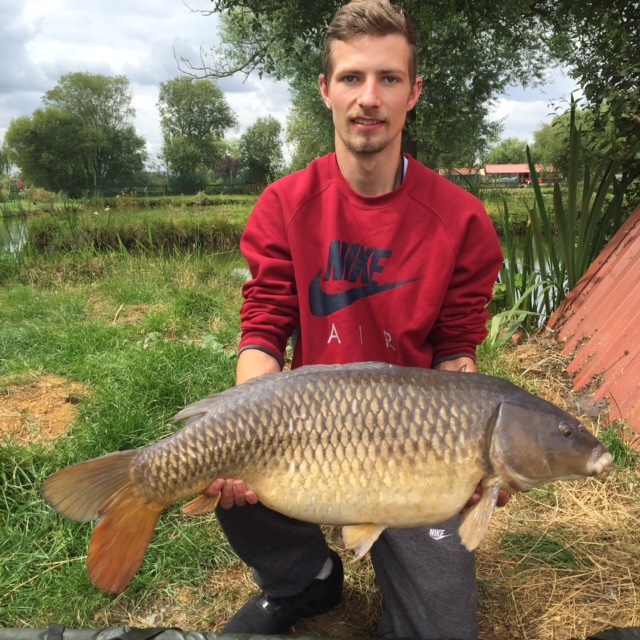 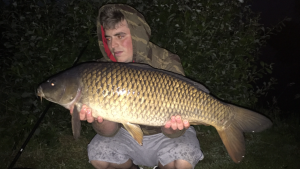 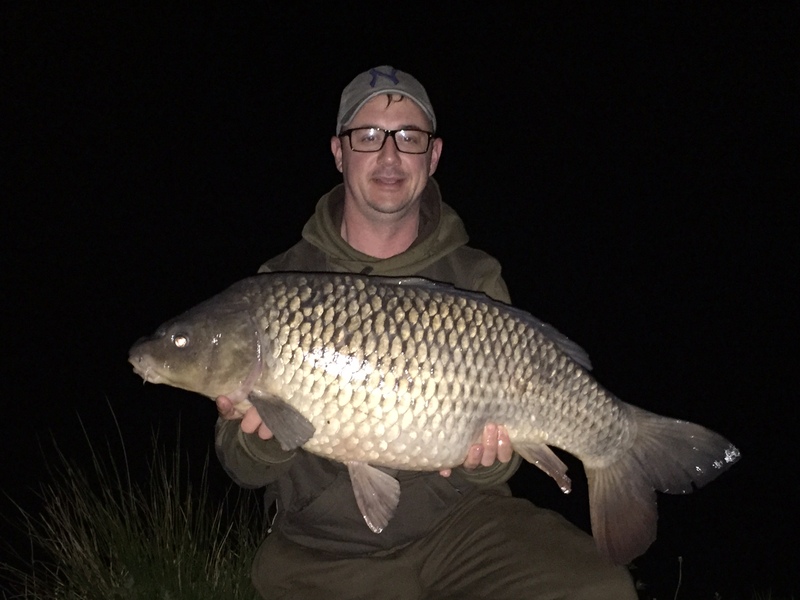 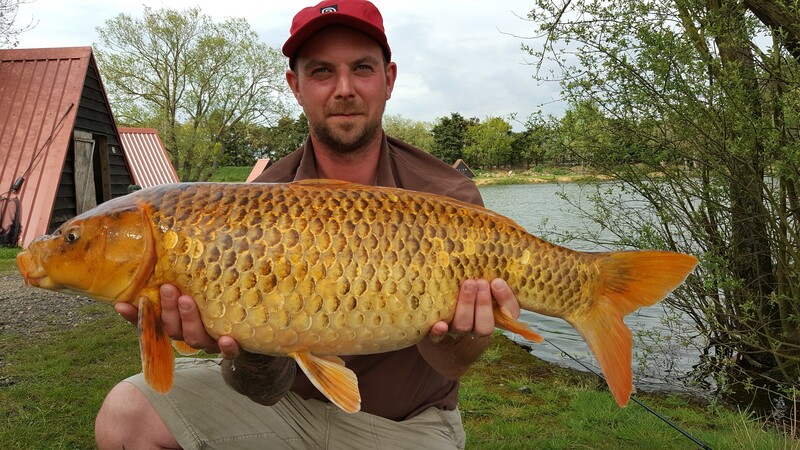 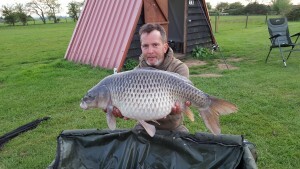 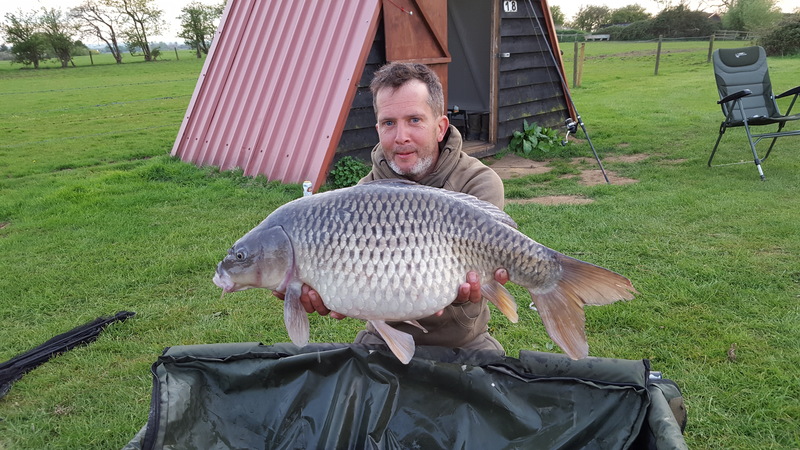 We would like to congratulate Mike Cox on this impressive 32lbs 3oz Common which he caught whilst fishing the motorway bank of the Specimen Lake on pegs 7, 8 and 9 on the 7th of May during a 24hour session. 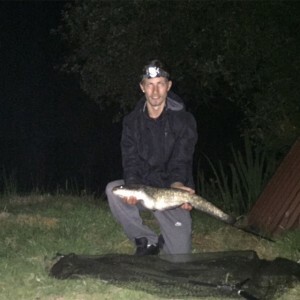 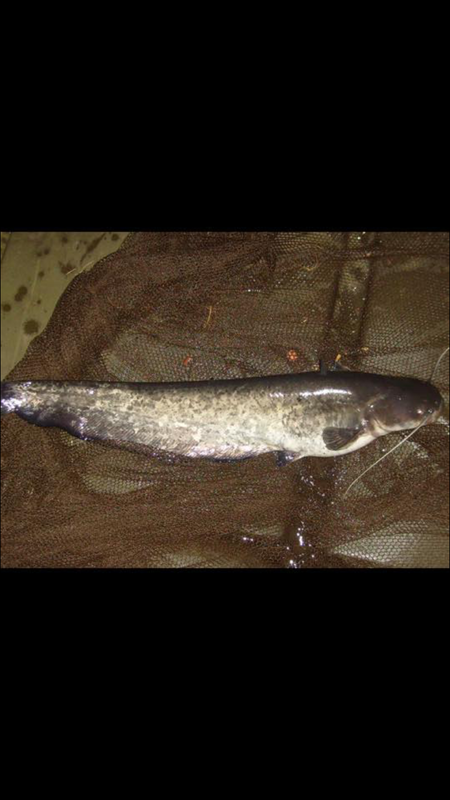 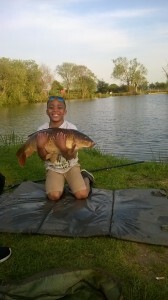 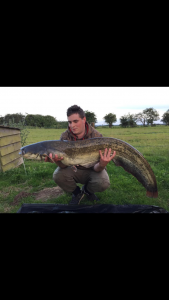 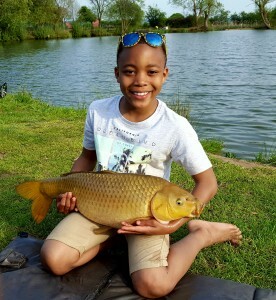 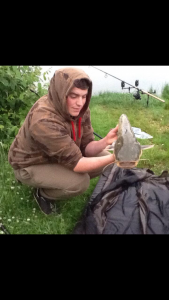 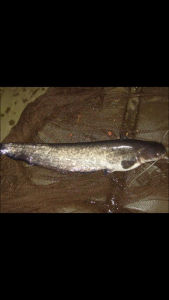 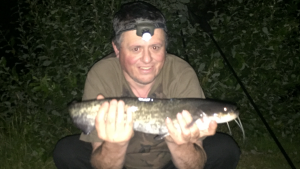 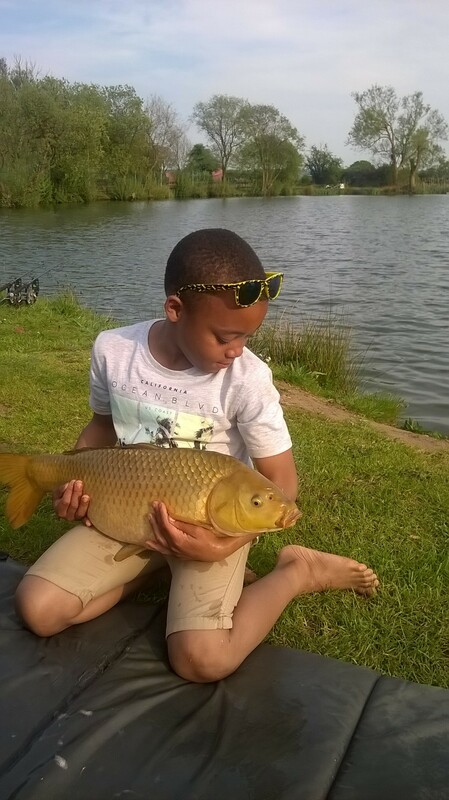 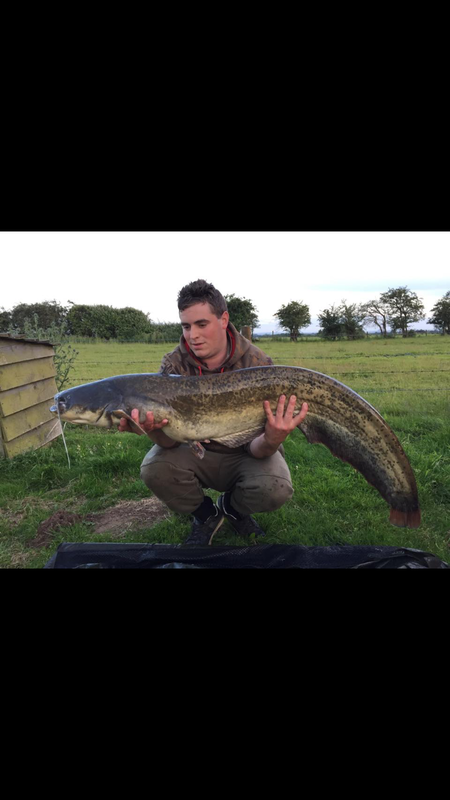 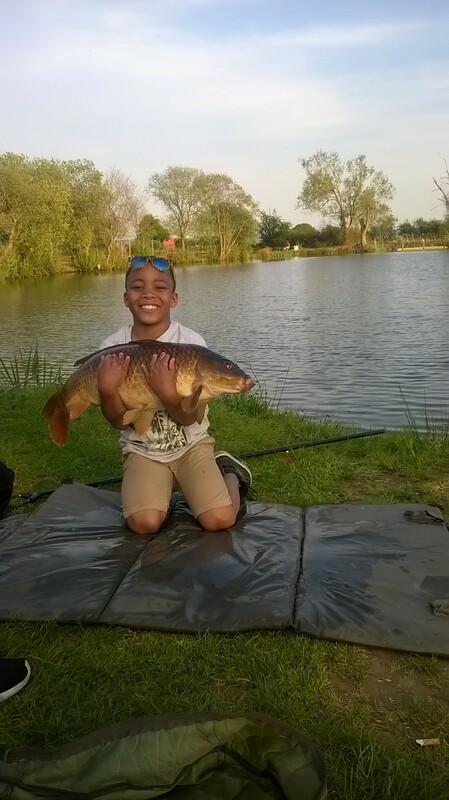 We would also like to point out, that fish welfare is one of our top priorities at Milton Pools Fishery, and ANY fish, no matter what size, should be held within close proximity to the ground, over an unhooking mat. On the 1st of May, Gavin Rampling fished peg 1 on the Specimen Lake for 24hours and caught these two Carp, one a 16lbs Common and the other a 20lbs Mirror. 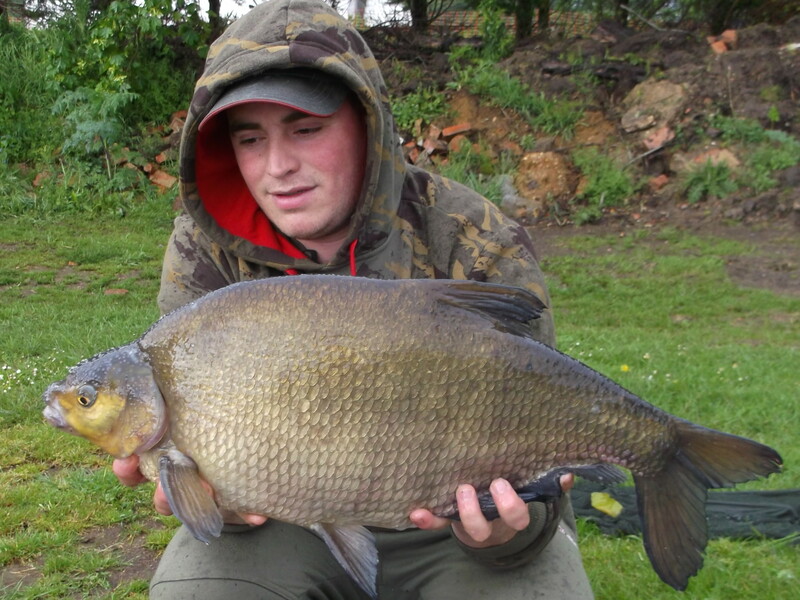 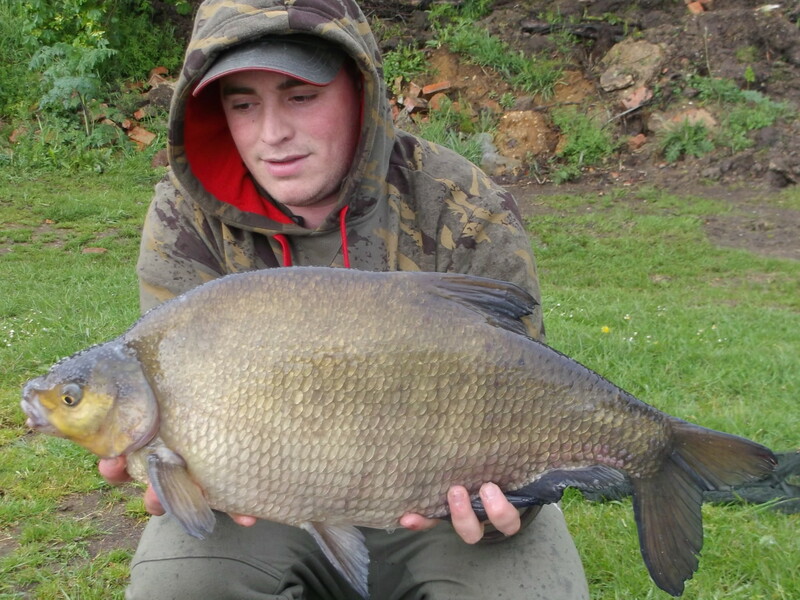 And if catching an impressive haul of fish on the Specimen Lake wasn’t enough, angler Colin Morris decided to give the House Lake a go for a few hours and caught this 12lbs Bream with a couple of grains of sweetcorn. 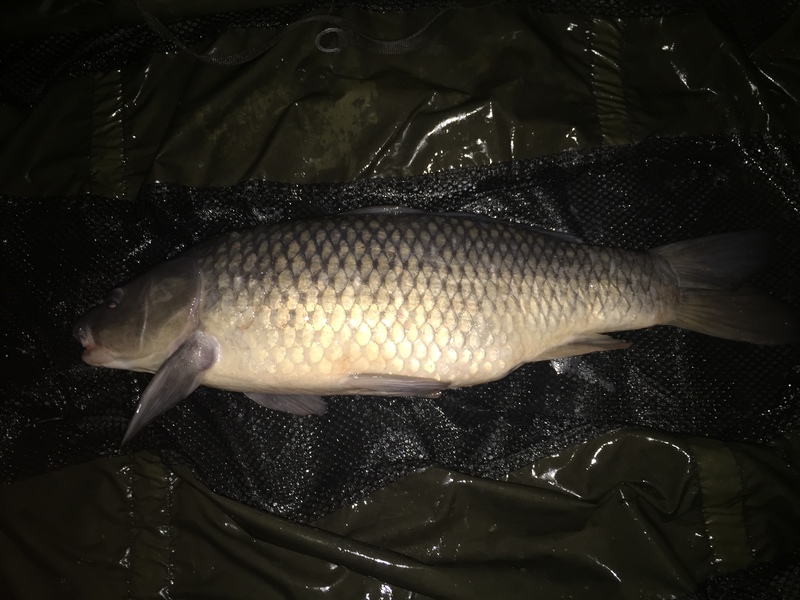 During a recent fishing trip to Milton Pools Fishery, regulars Colin and Rob Morris caught these three fish, a 16lbs 8oz Common, a 17lbs Common, and a 17lbs Mirror Carp. 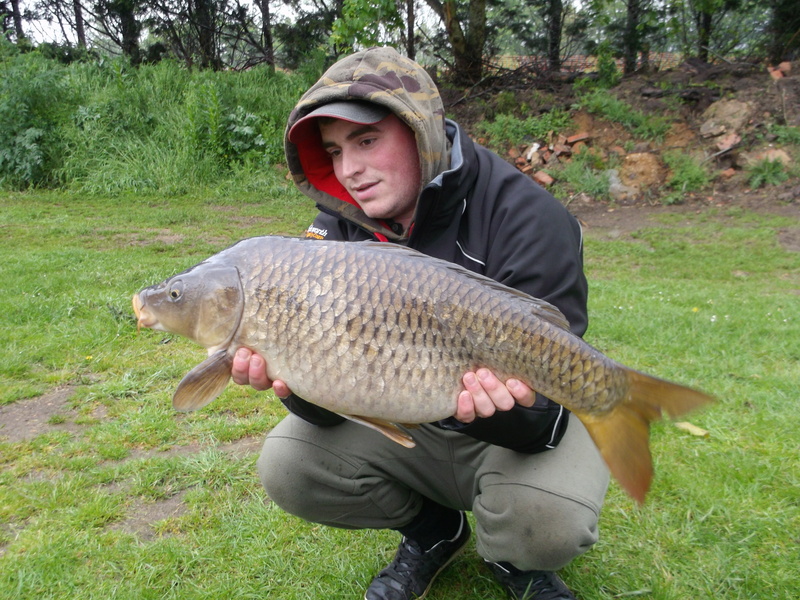 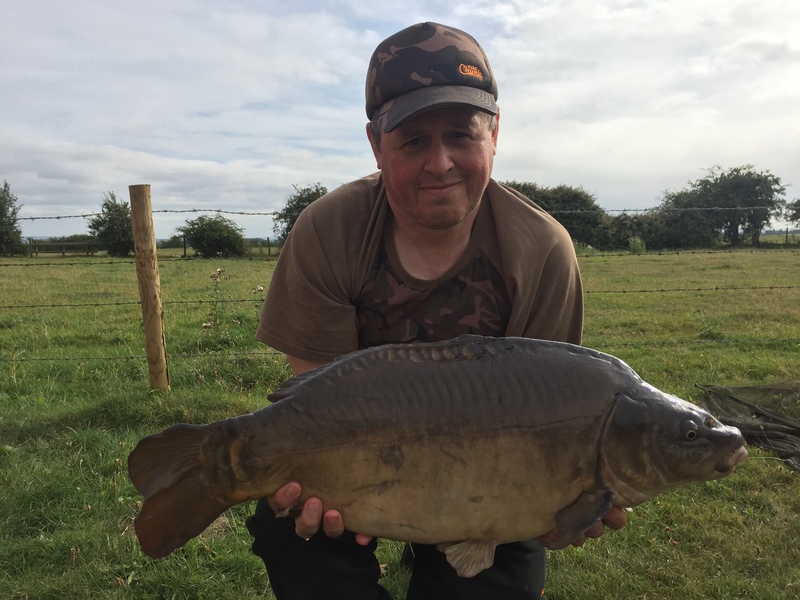 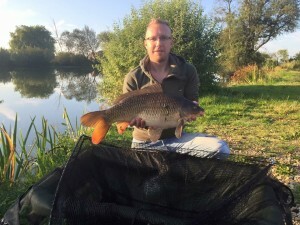 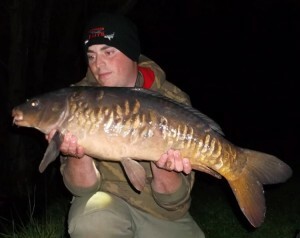 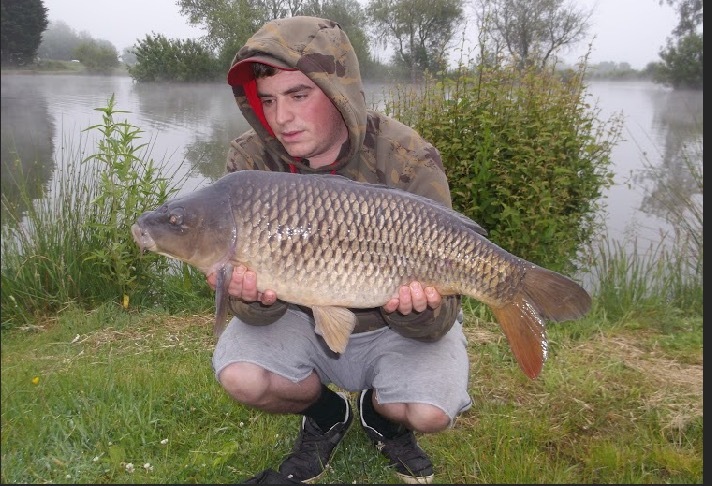 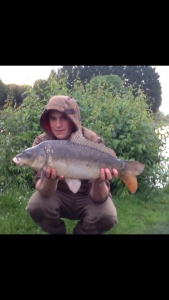 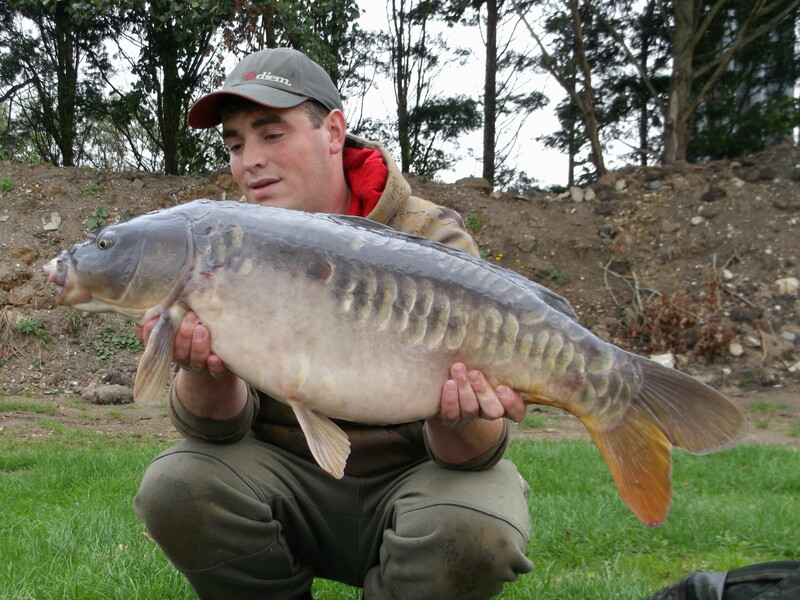 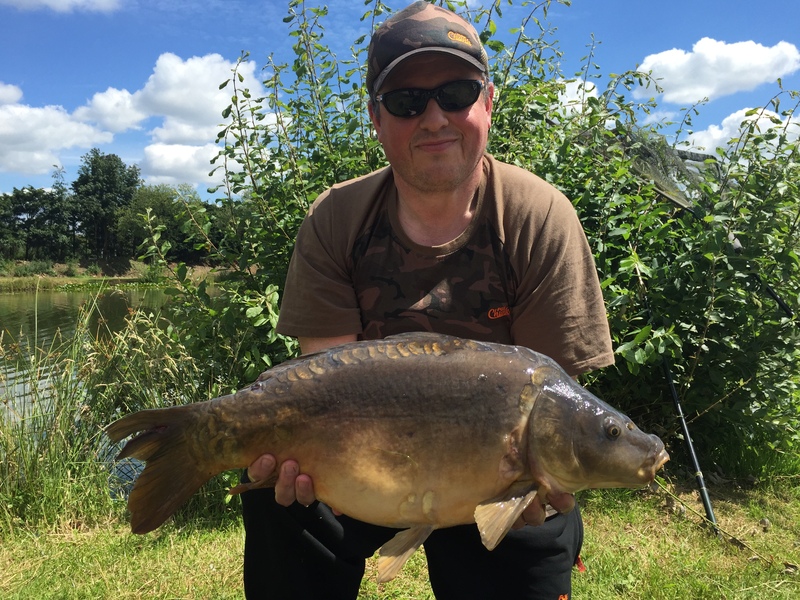 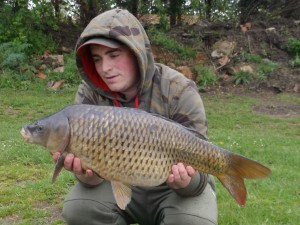 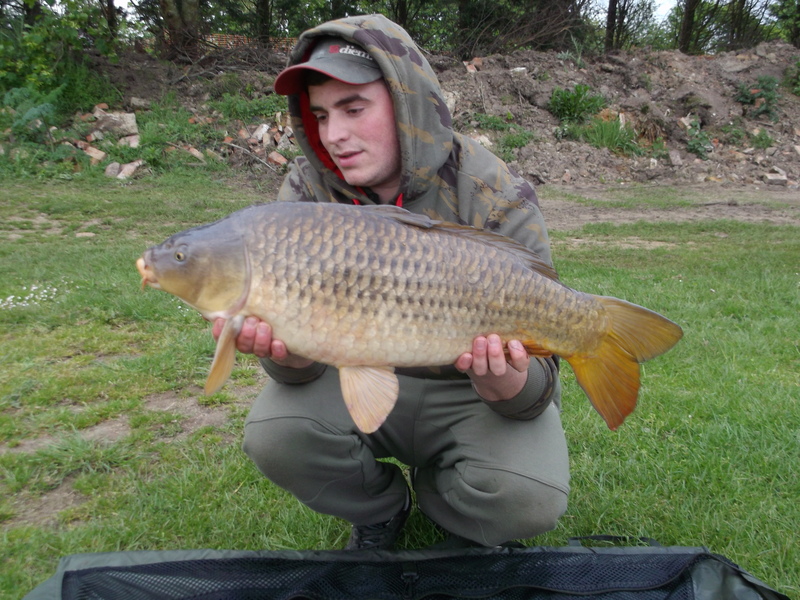 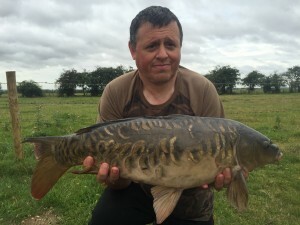 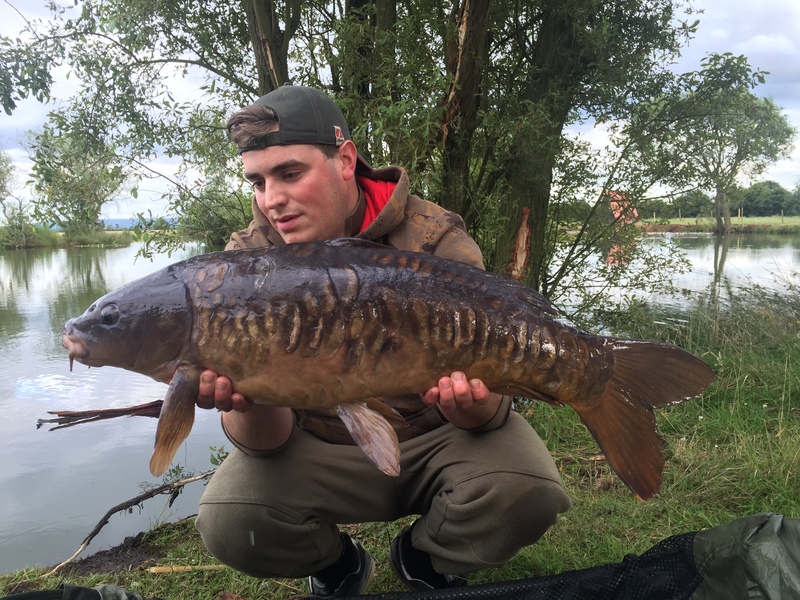 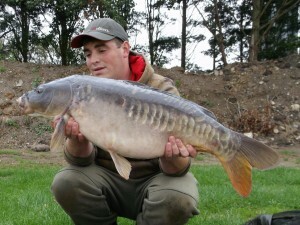 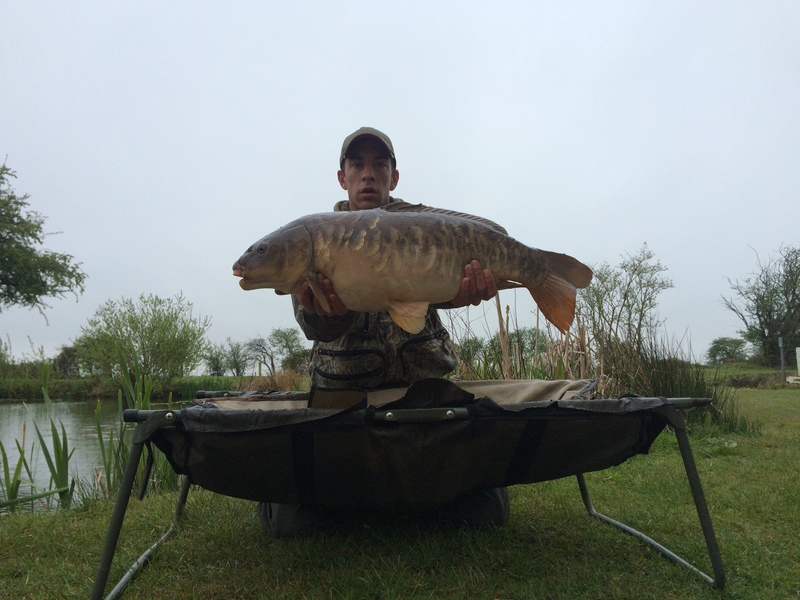 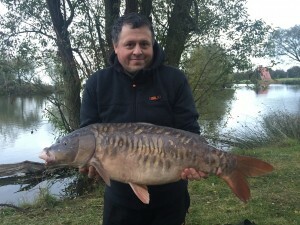 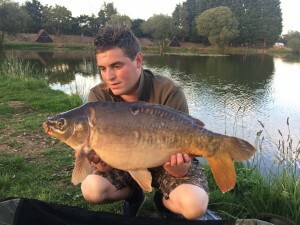 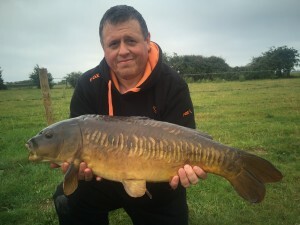 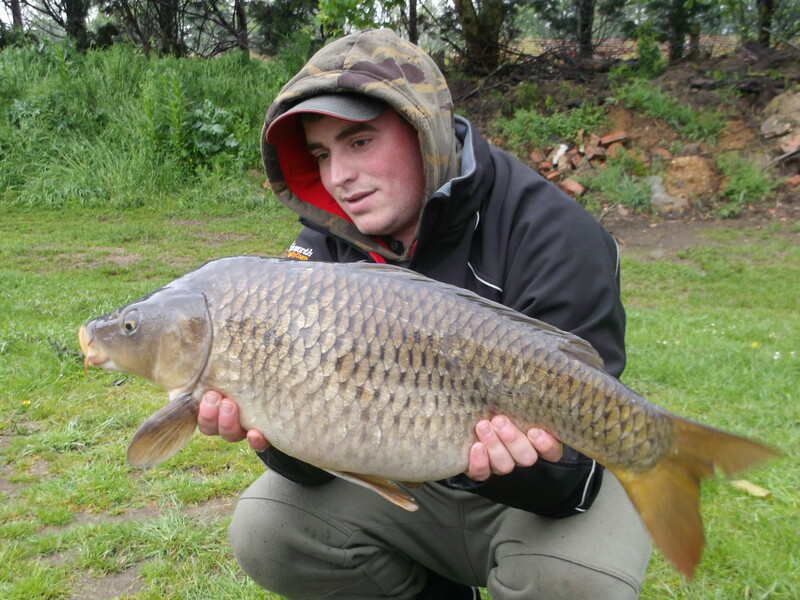 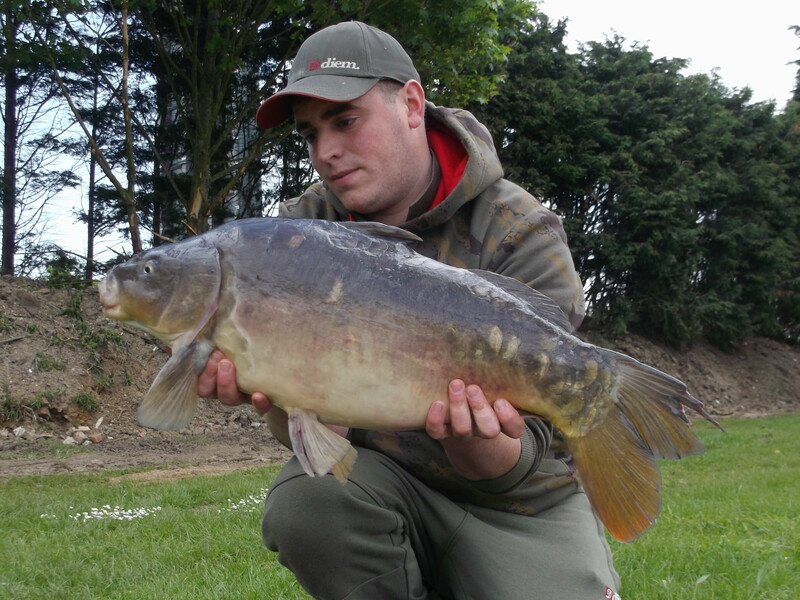 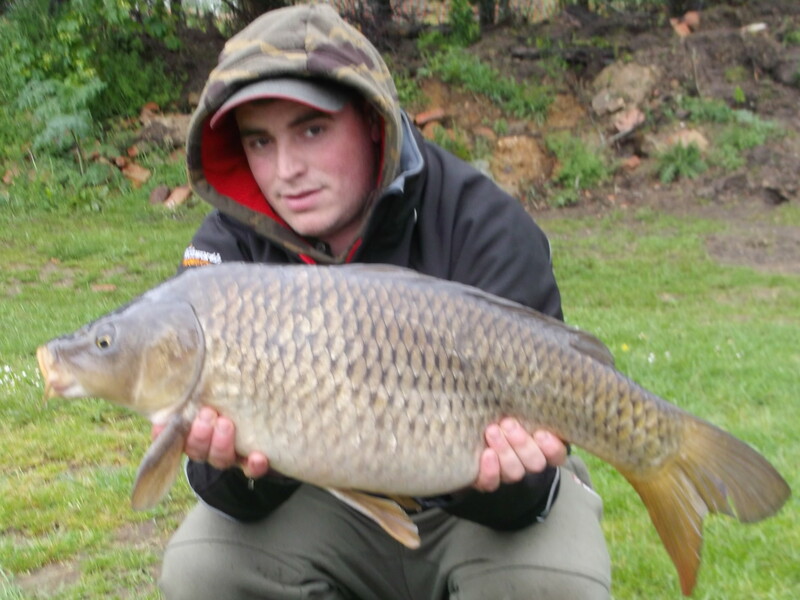 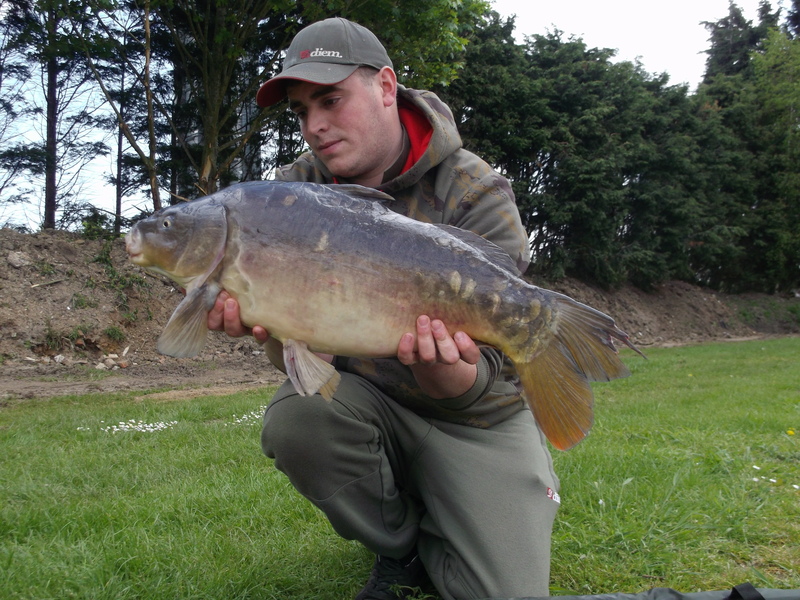 During the same session on pegs 8 and 9 on the Specimen Lake from the 16th of May until the 19th Colin had another 16 Carp ranging from 12lbs to 26lbs. 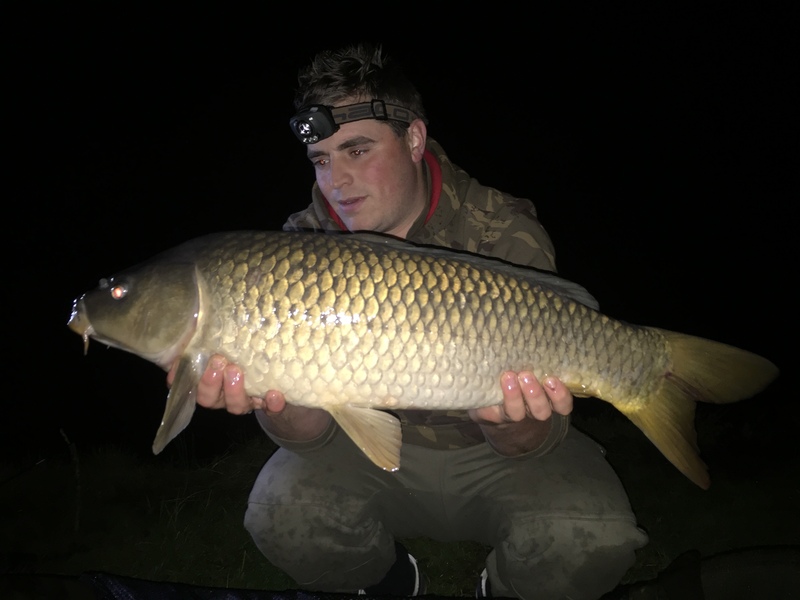 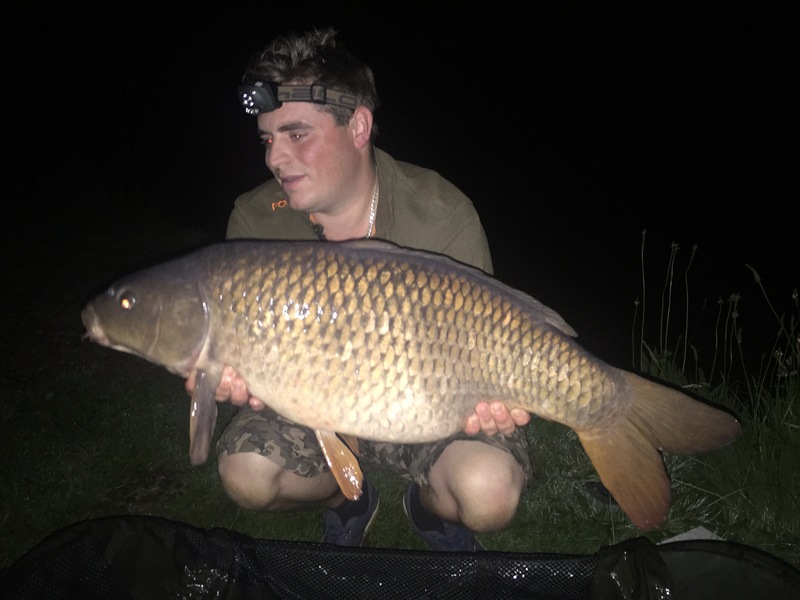 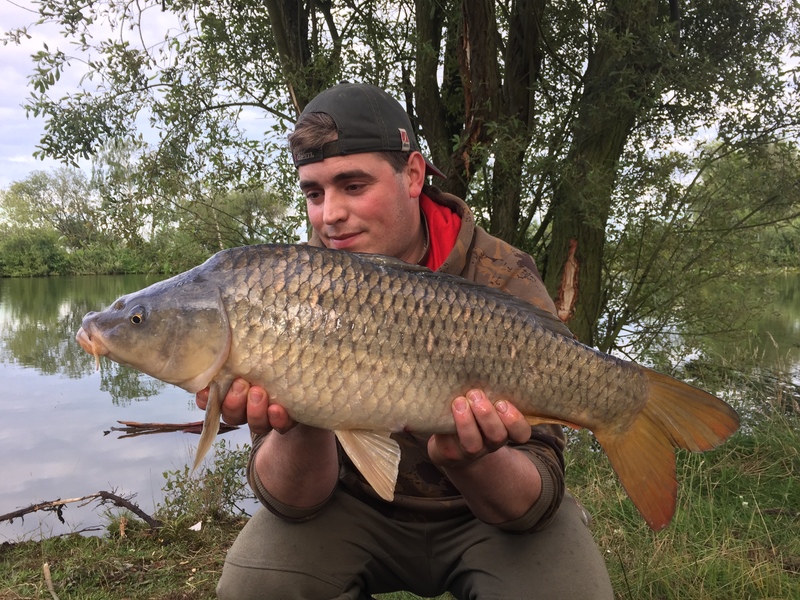 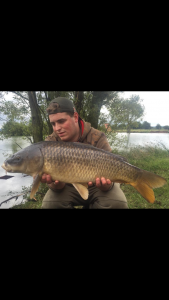 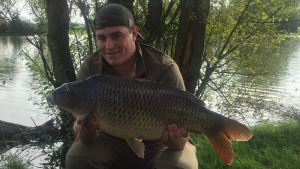 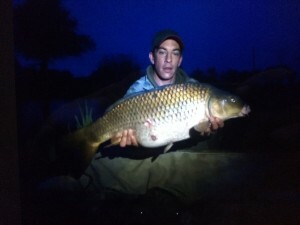 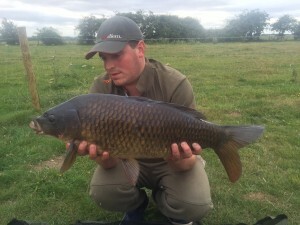 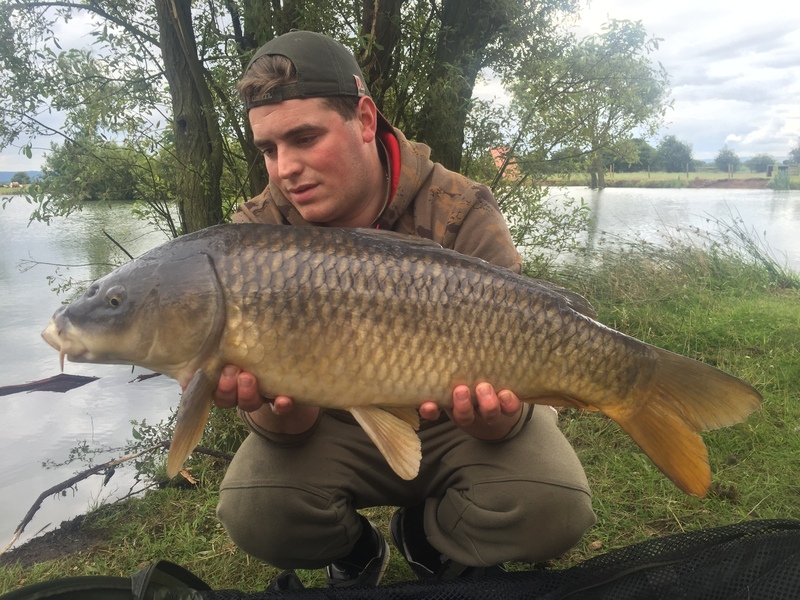 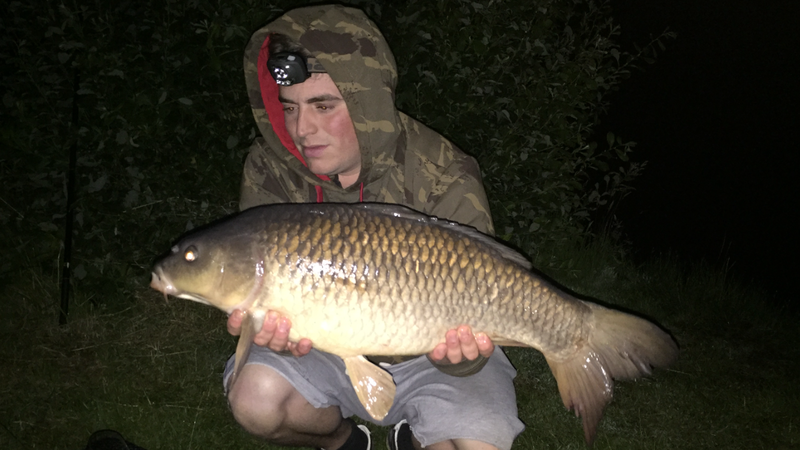 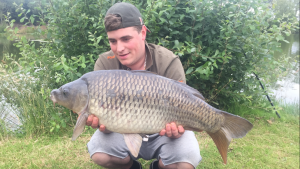 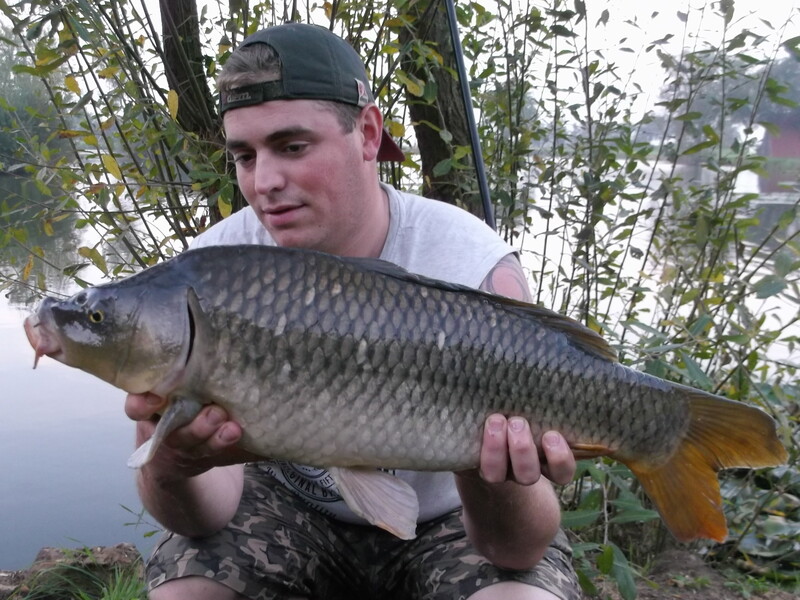 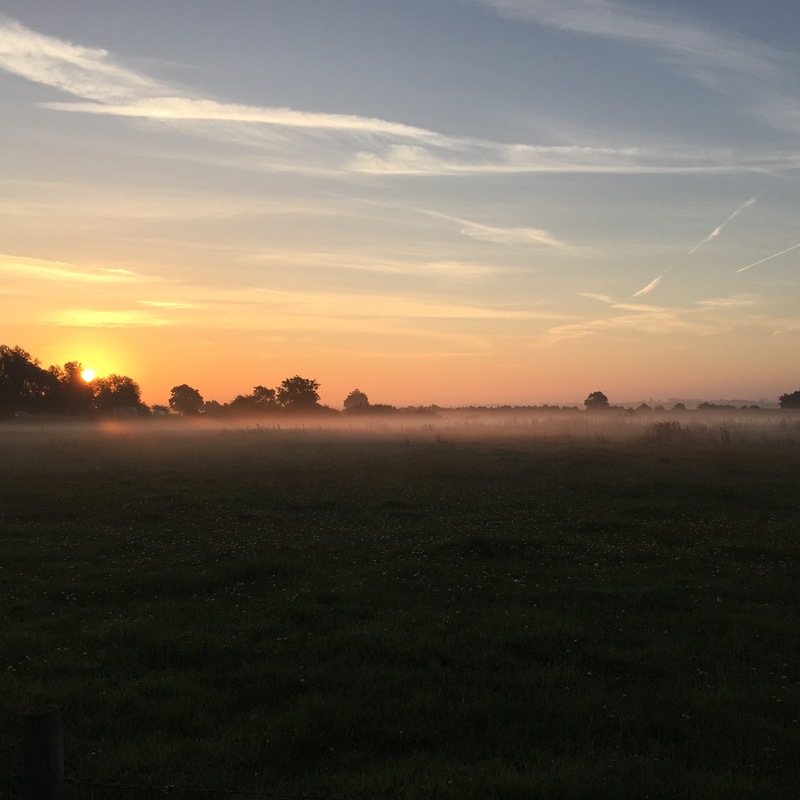 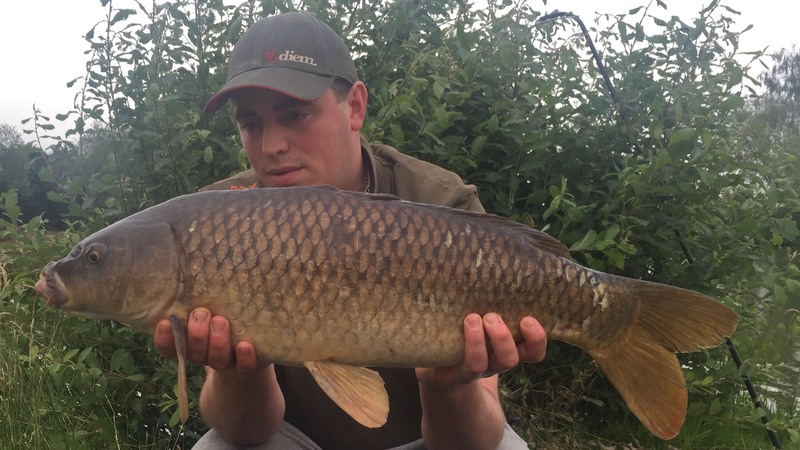 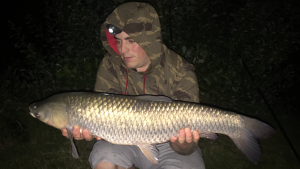 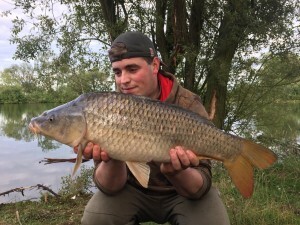 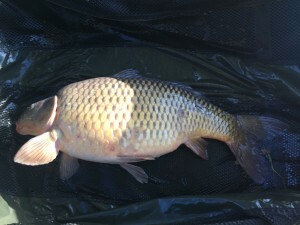 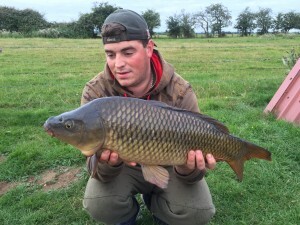 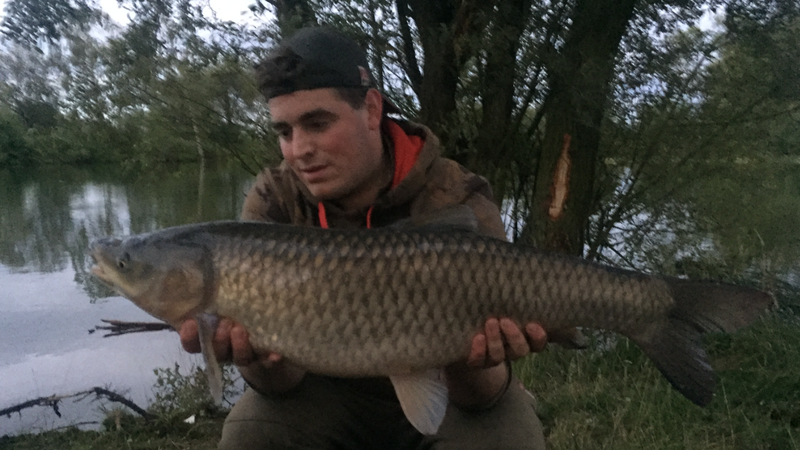 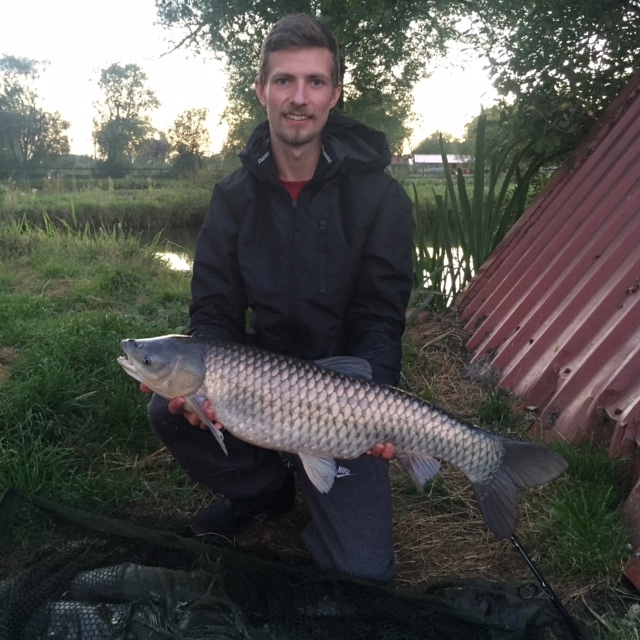 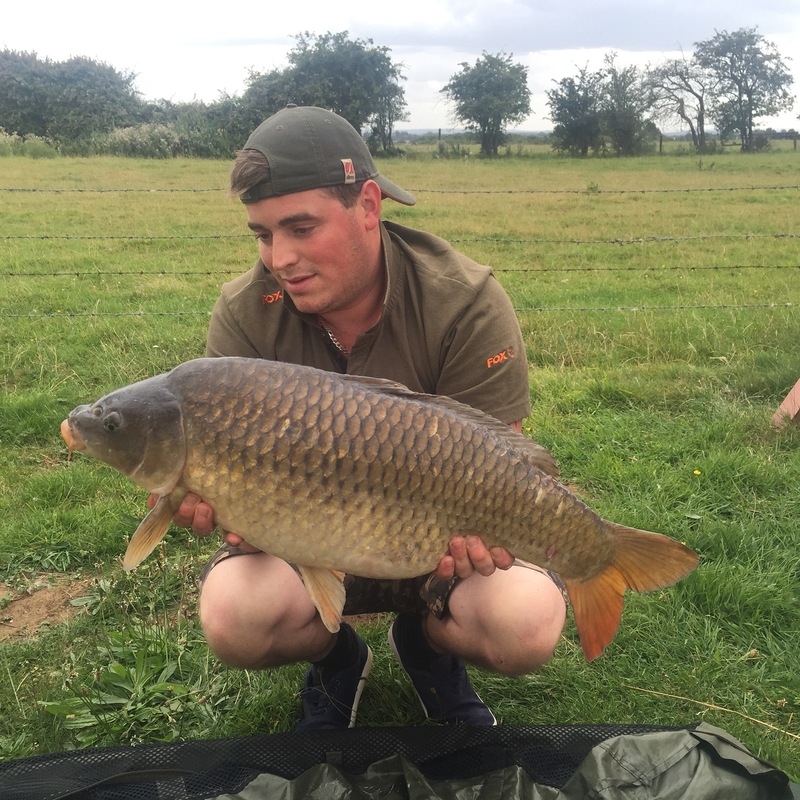 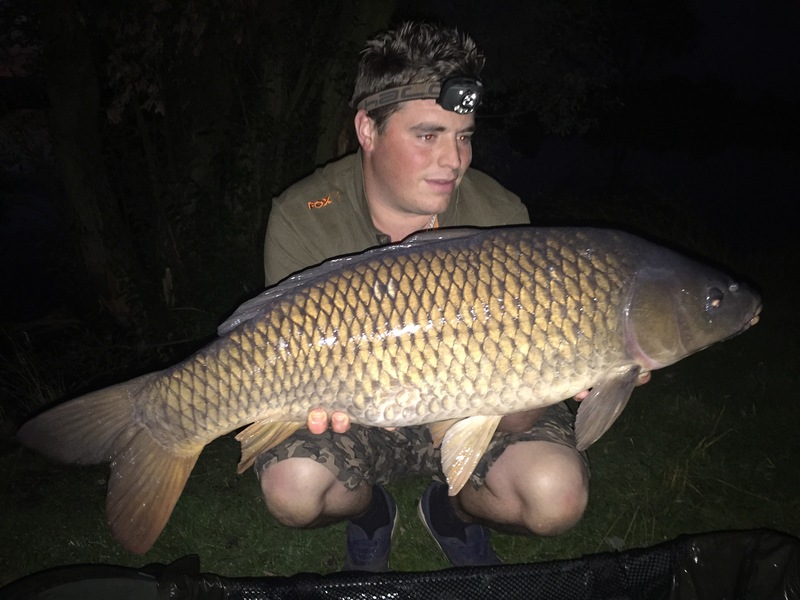 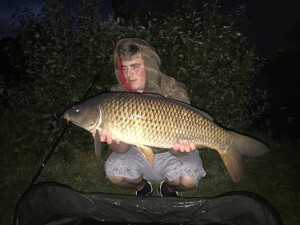 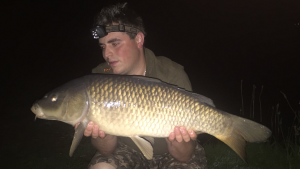 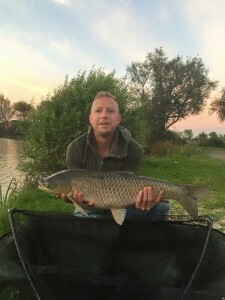 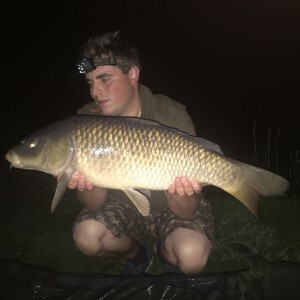 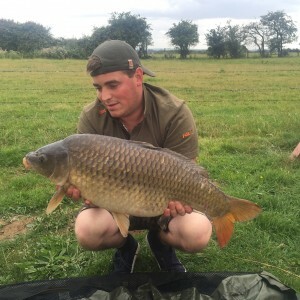 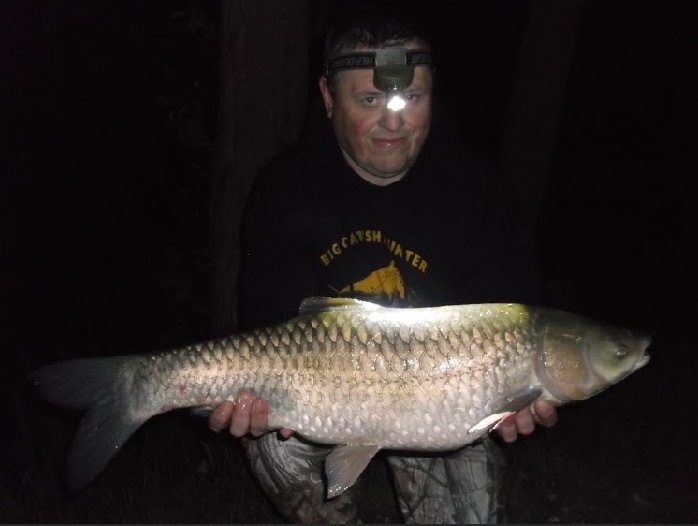 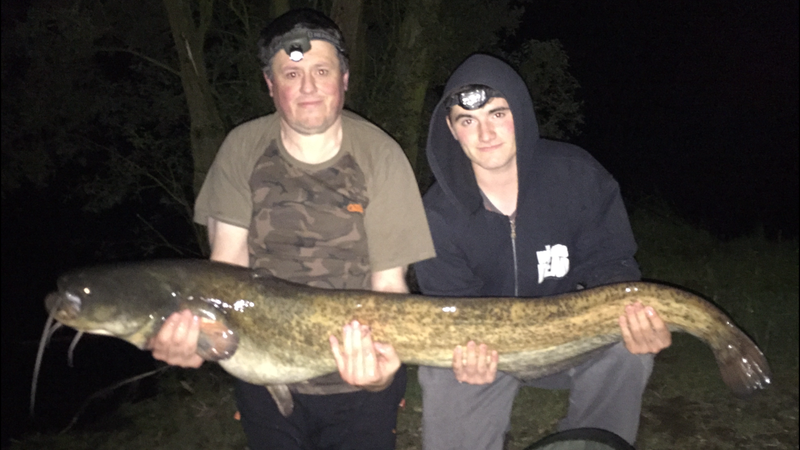 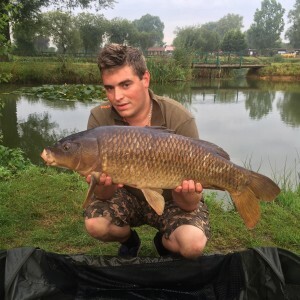 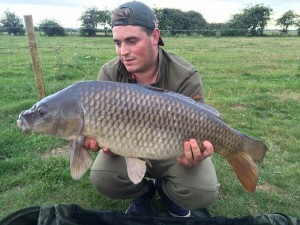 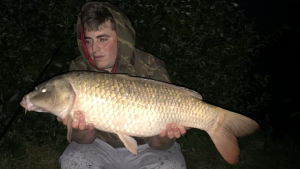 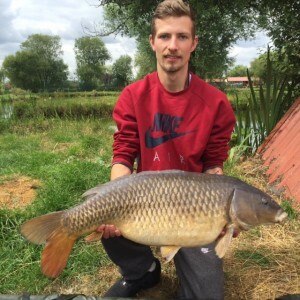 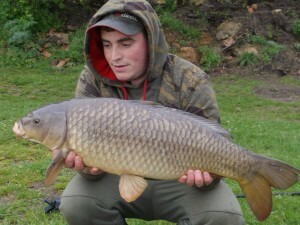 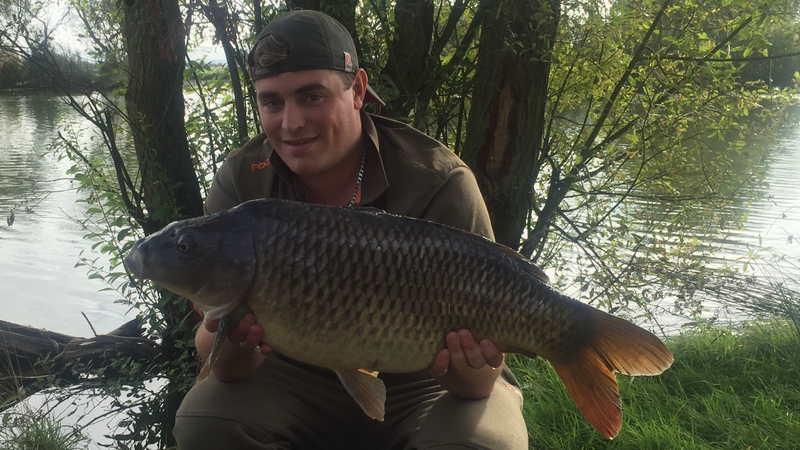 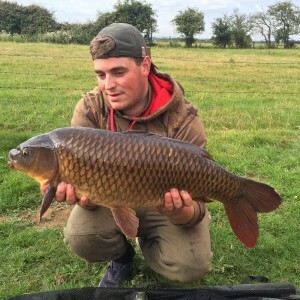 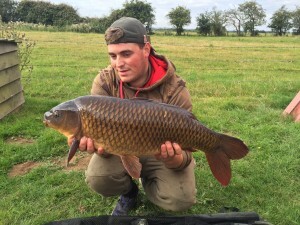 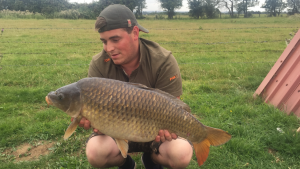 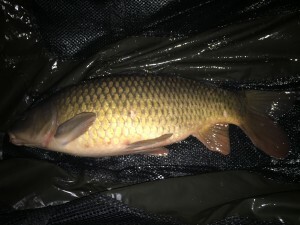 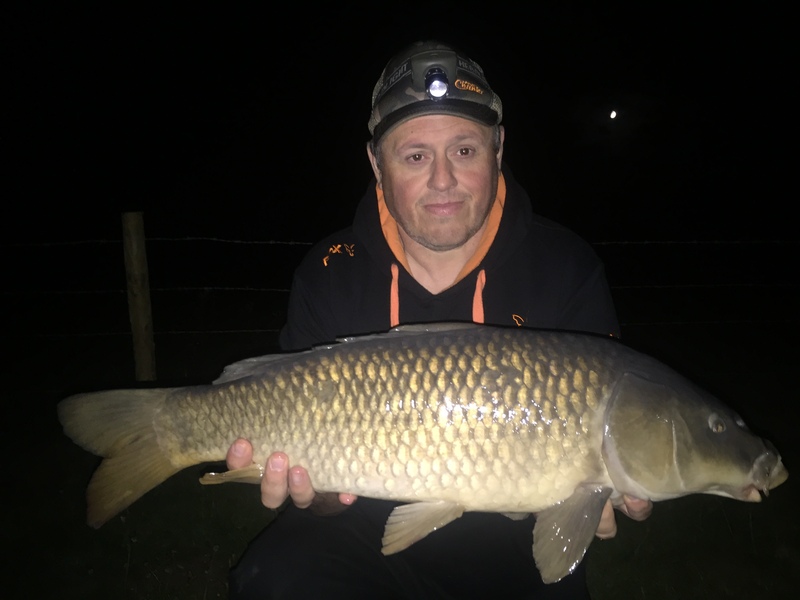 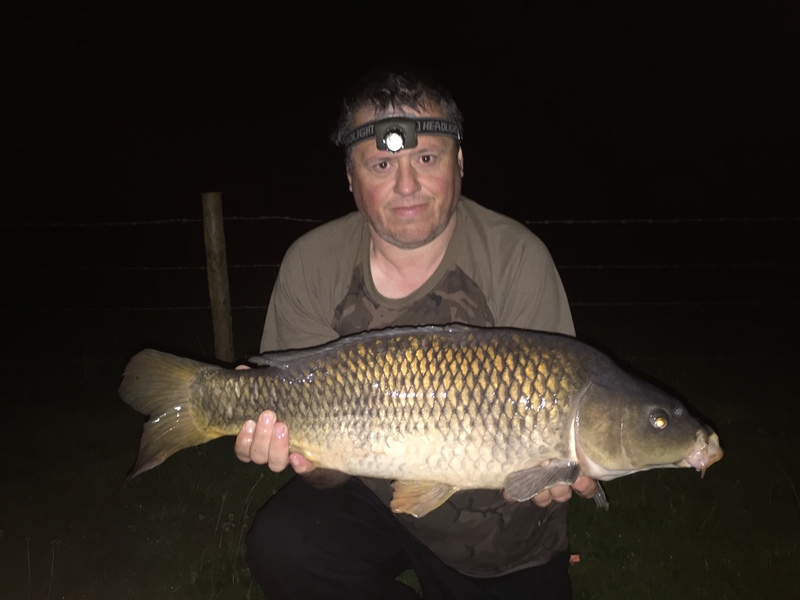 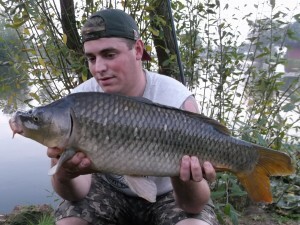 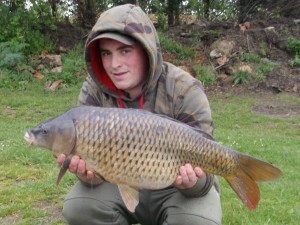 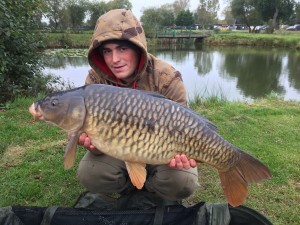 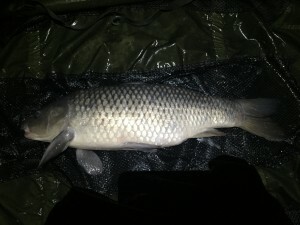 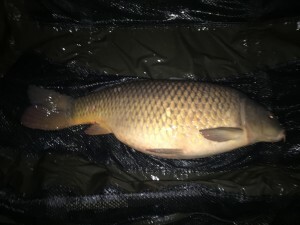 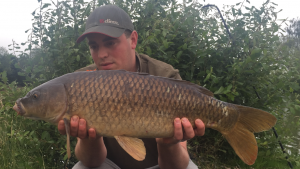 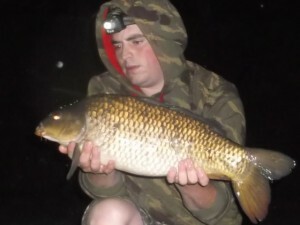 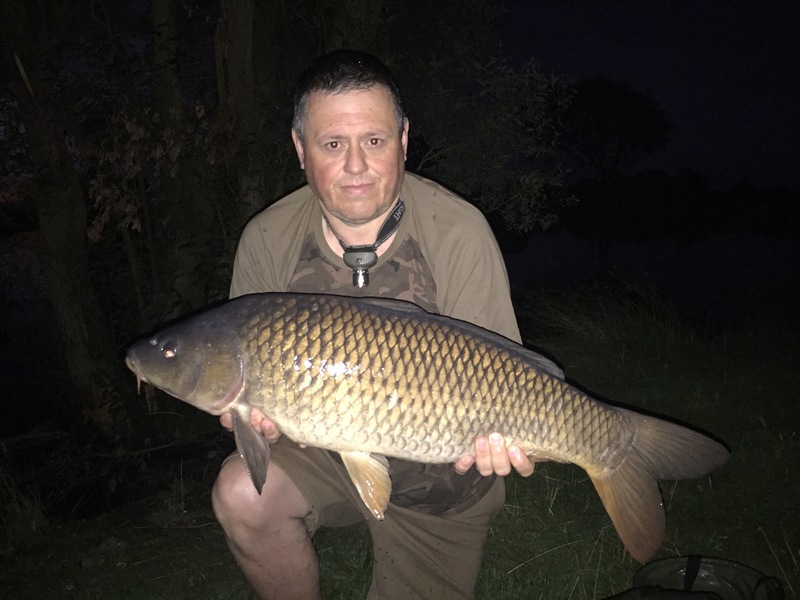 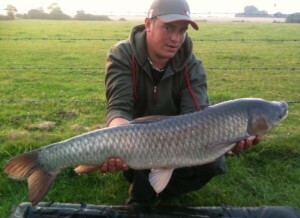 Then the previous week whilst fishing pegs 16 and 17 on the Specimen Lake from Monday the 9th of May, Colin and Rob again had an impressive session which included, a 26lbs Grass Carp, 26lbs Mirror, 25lbs Ghost Carp, 24lbs 4oz Common, 16lbs Common, 19lbs Common, a 31lbs 2oz Catfish, 31lbs 4oz Catfish, 32lbs 4oz Catfish, 33lbs Catfish, and a 35lbs 2oz Catfish. 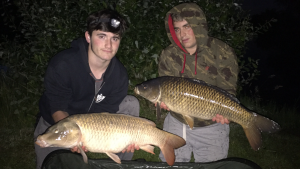 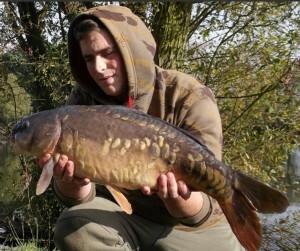 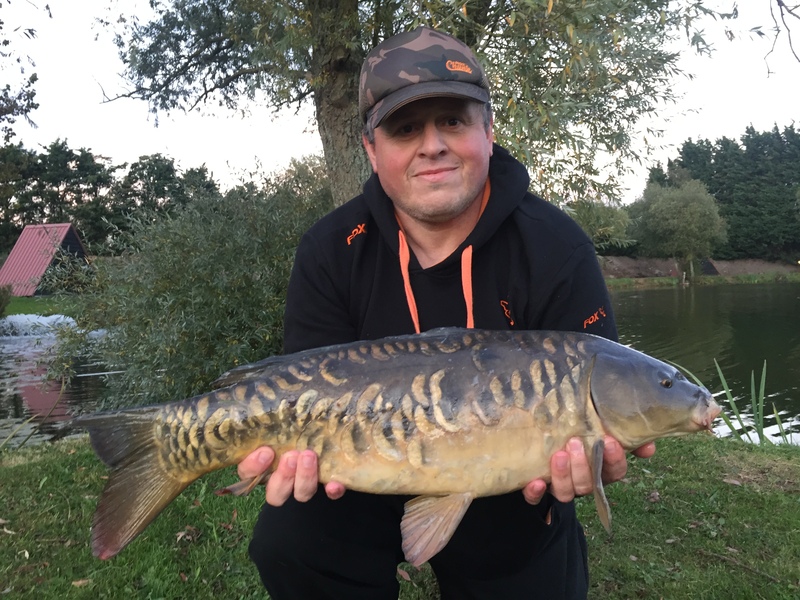 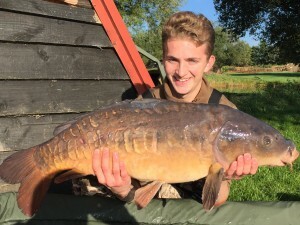 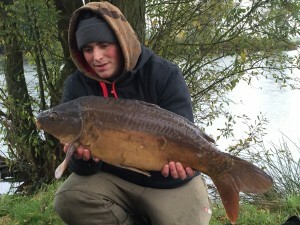 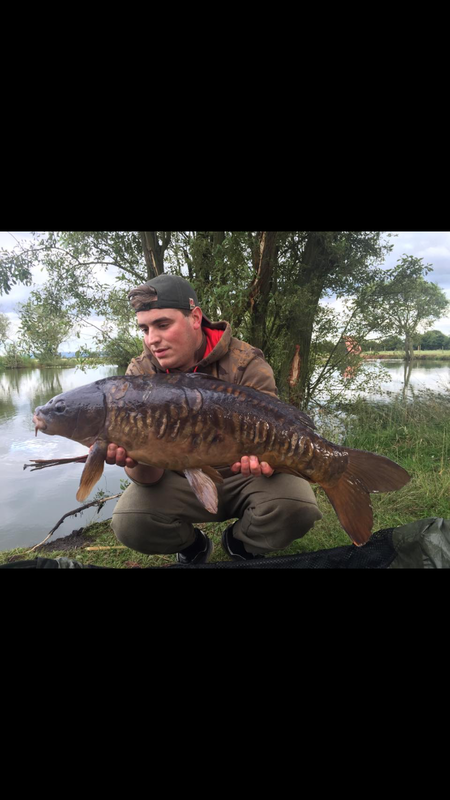 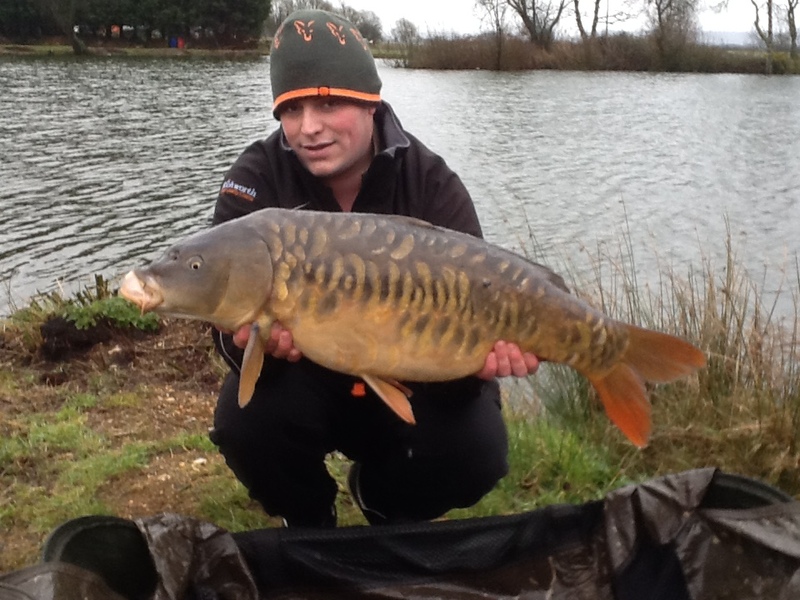 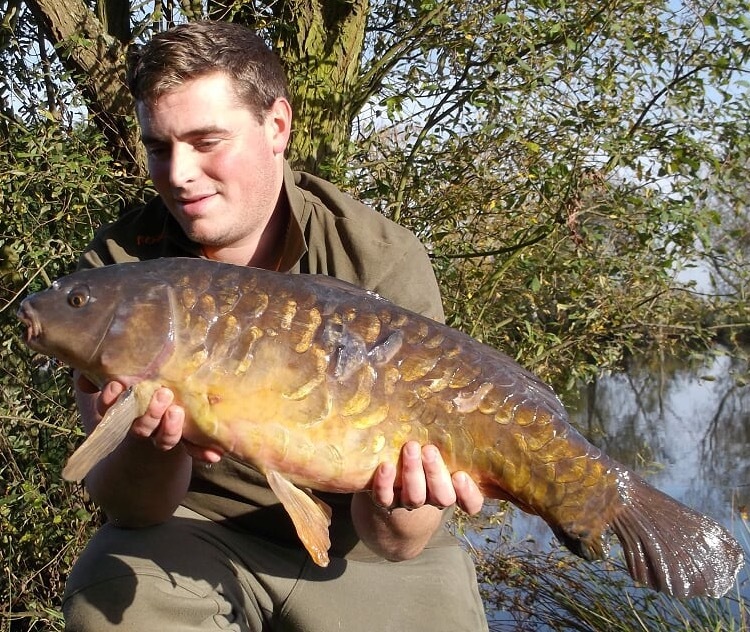 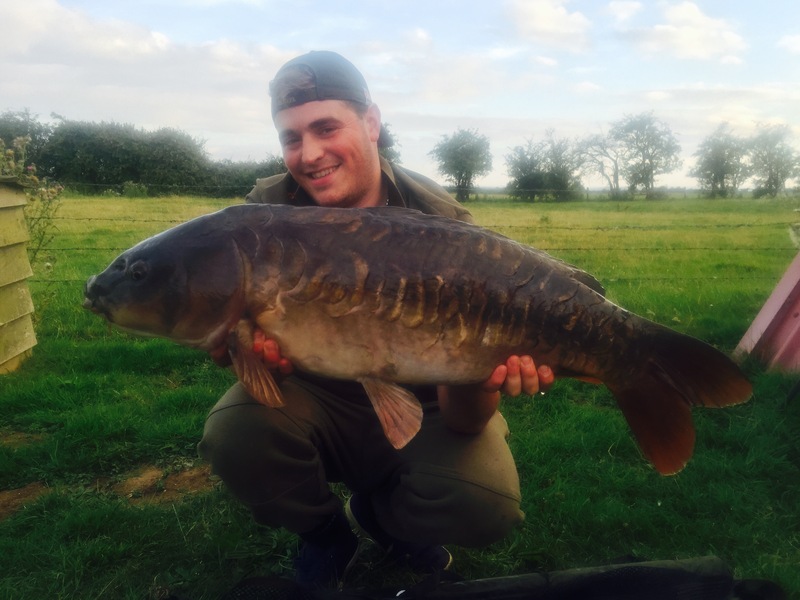 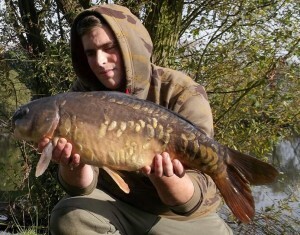 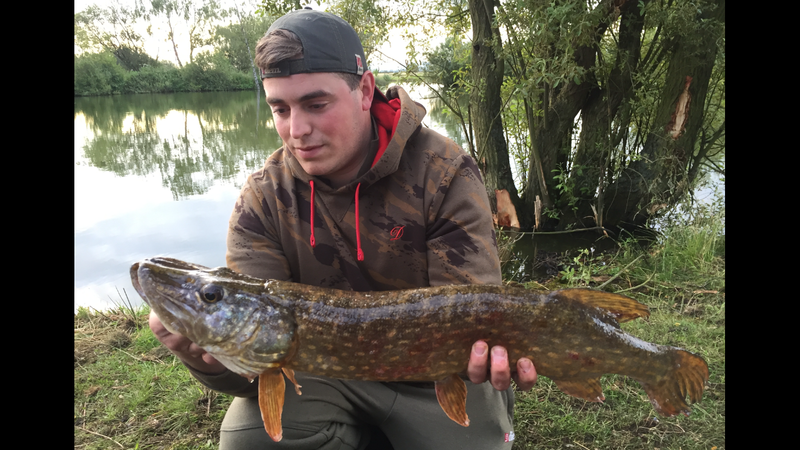 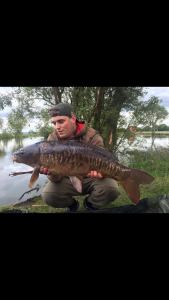 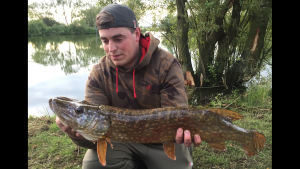 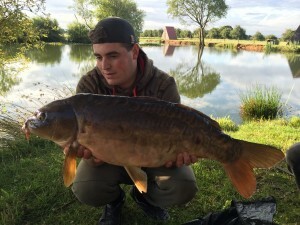 Fantastic fishing you two, once again proving that small baits, small hooks, and little and often feeding the swim is what works at Milton Pools Fishery. Just a quick note to say our first trip to Milton Pools was very successful and we will certainly be back, loved the venue, the regular’s (Liam) and baliff (Mark) couldn’t be more pleasant and helpful. 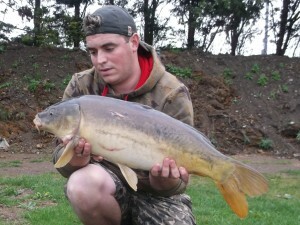 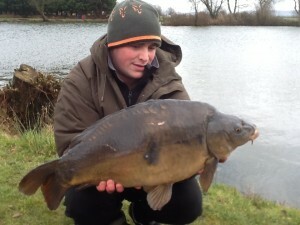 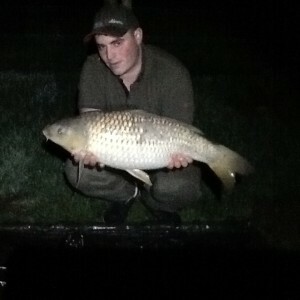 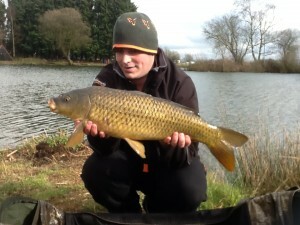 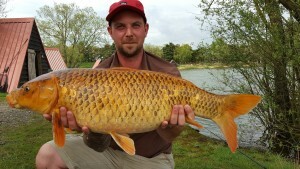 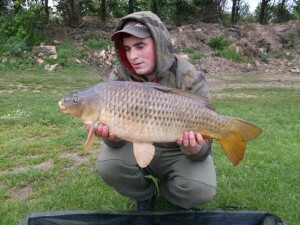 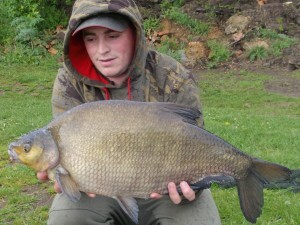 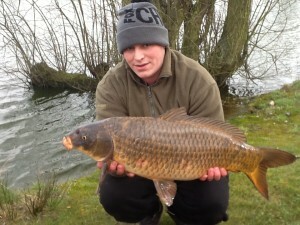 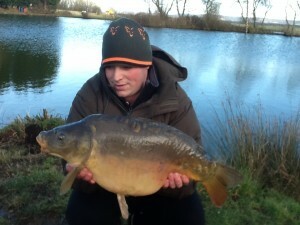 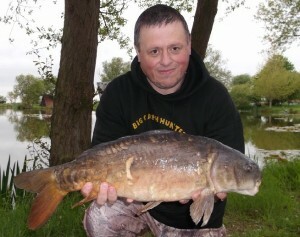 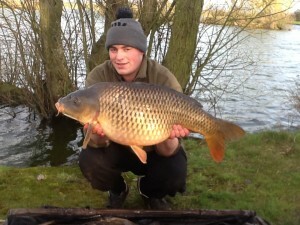 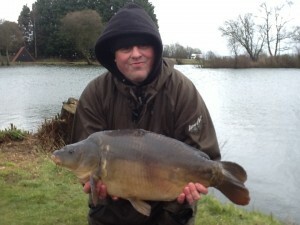 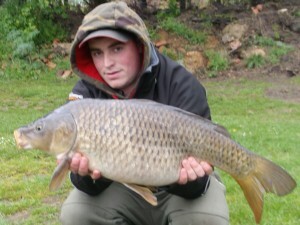 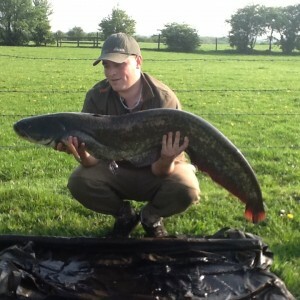 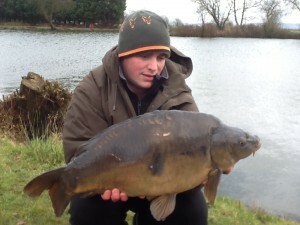 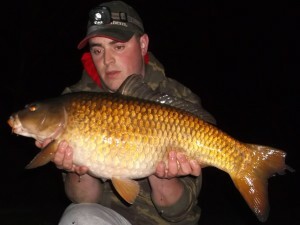 Attached are images of my catches fishing Peg 17 Fri 6th and Sat 7th may. 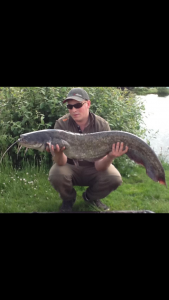 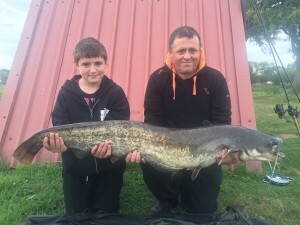 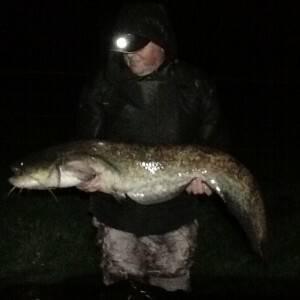 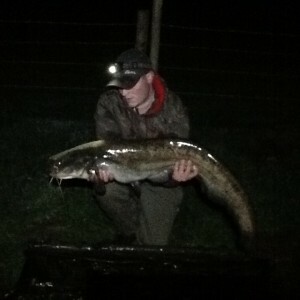 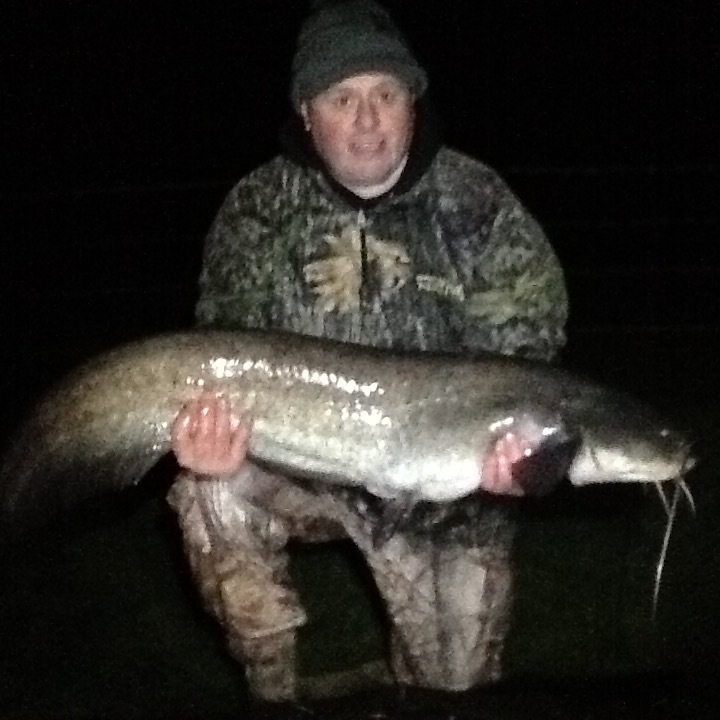 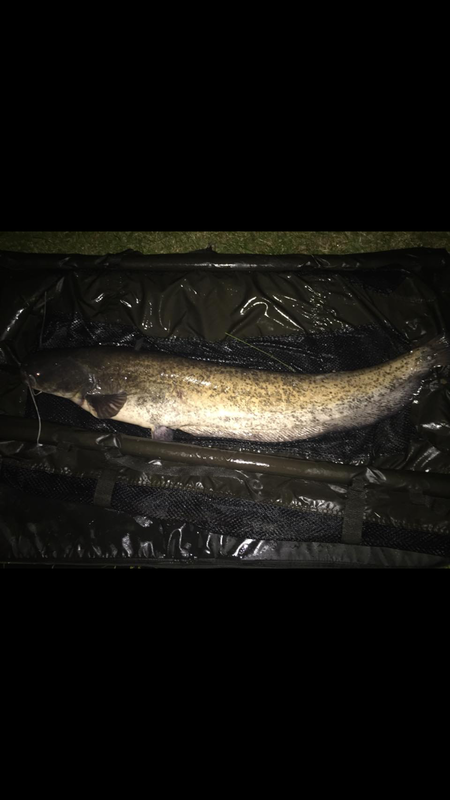 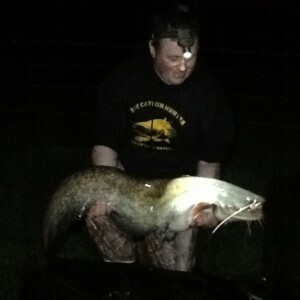 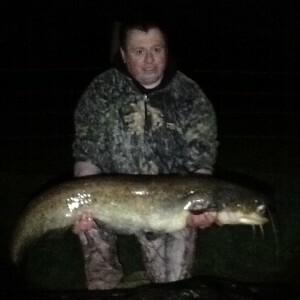 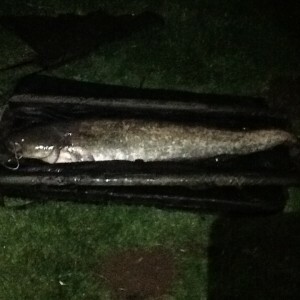 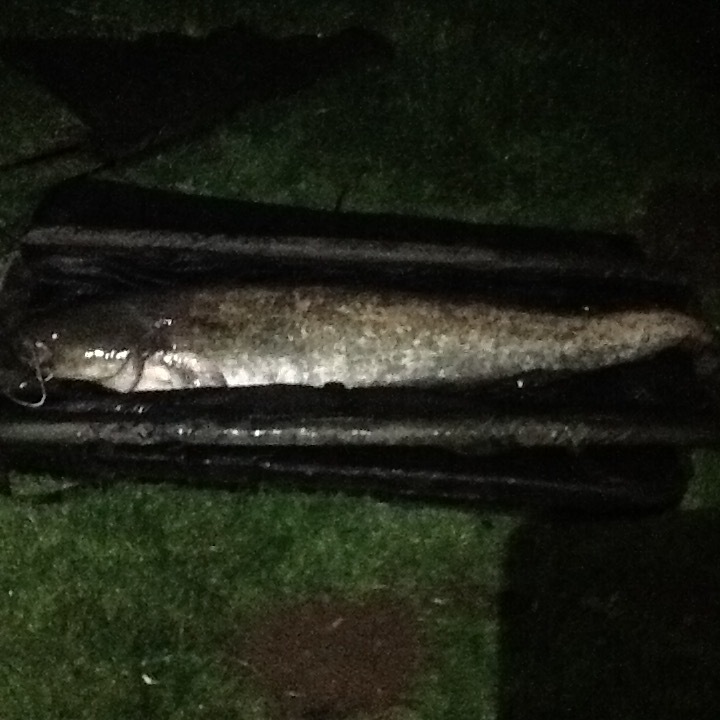 Cat @ 31lb 8oz. My first Ever Cat and First ever 30! 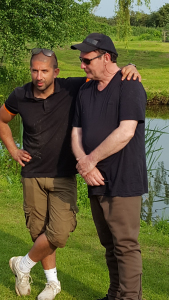 Thanks again and hopefully see you soon! 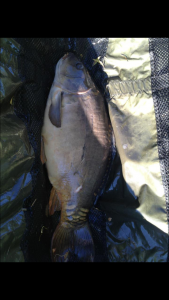 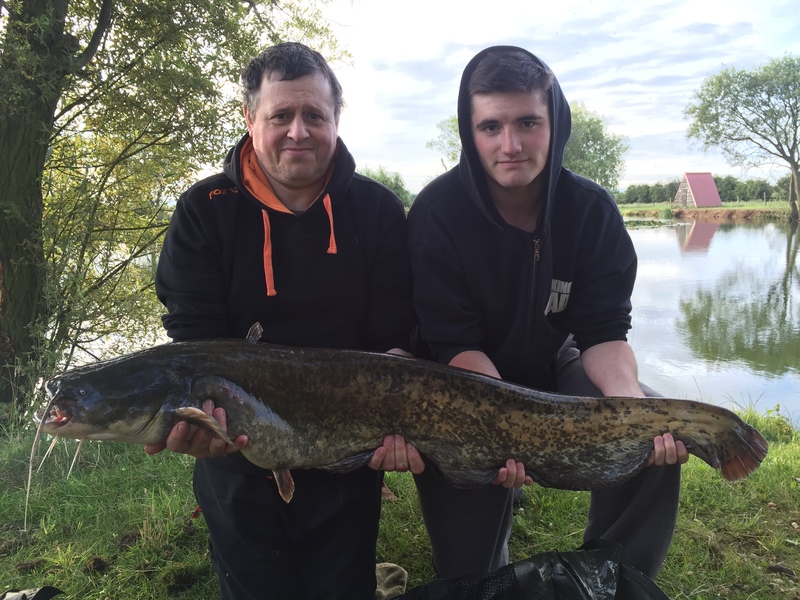 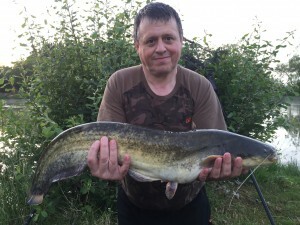 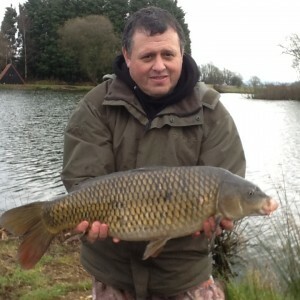 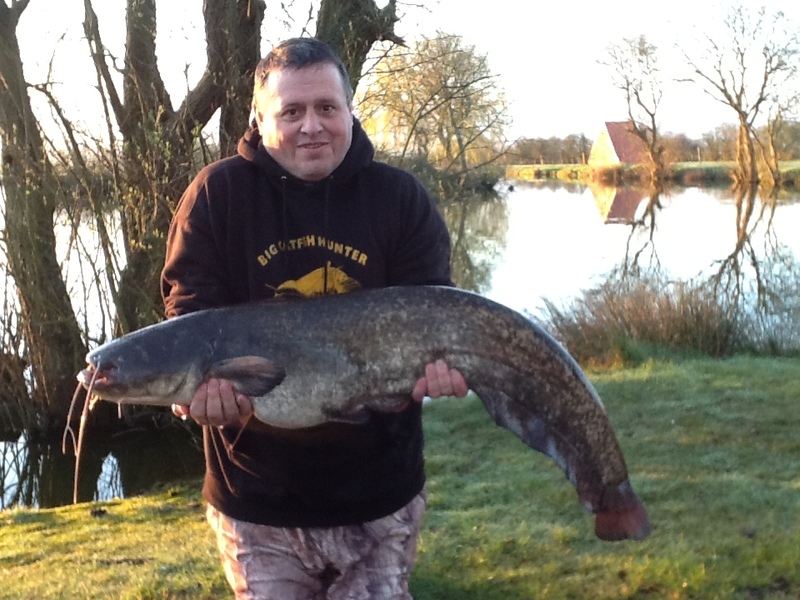 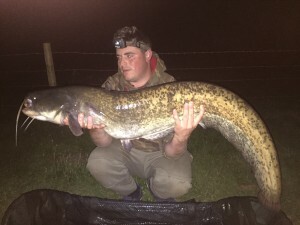 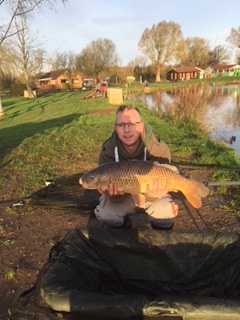 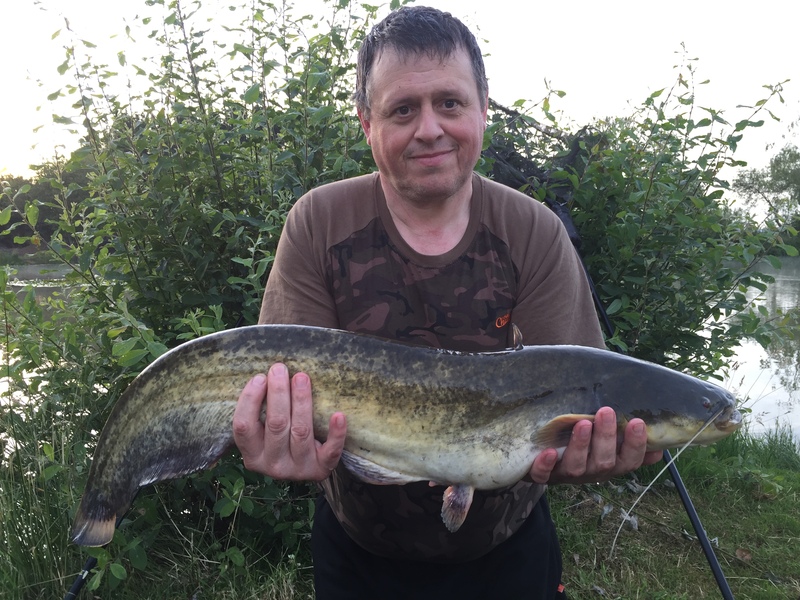 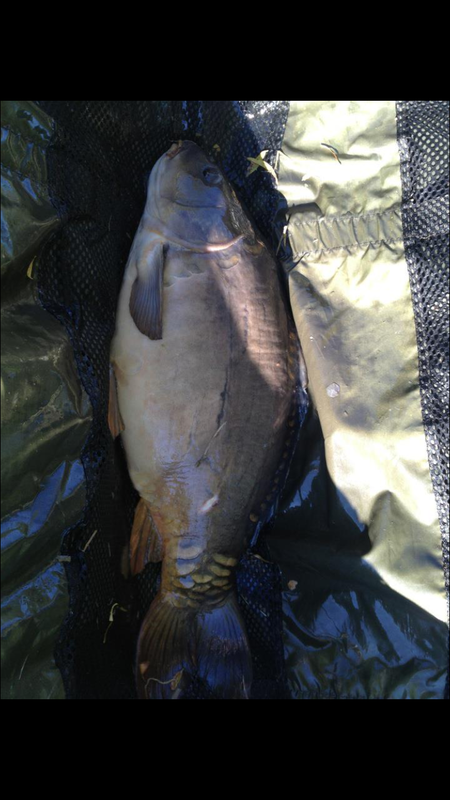 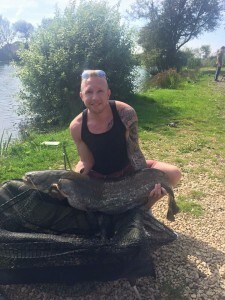 Fishing Swims 2 & 3 on the Specimen Lake on 12th/13th April, regulars Colin and Rob Morris caught a 26lbs Catfish, 12lbs Common Carp, 18lbs Mirror Carp and a 17lbs 2oz Catfish. 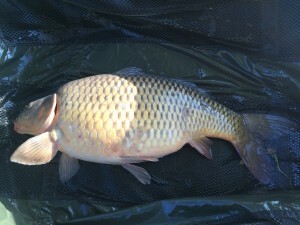 Two are pictured above. Milton Pool’s regular Colin Morris fished during the blustery conditions on Sunday the 10th of April and walked away with three impressive catches, two of which are pictured above, an 18lbs Koi and a 27lbs 4oz Common Carp. 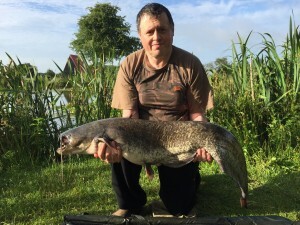 During a 24hour session on pegs 2 and 3 on the Specimen Lake Milton Pool’s regulars Colin and Rob Morris had an impressive haul of fish, some of which are pictured above and ranged from 10lbs to 18lbs 2oz, this included one 15lbs Carp, one 16lbs, three at 17lbs, and three 18lbs Carp. 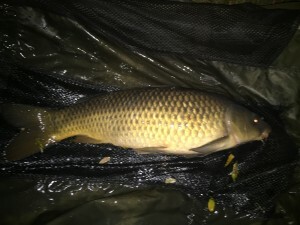 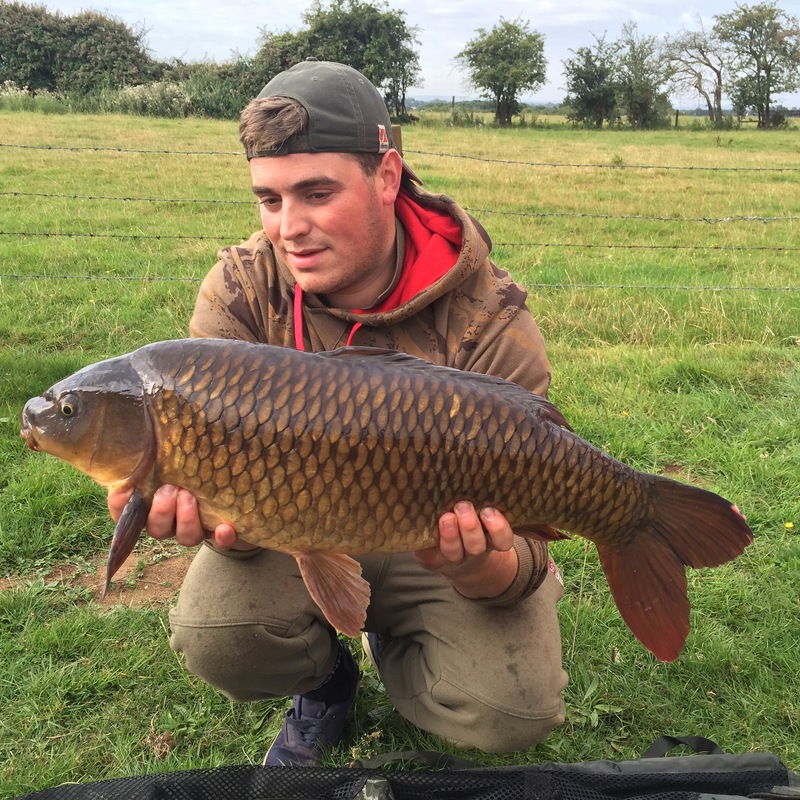 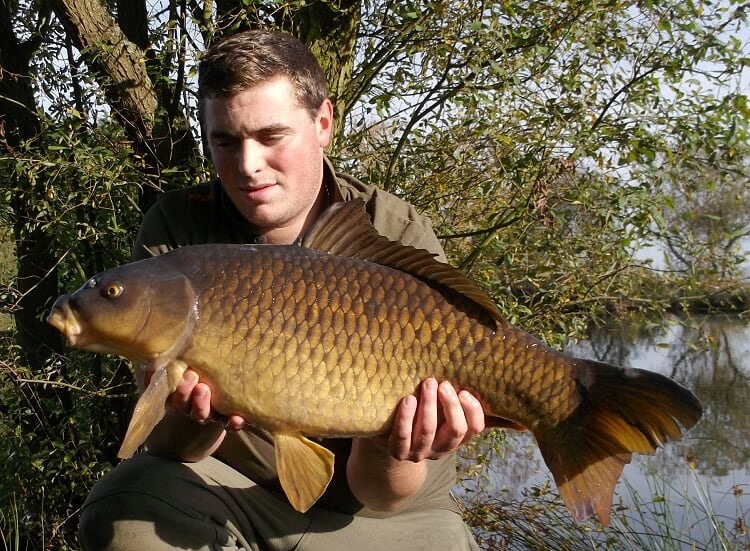 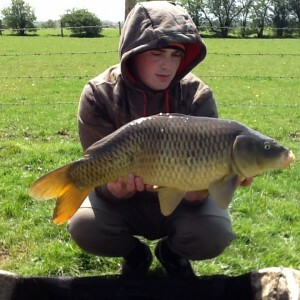 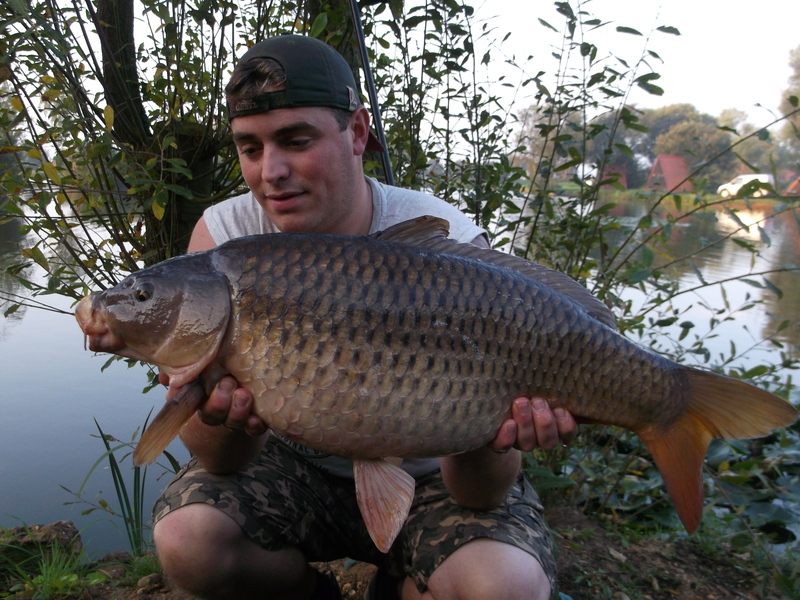 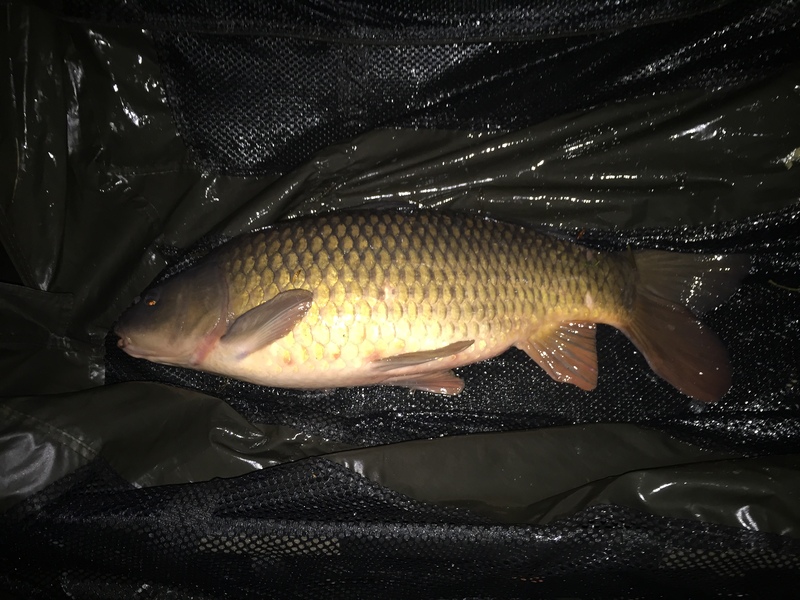 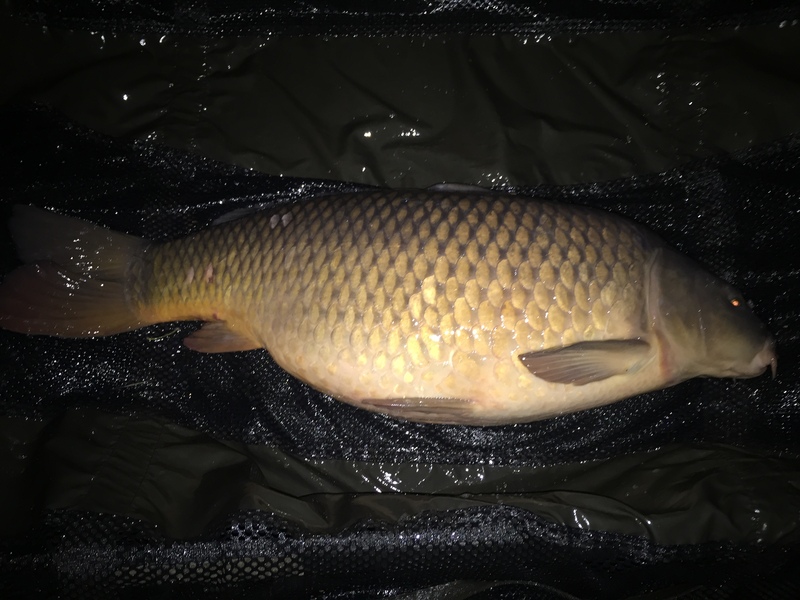 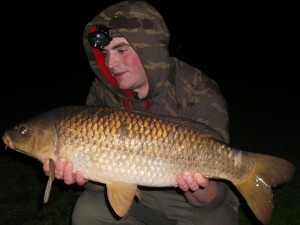 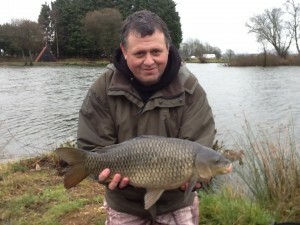 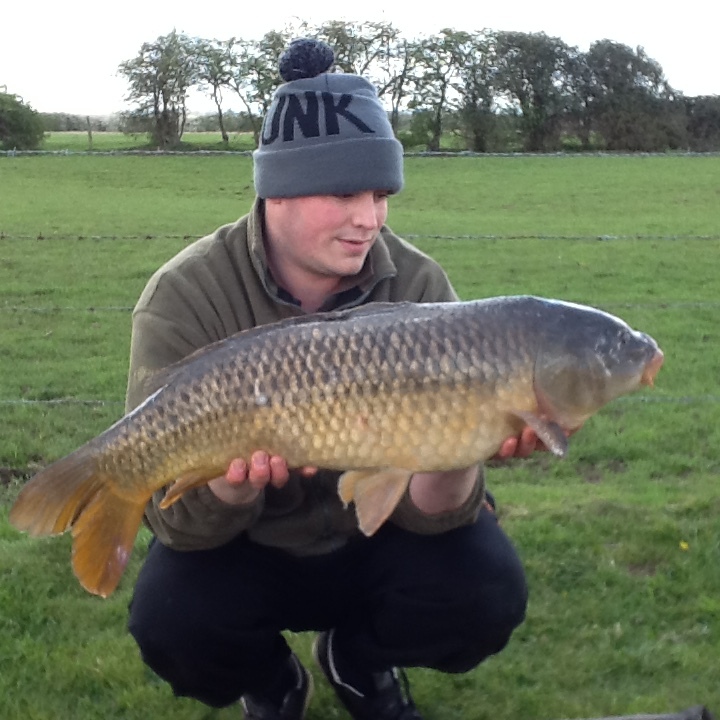 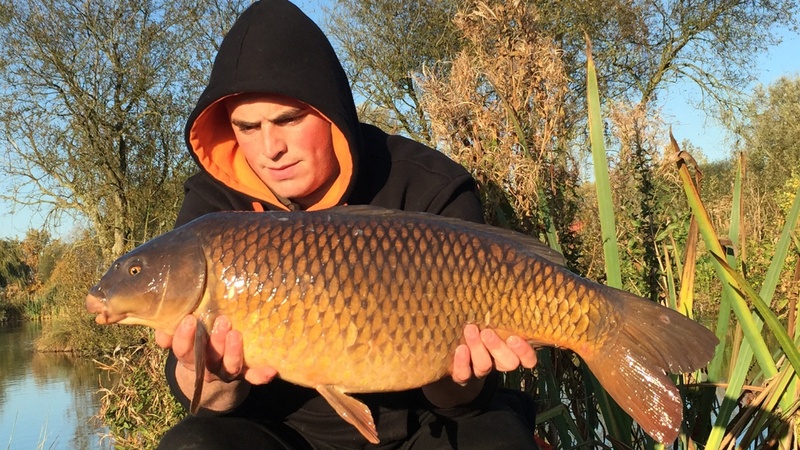 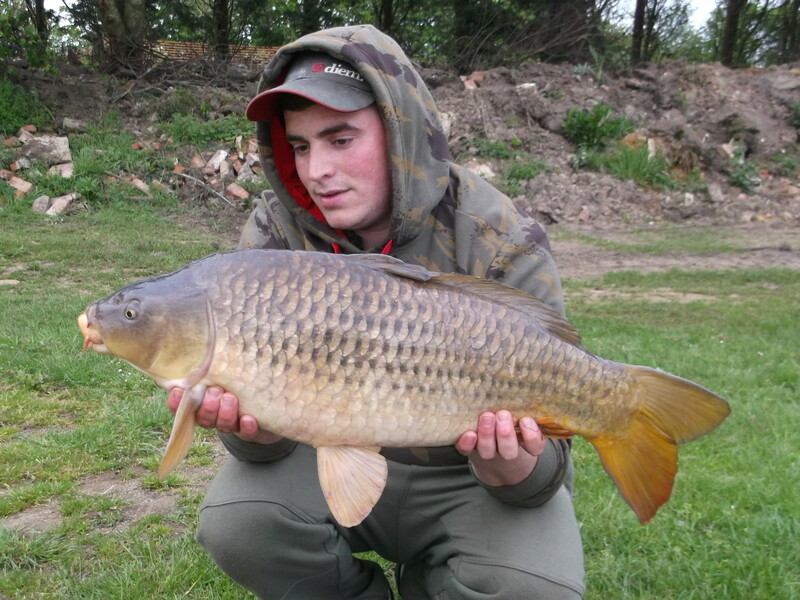 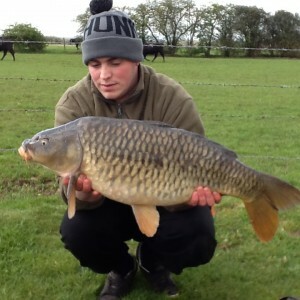 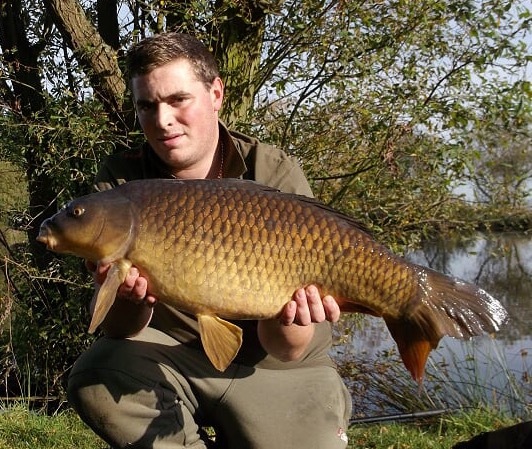 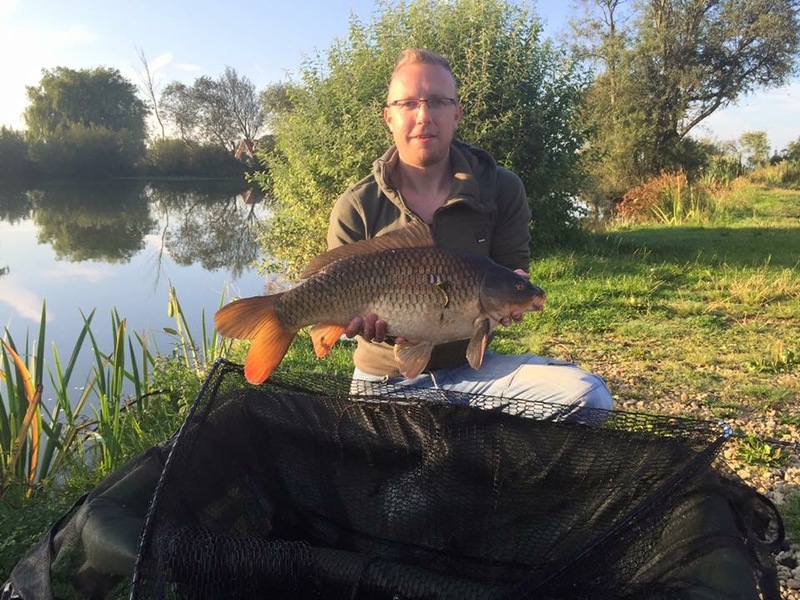 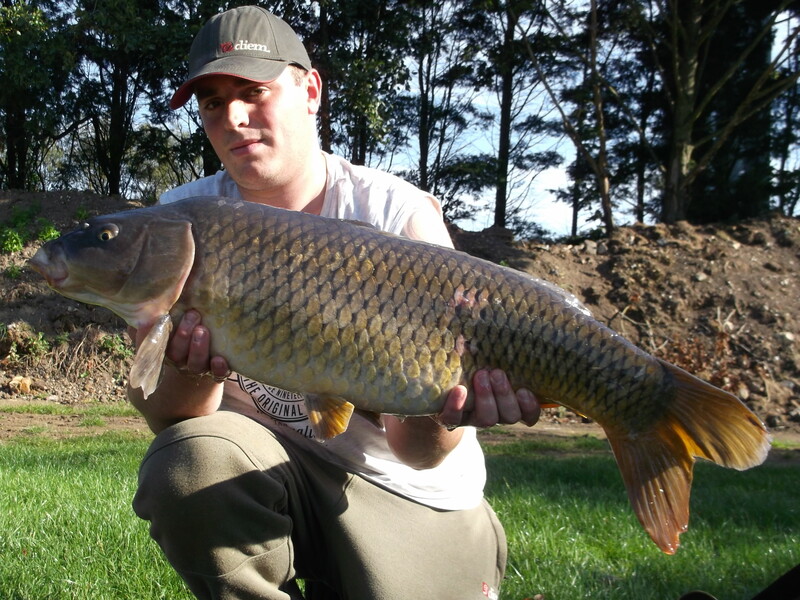 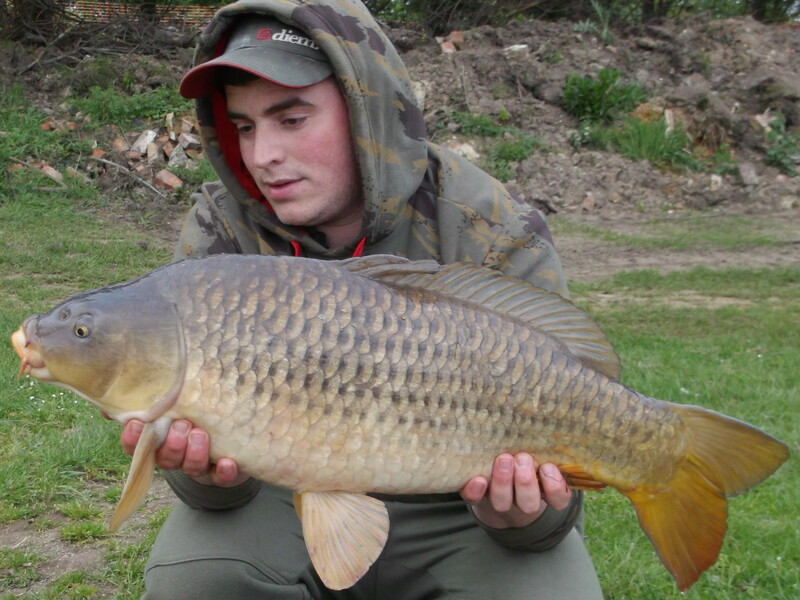 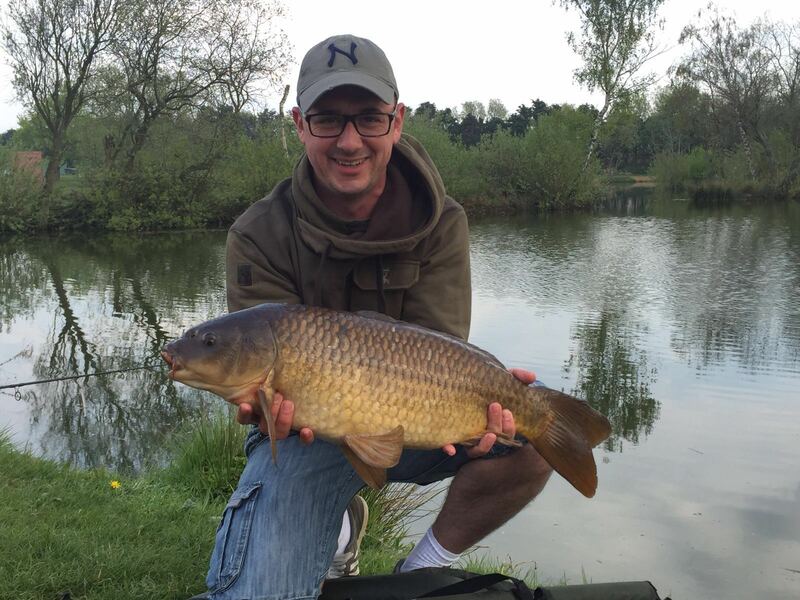 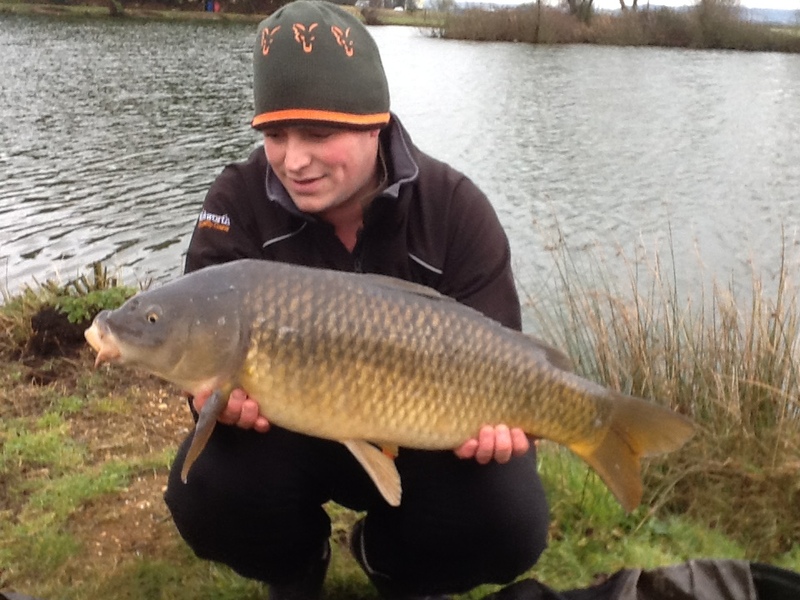 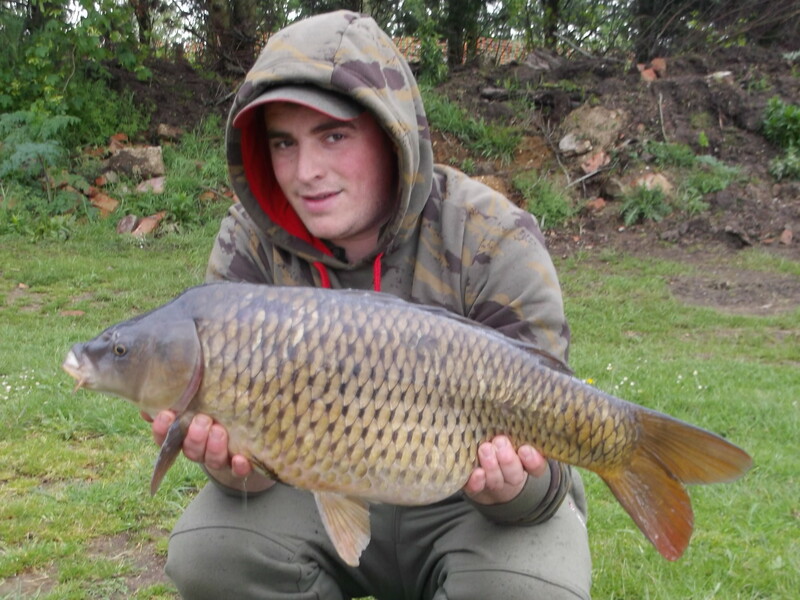 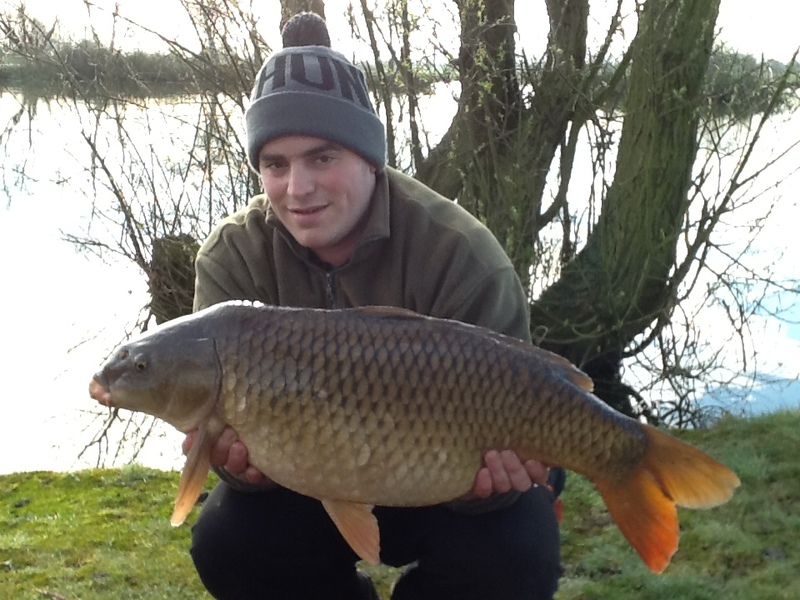 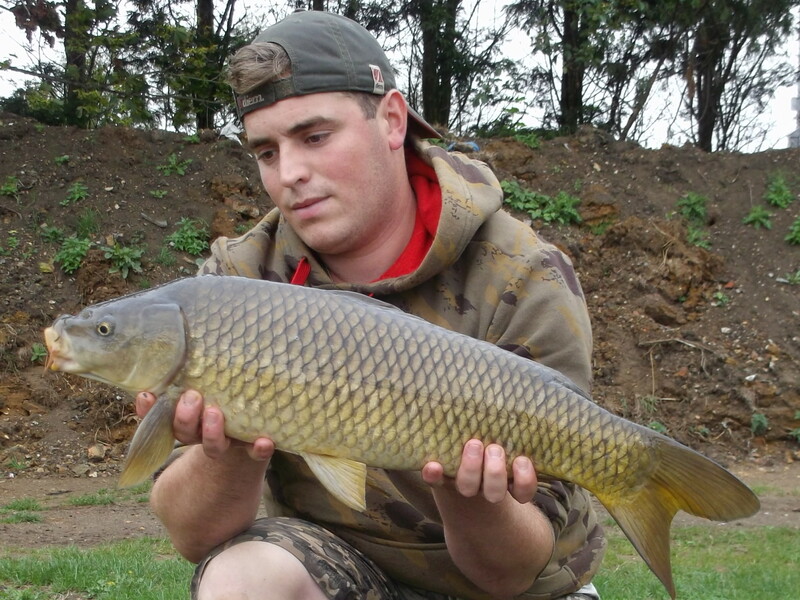 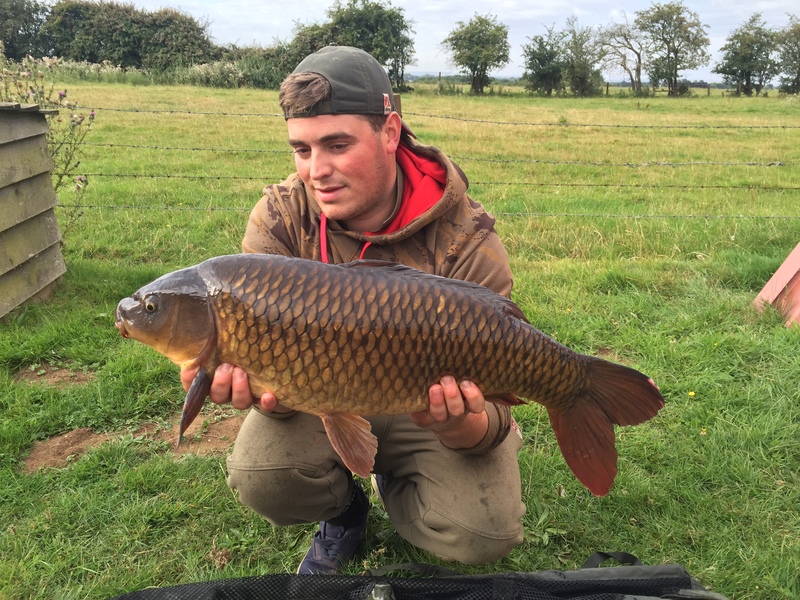 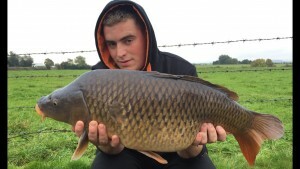 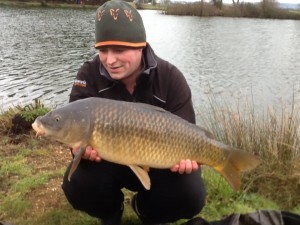 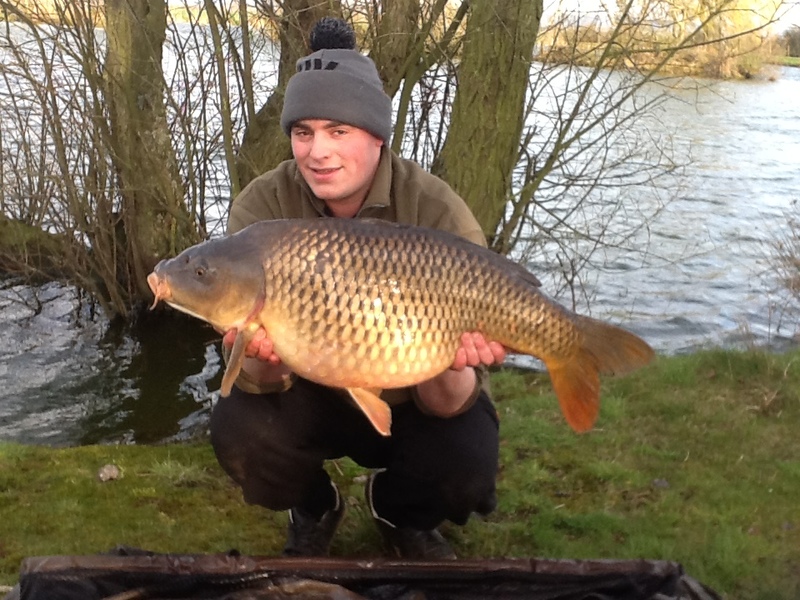 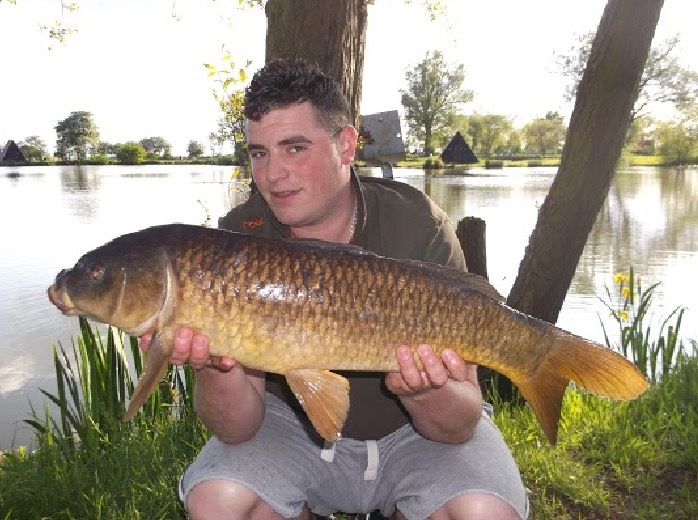 Whilst fishing a day session on the Specimen Lake during late March, Colin Morris once again enjoyed a fruitful session catch these three Common Carp, weighing 15lbs, 19lbs and 20lbs. 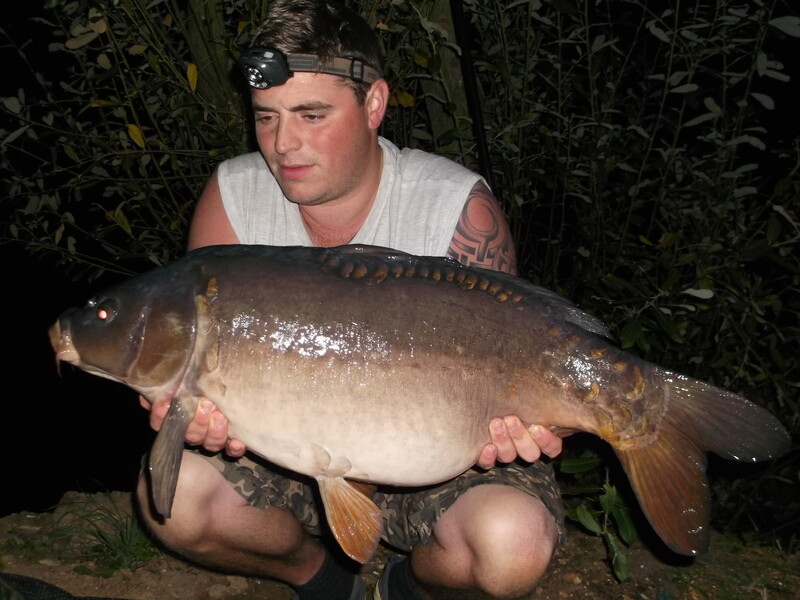 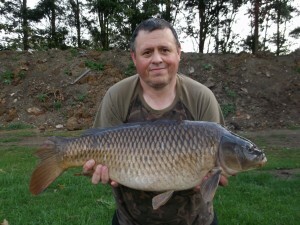 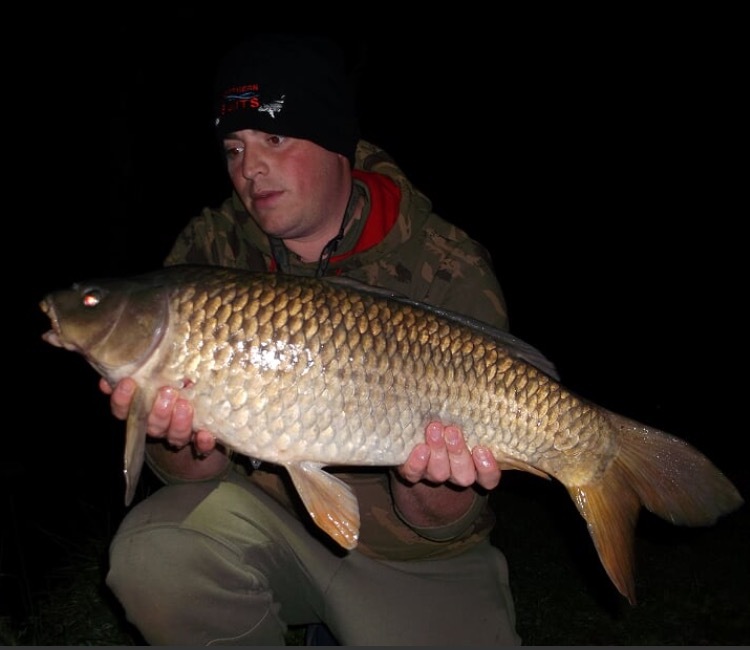 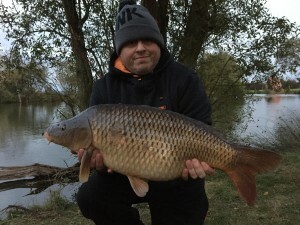 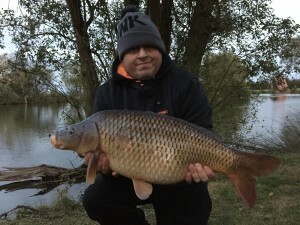 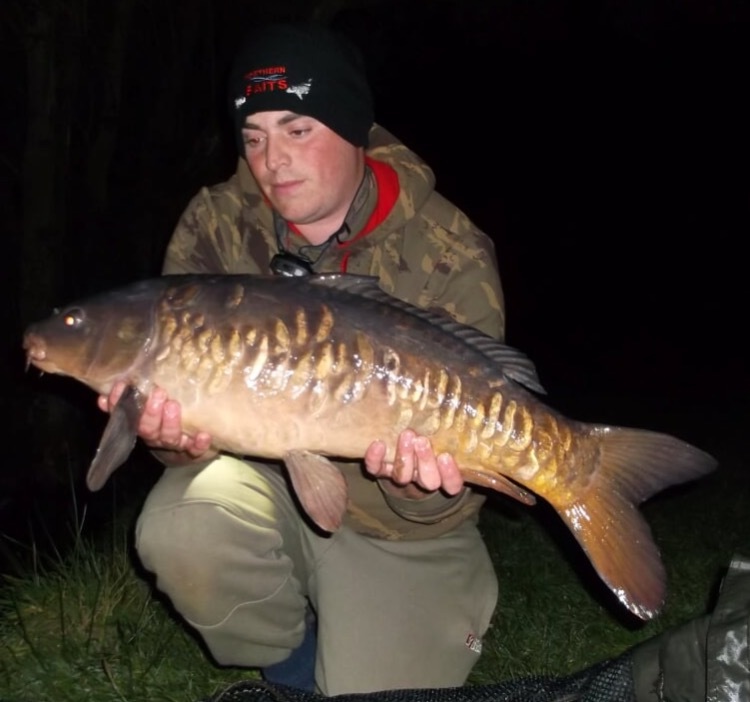 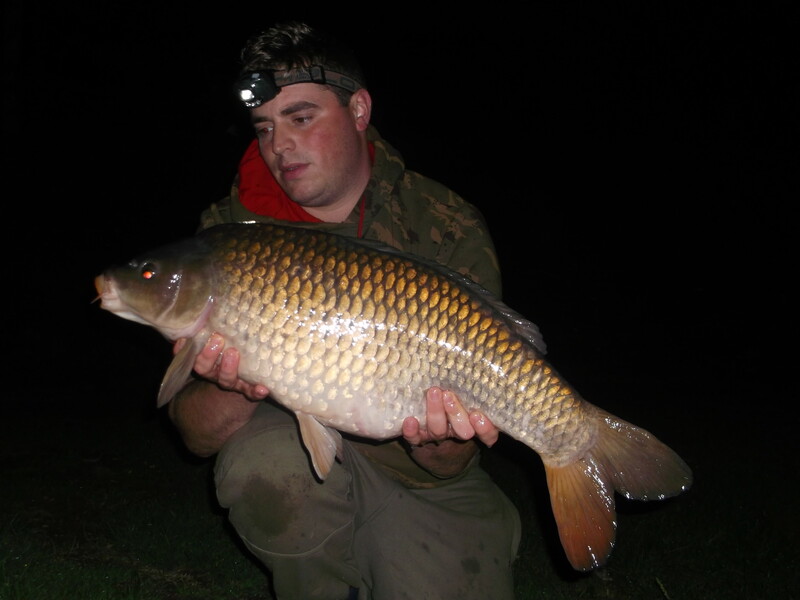 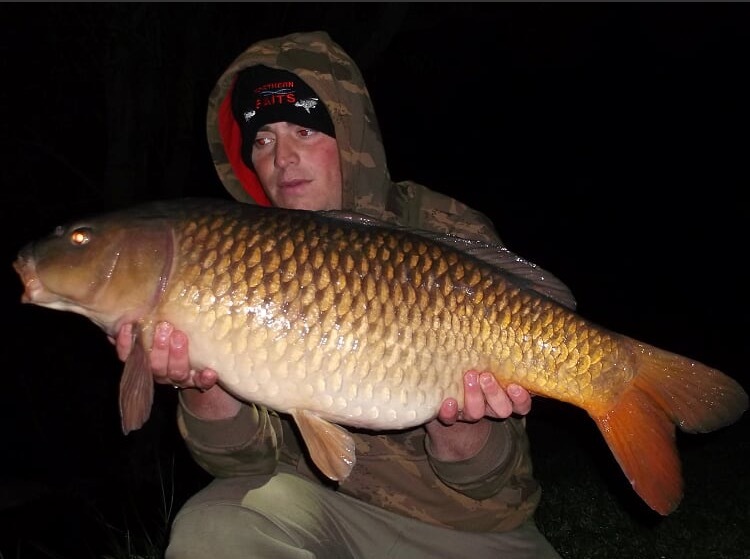 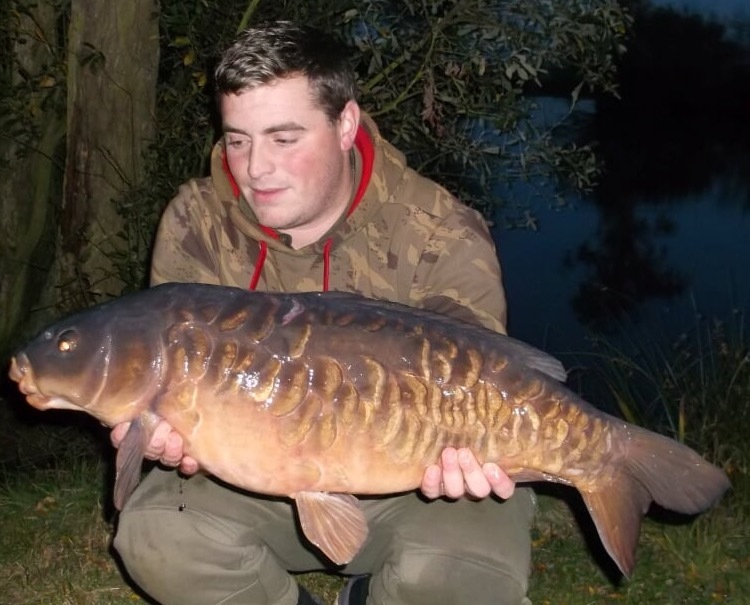 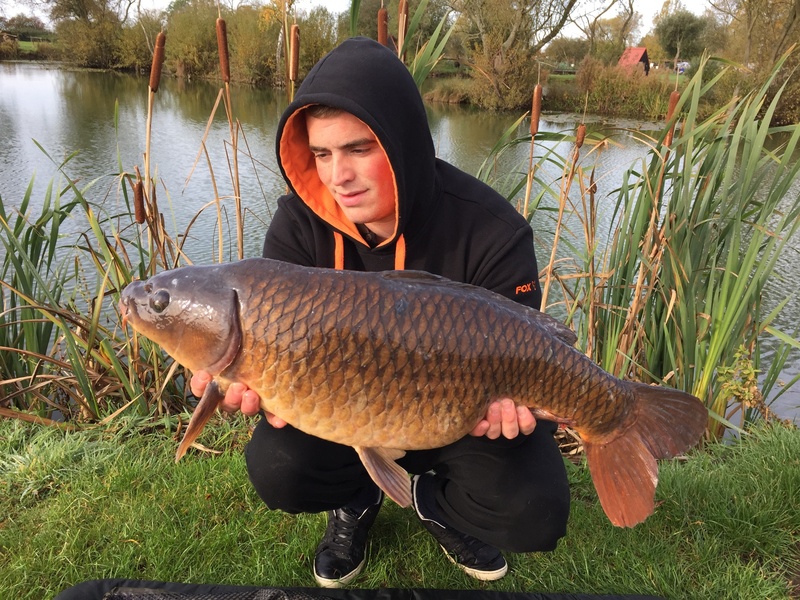 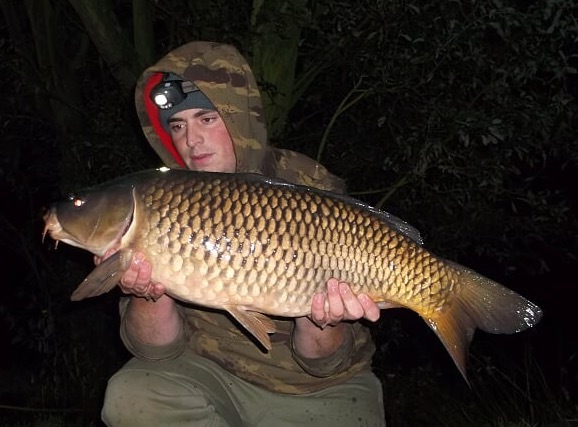 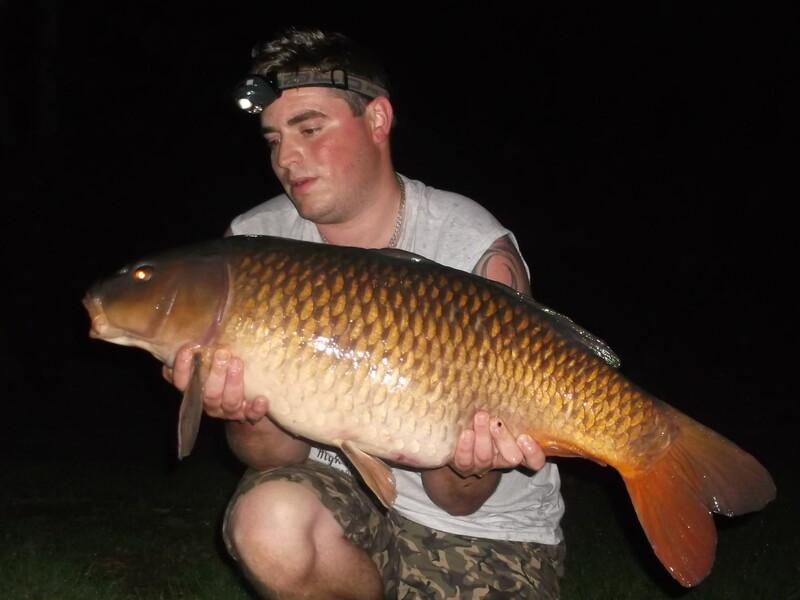 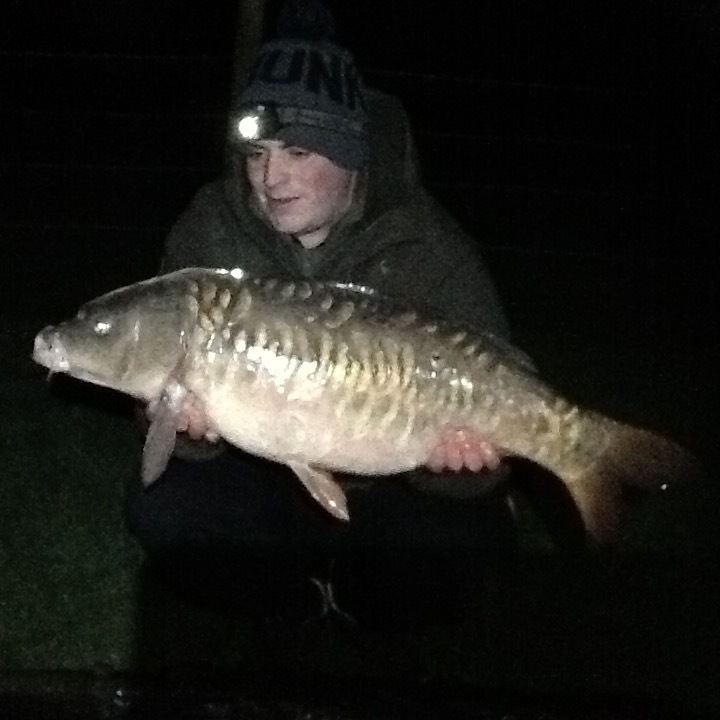 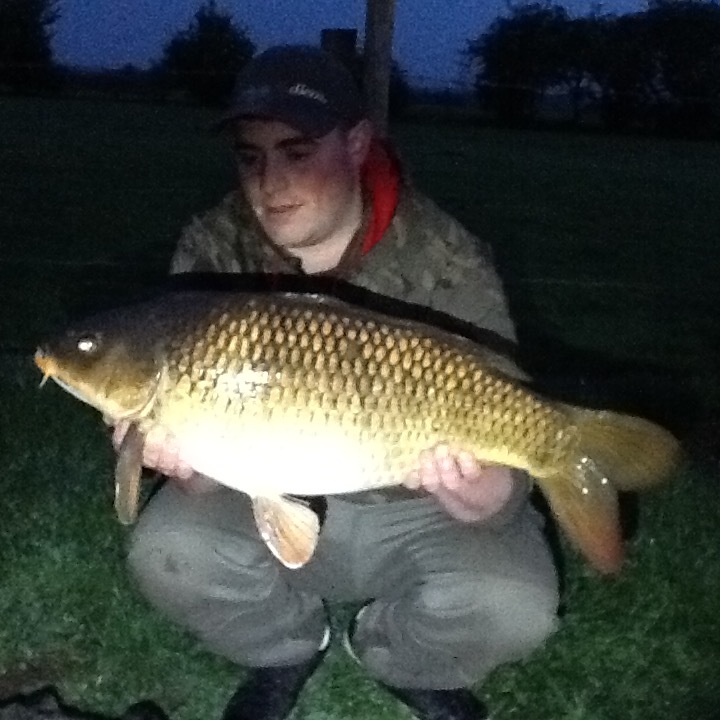 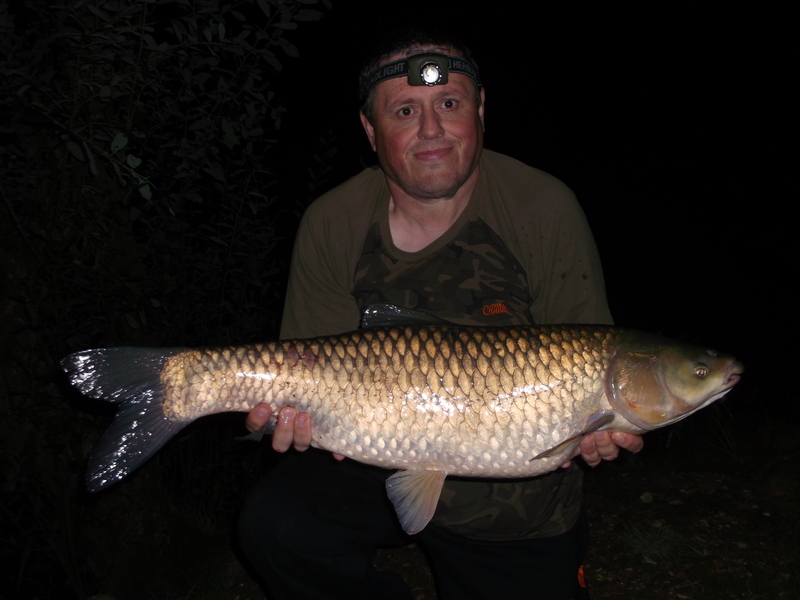 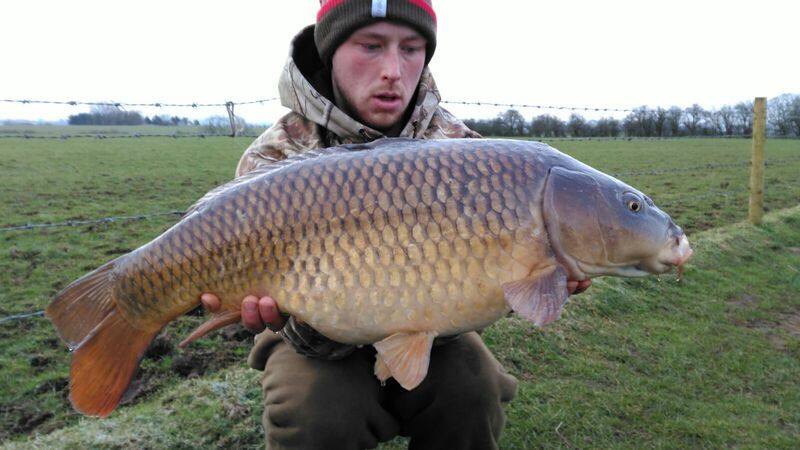 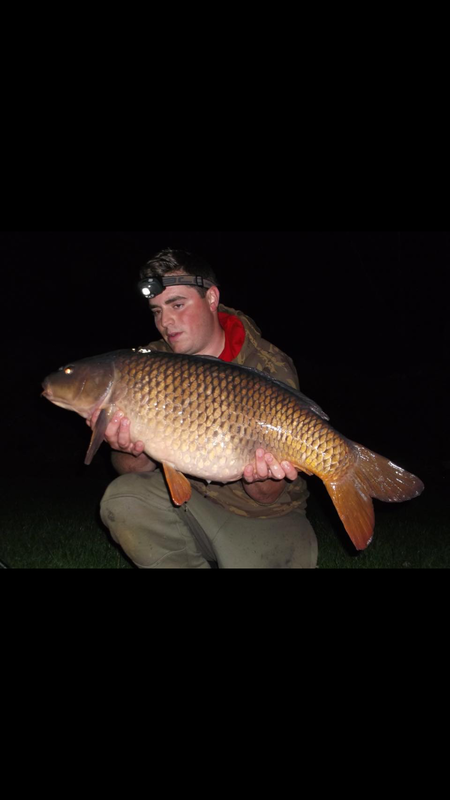 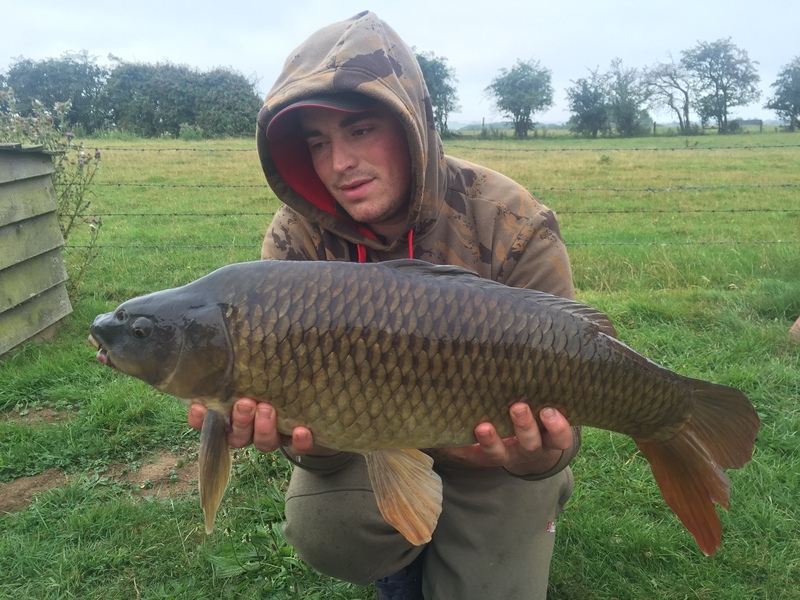 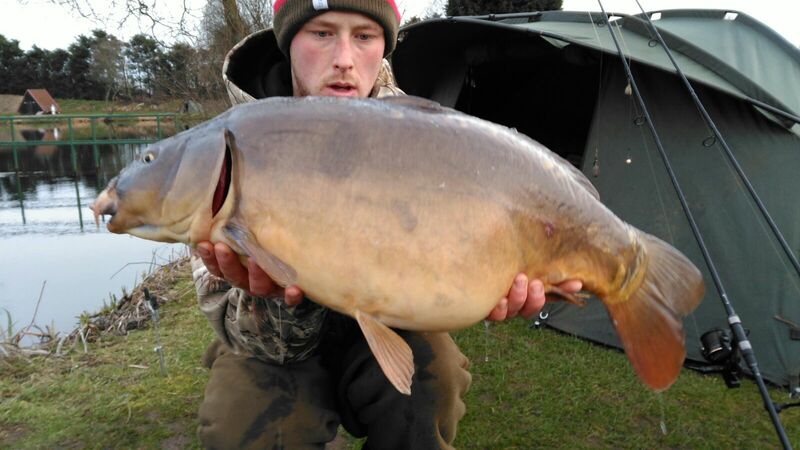 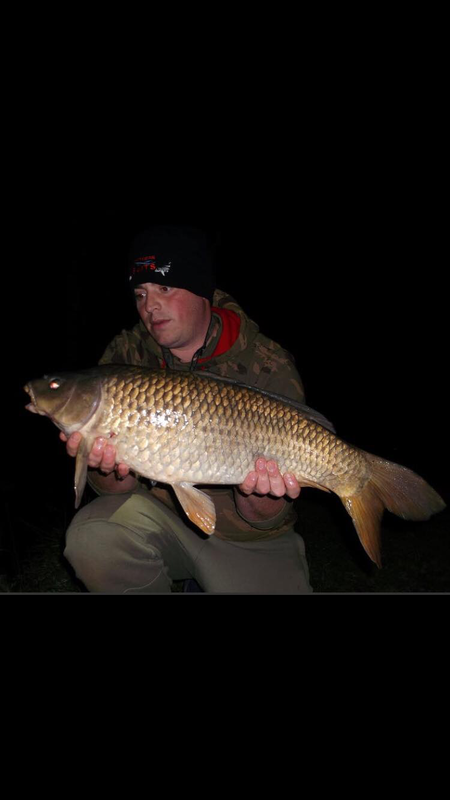 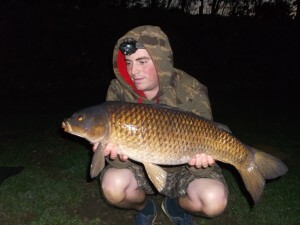 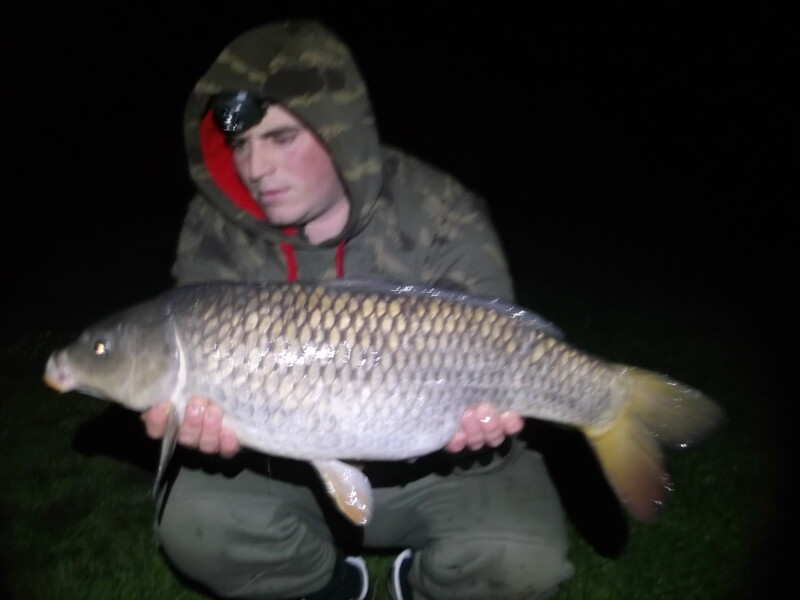 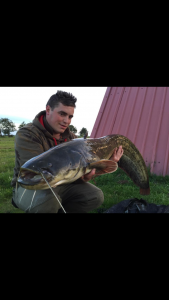 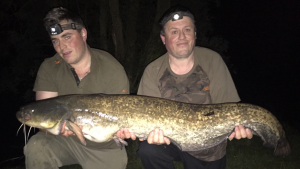 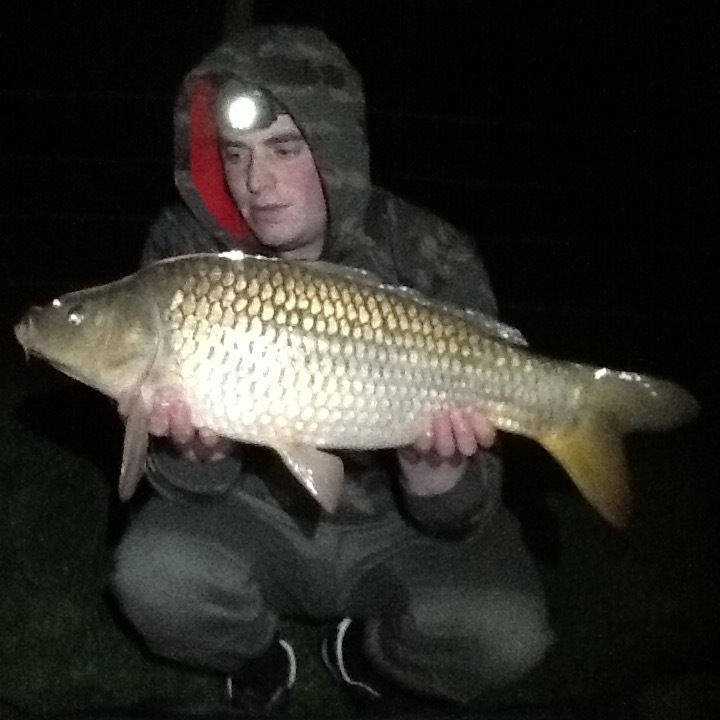 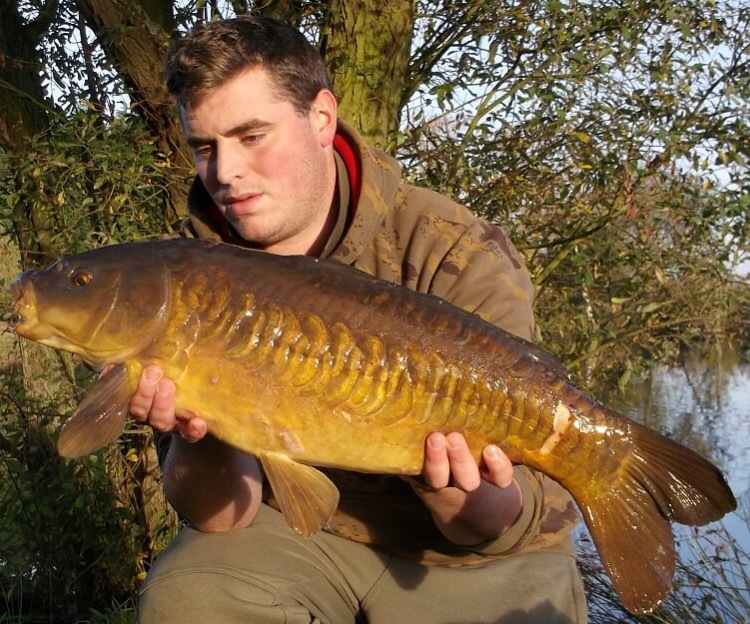 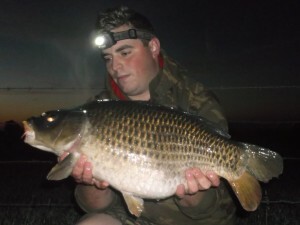 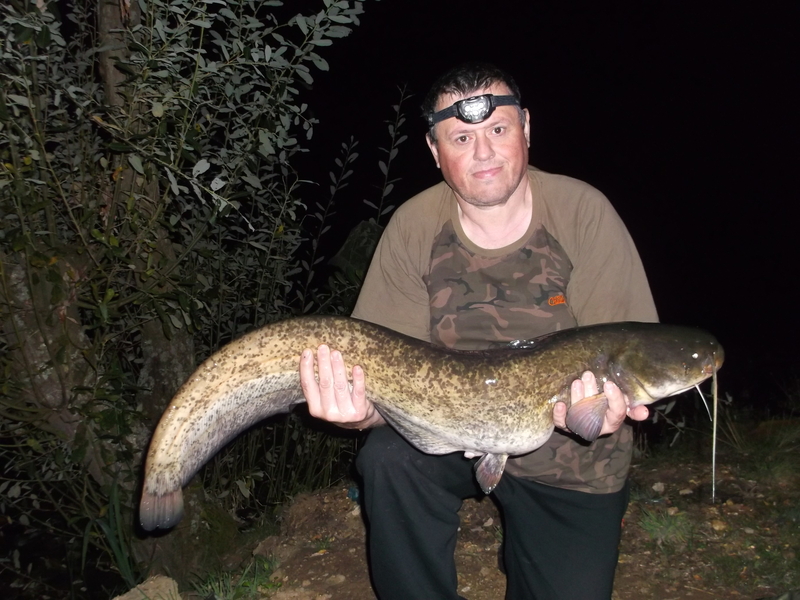 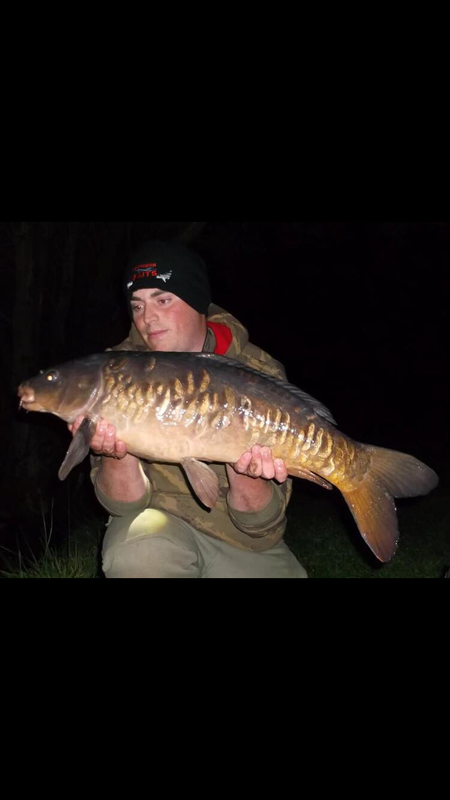 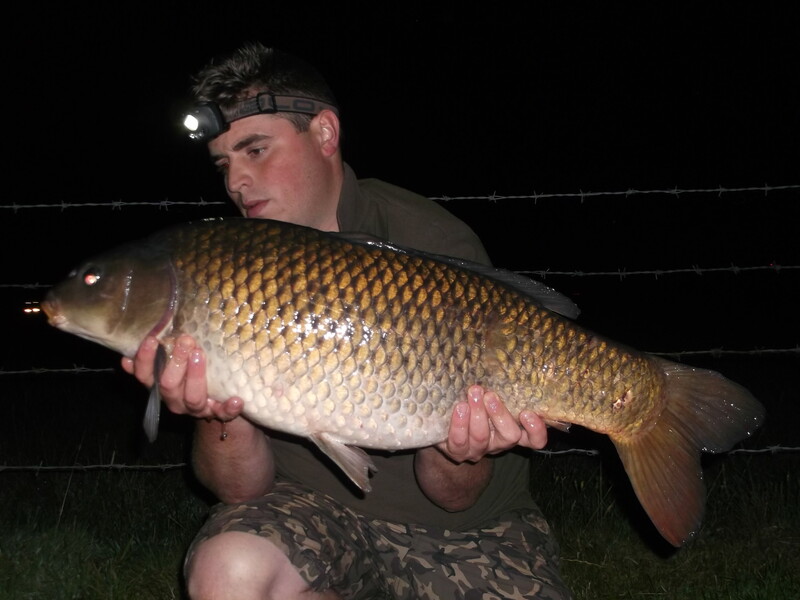 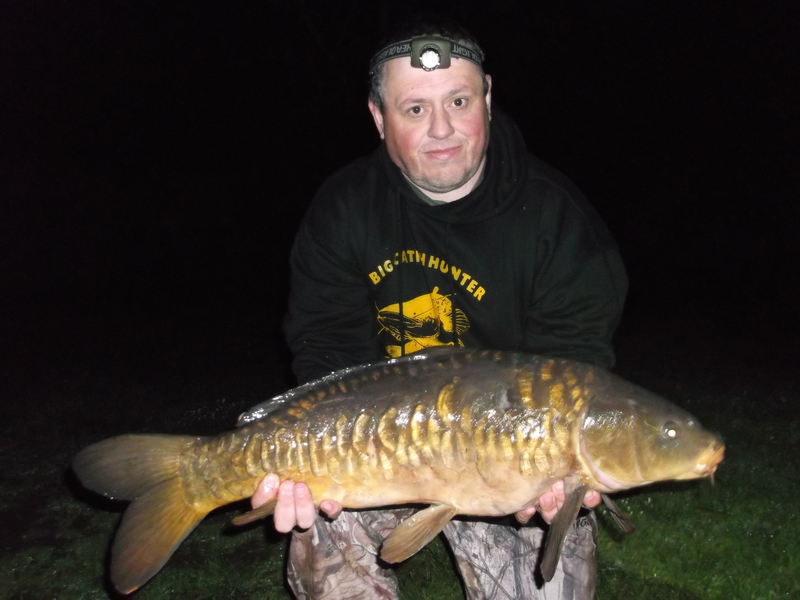 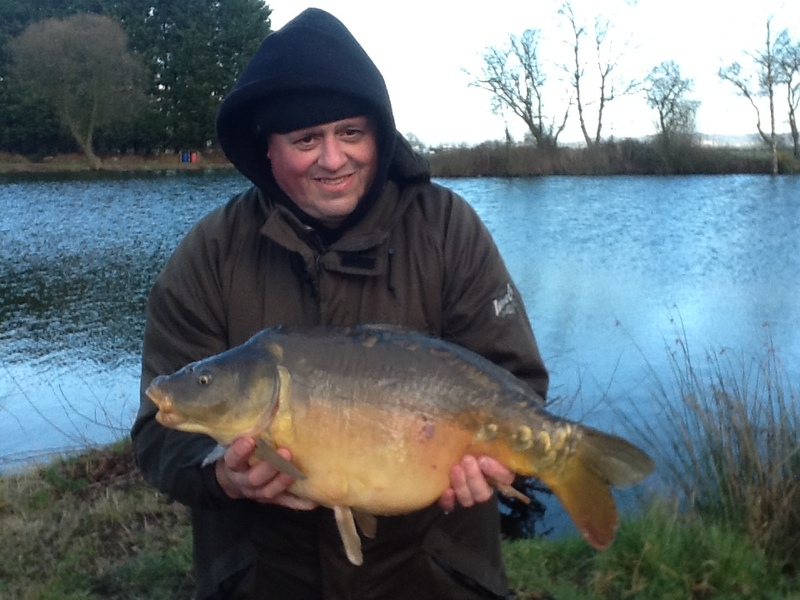 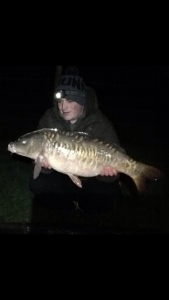 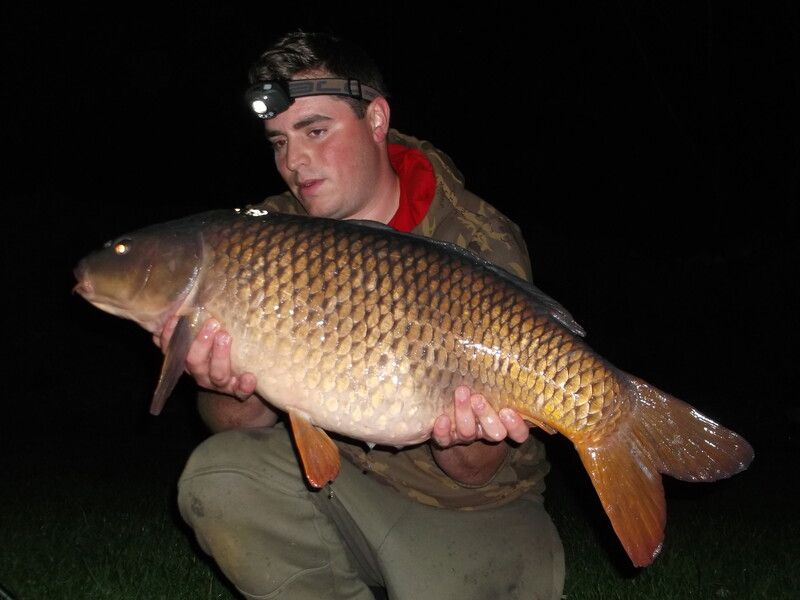 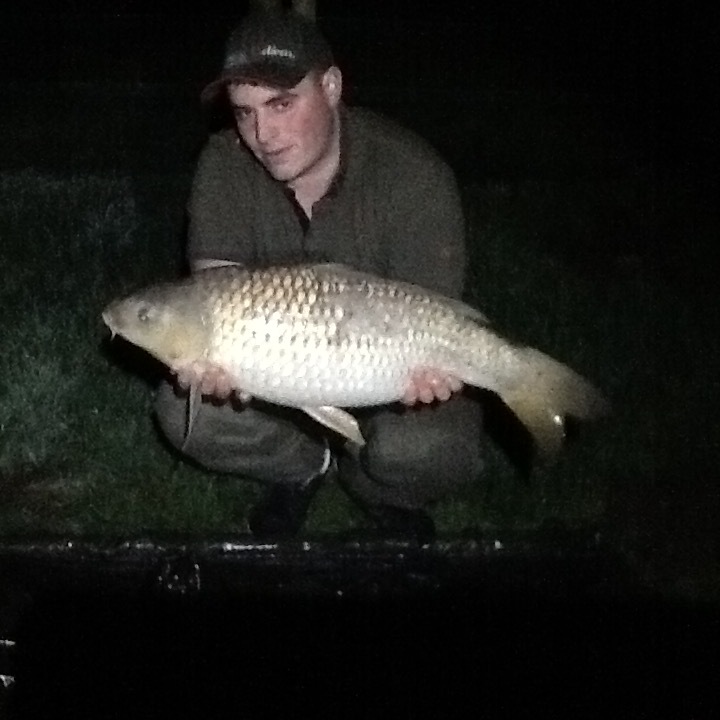 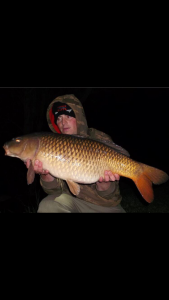 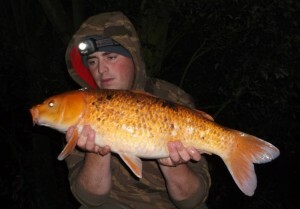 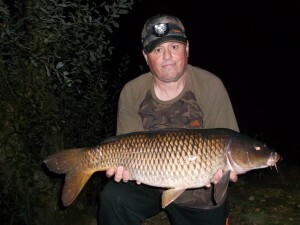 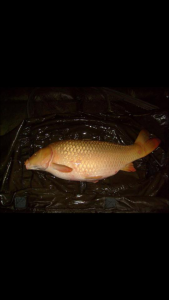 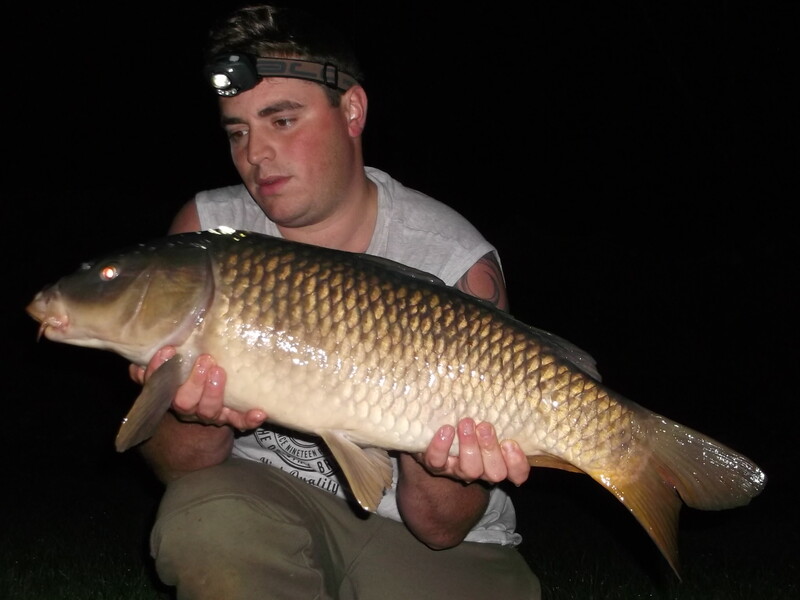 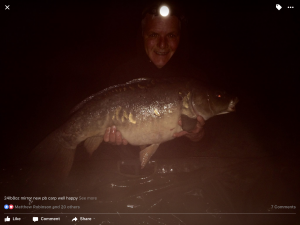 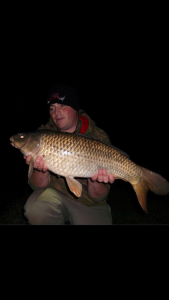 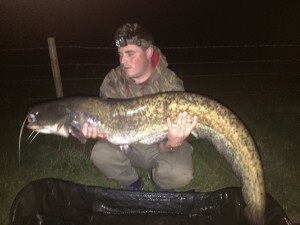 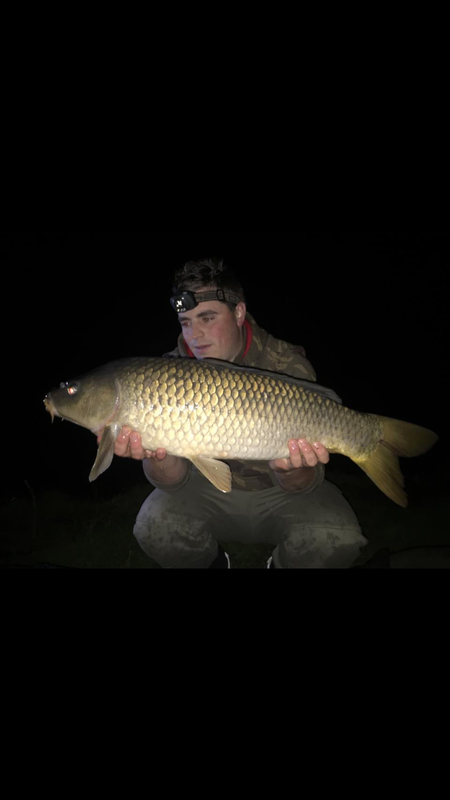 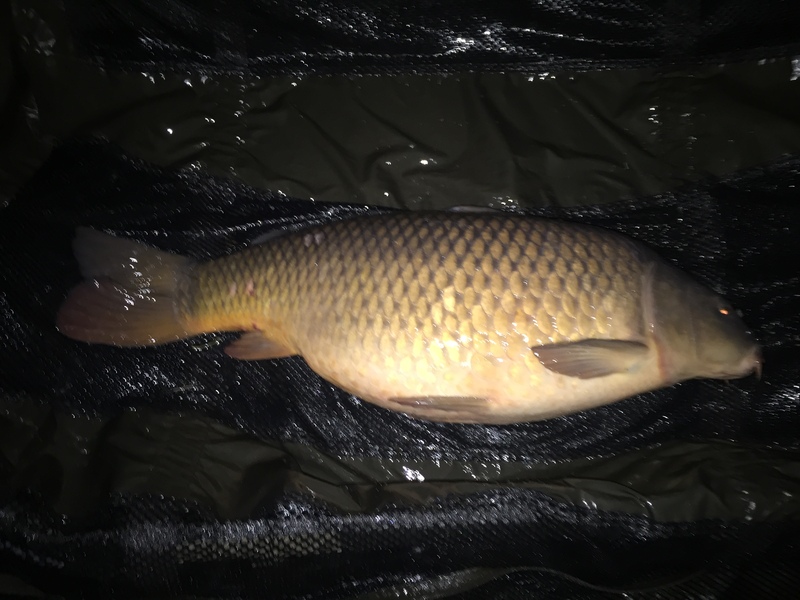 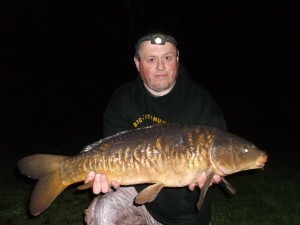 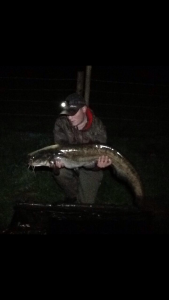 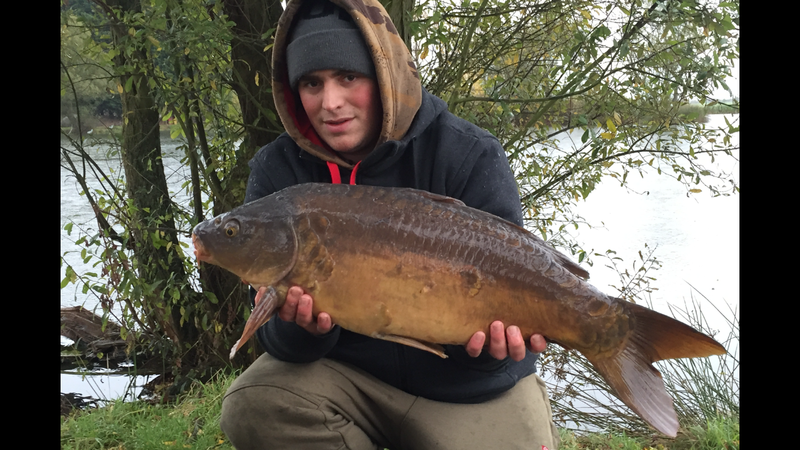 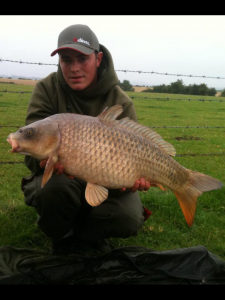 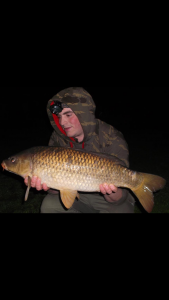 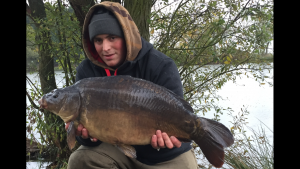 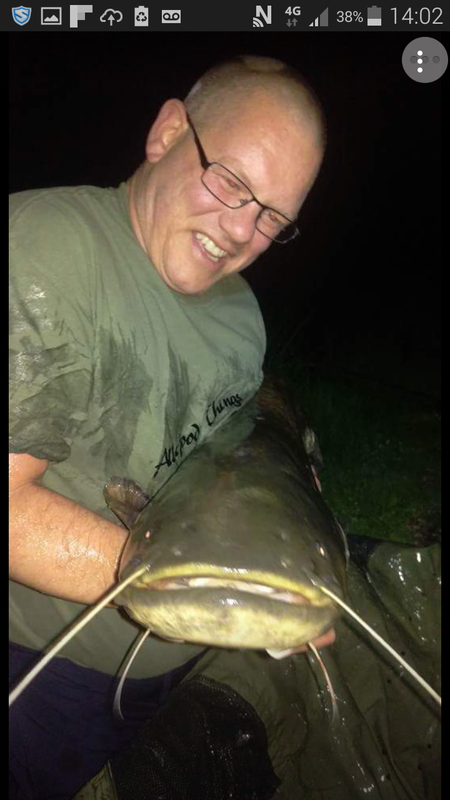 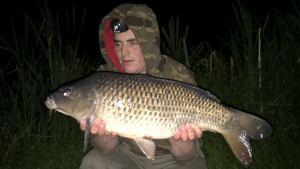 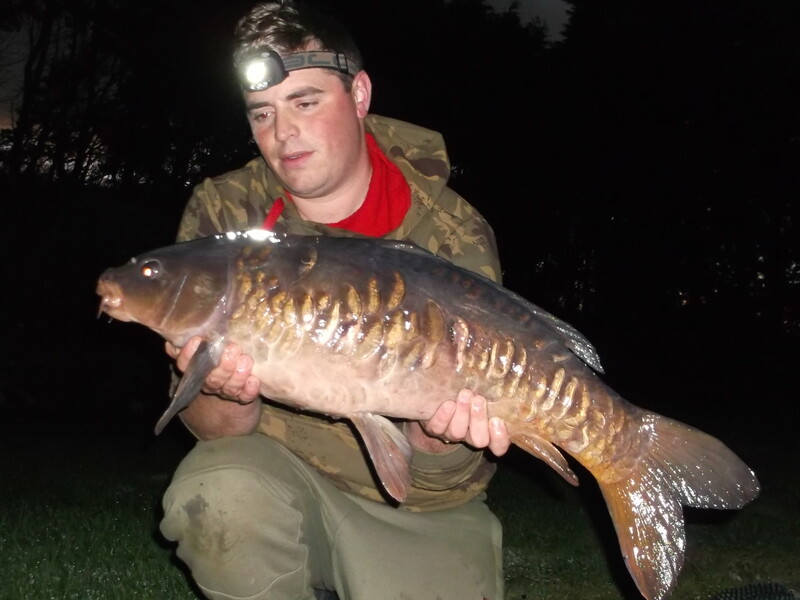 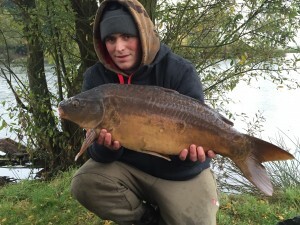 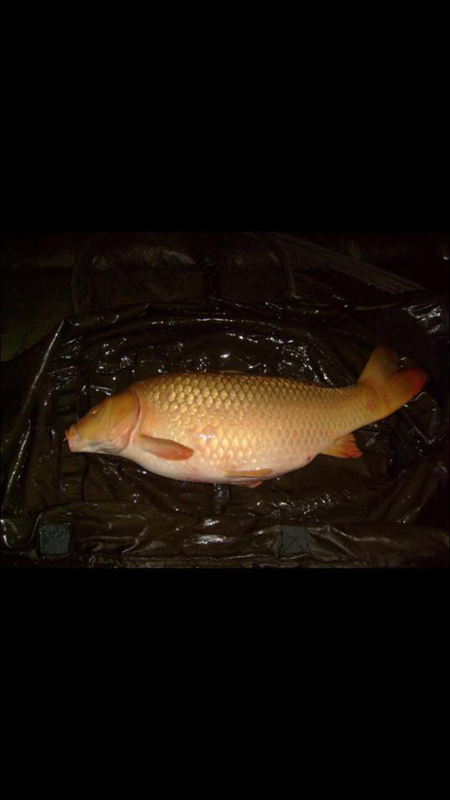 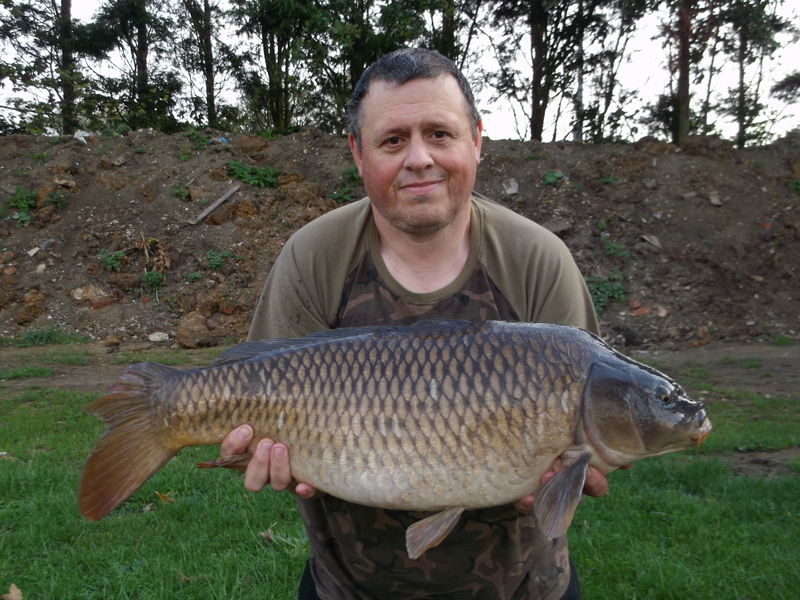 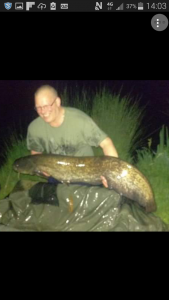 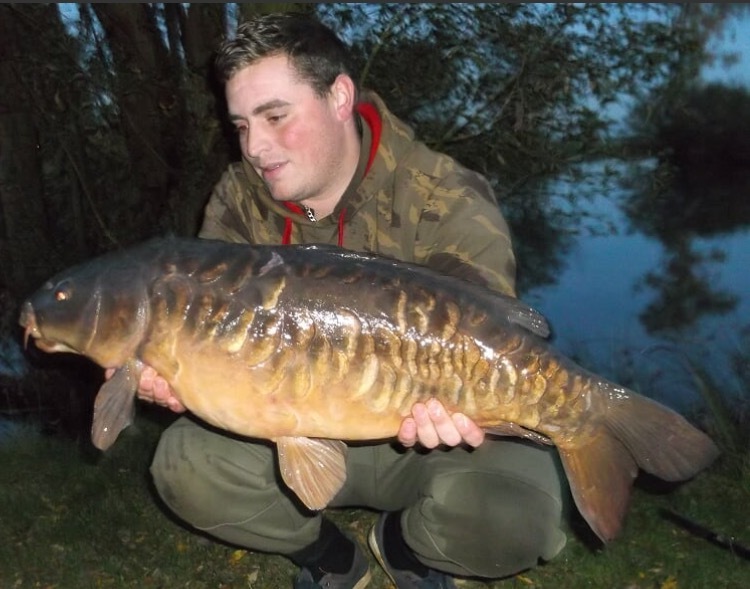 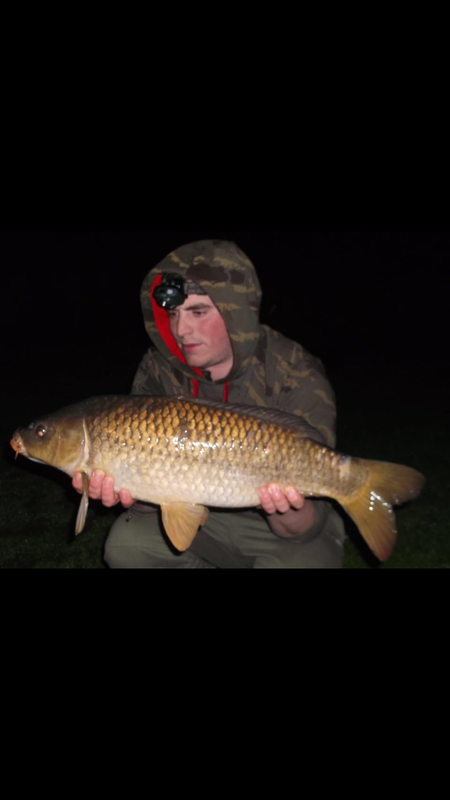 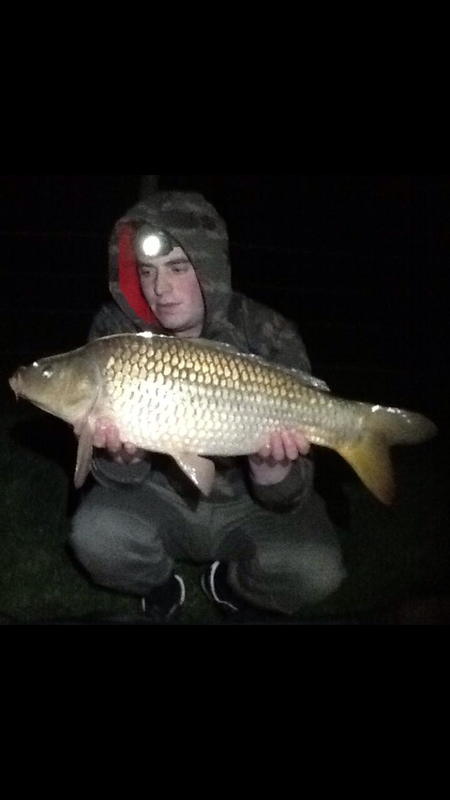 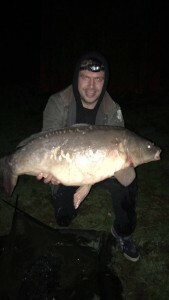 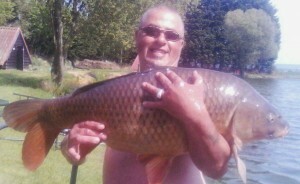 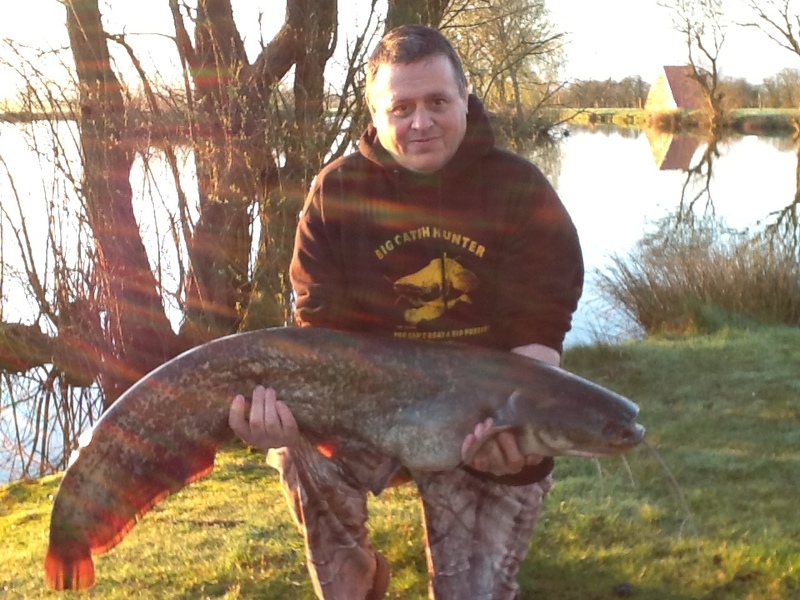 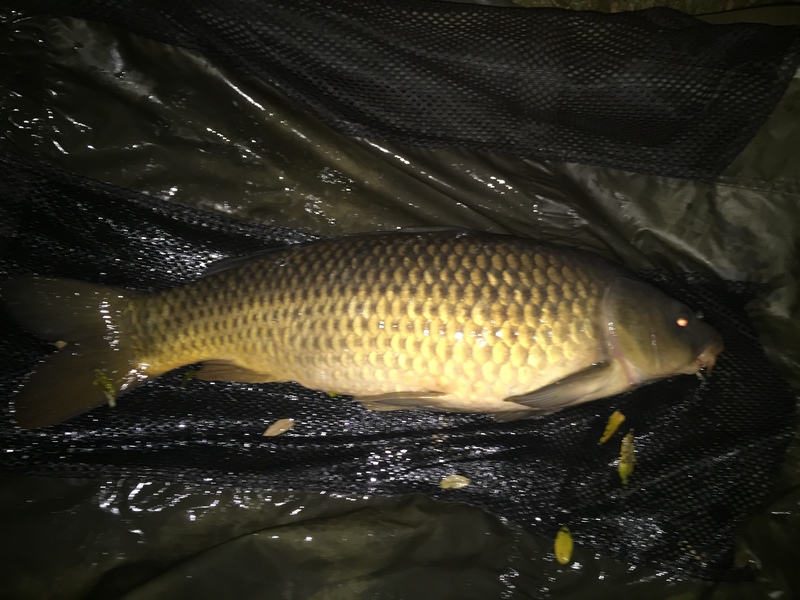 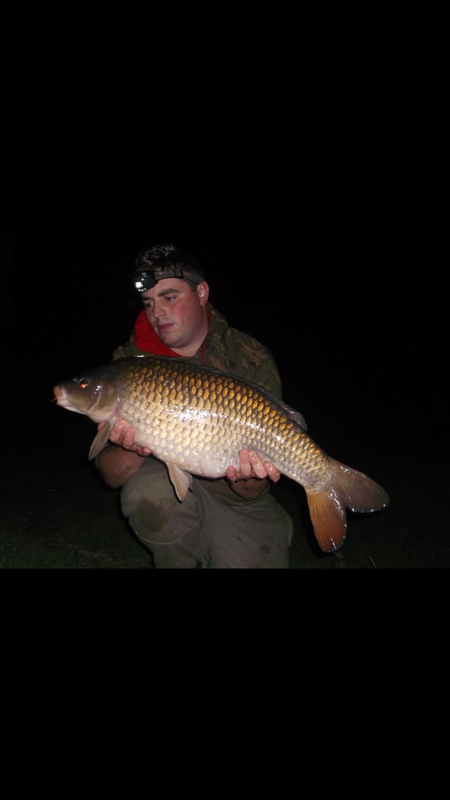 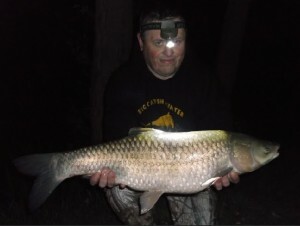 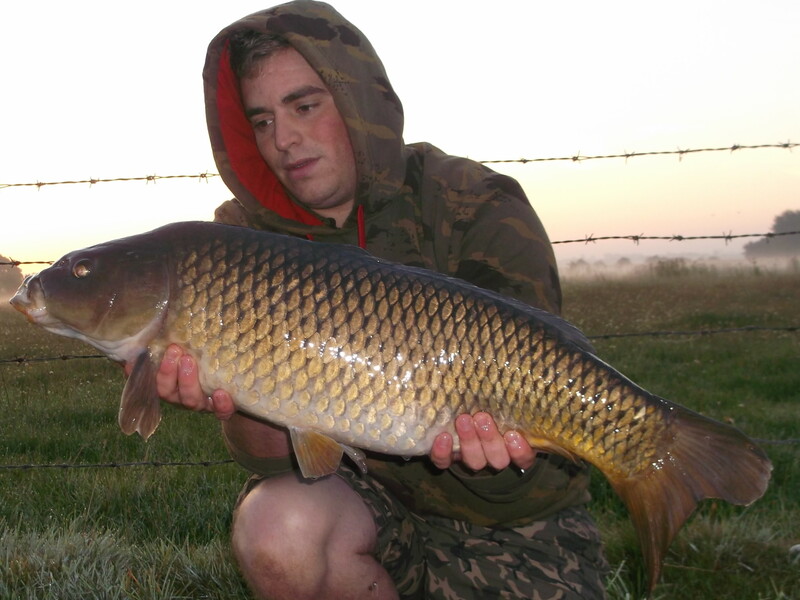 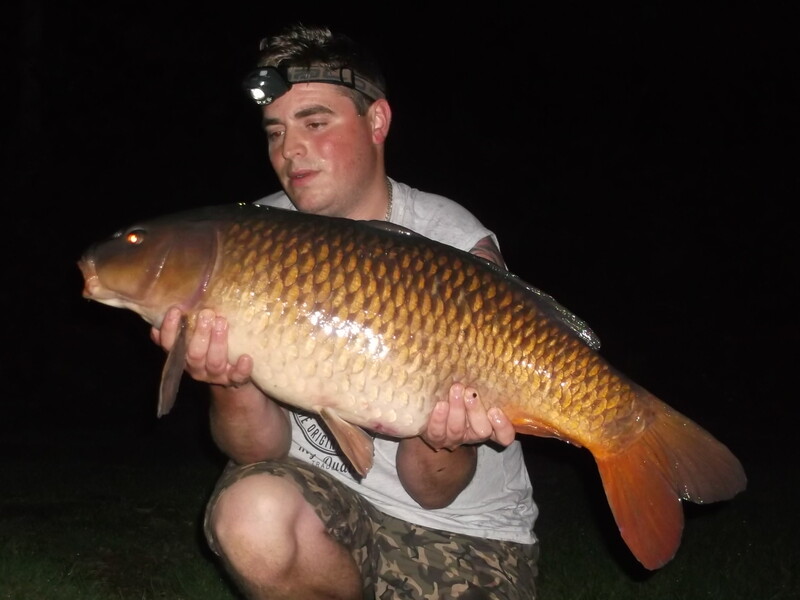 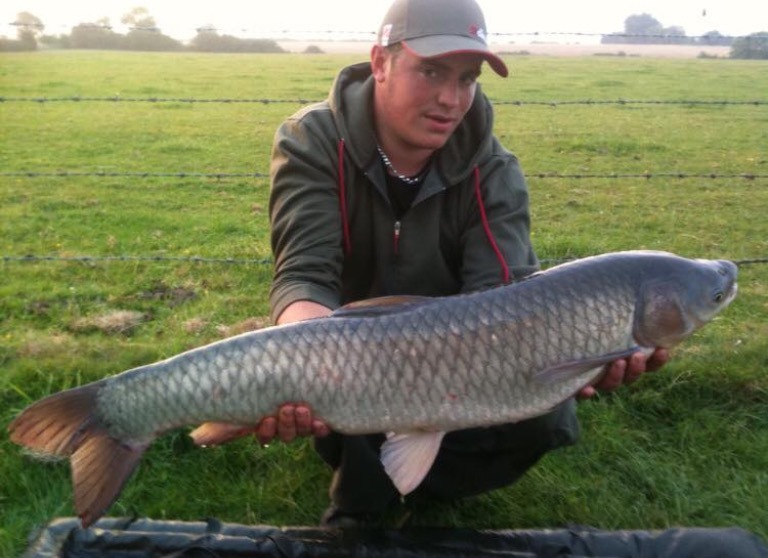 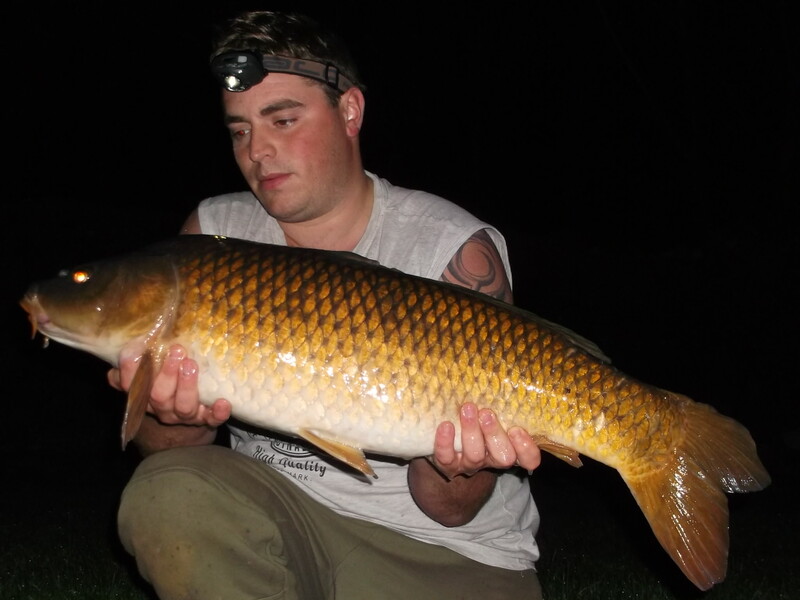 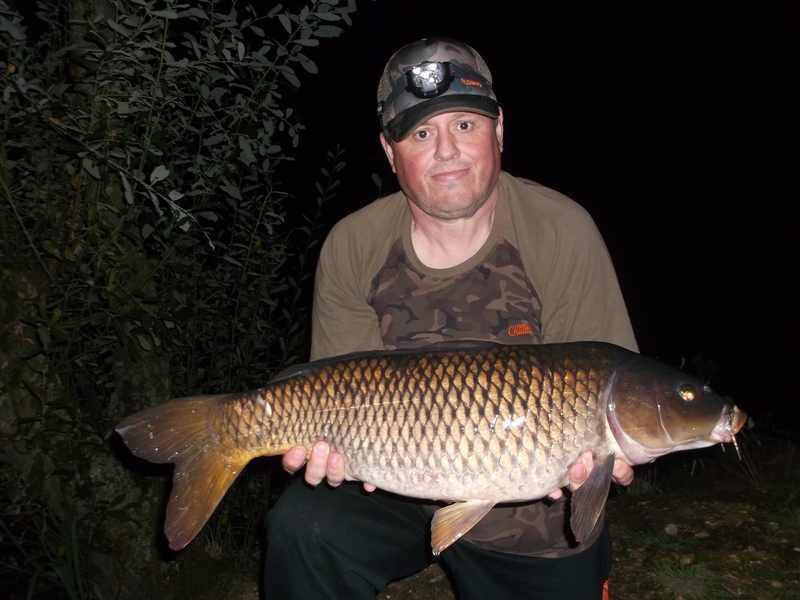 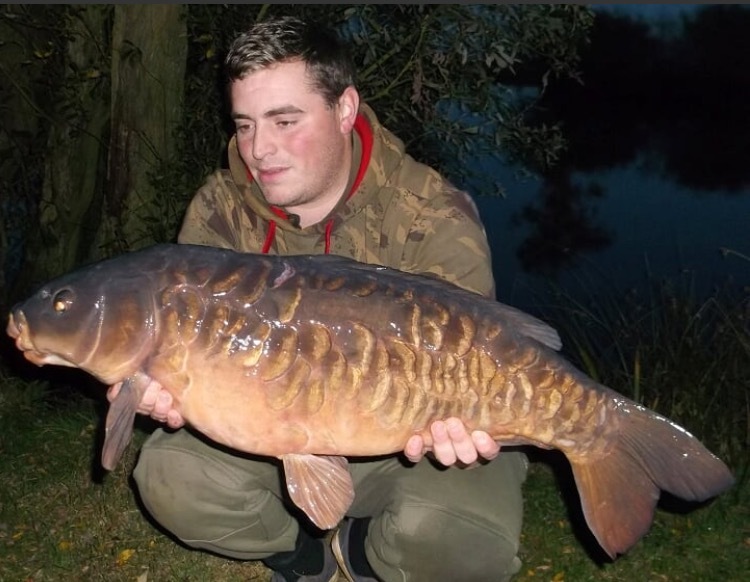 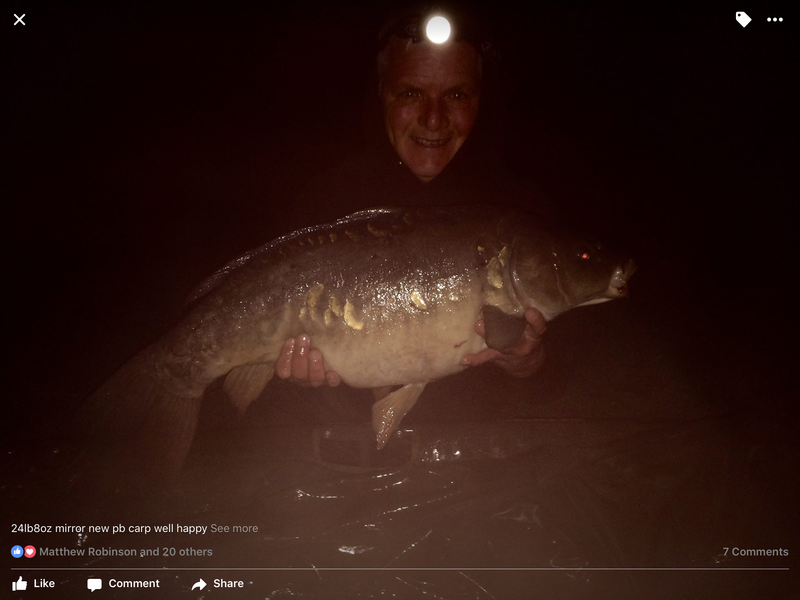 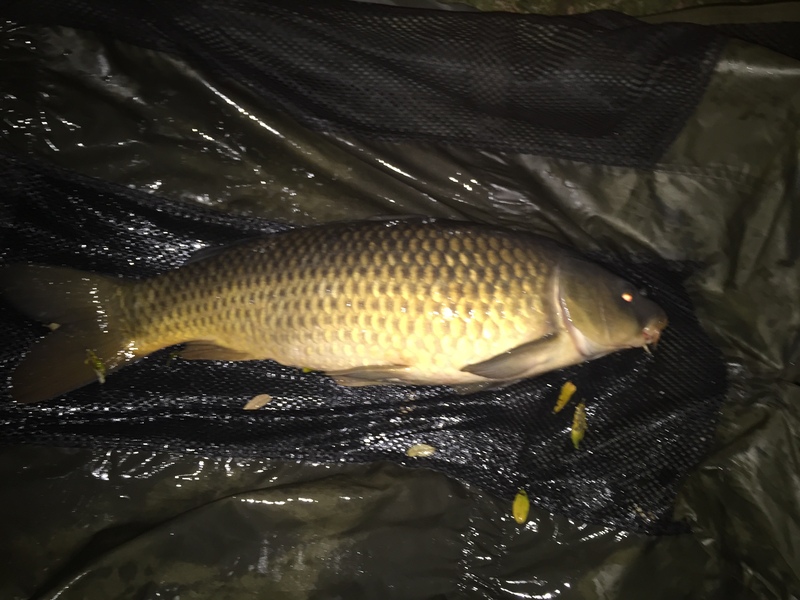 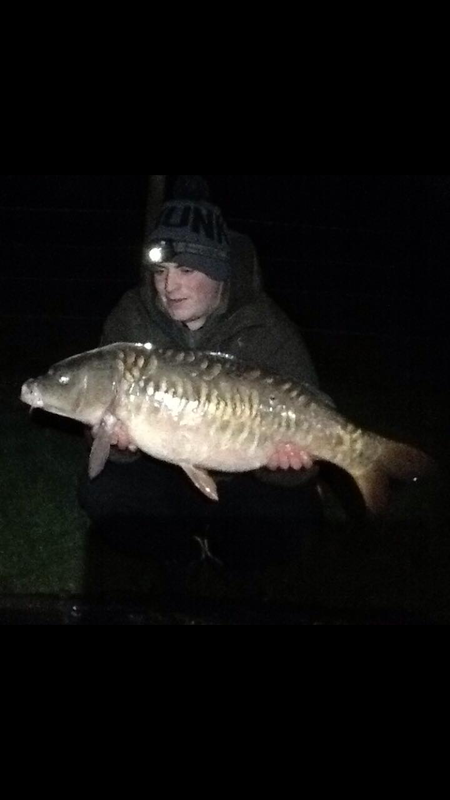 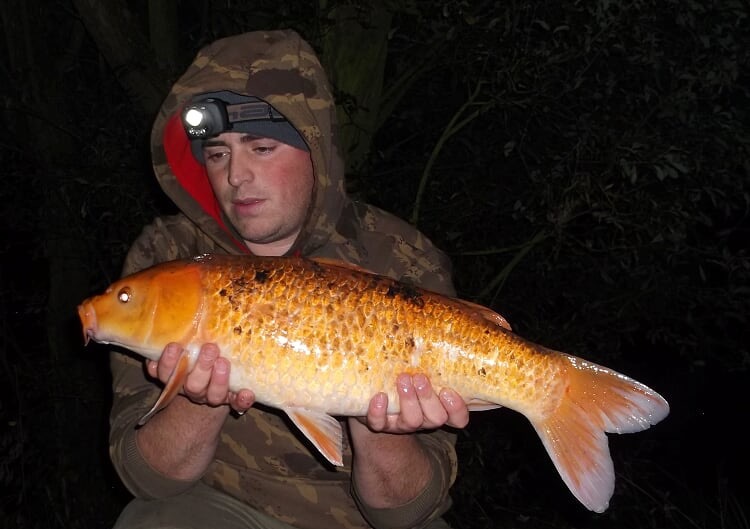 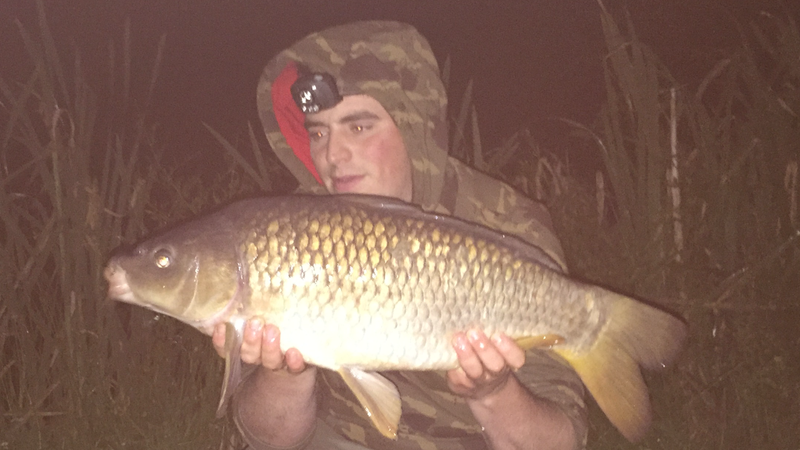 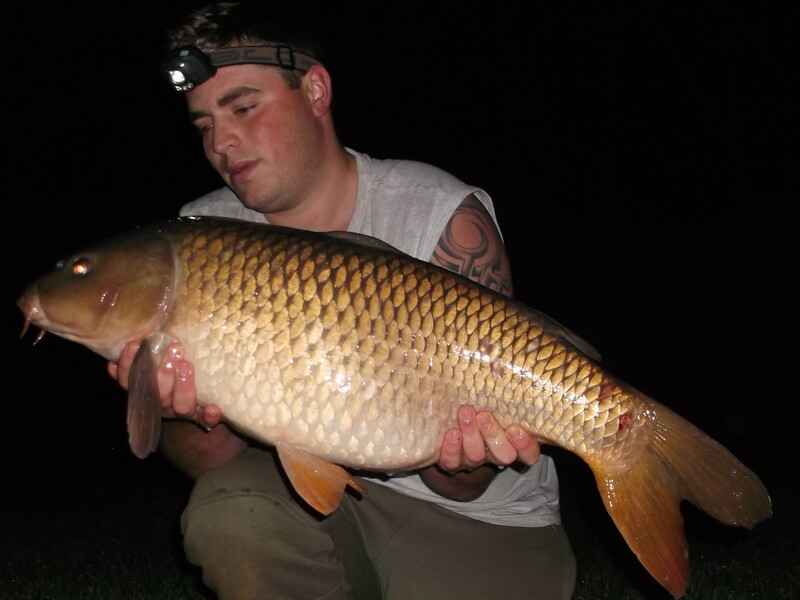 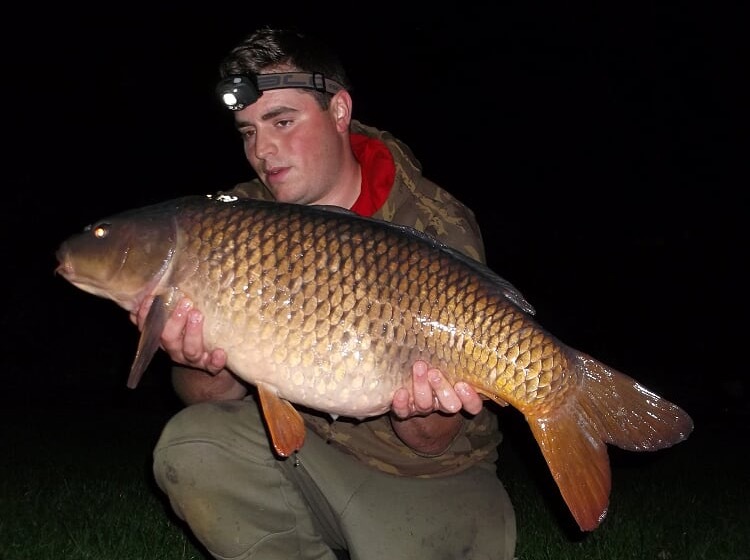 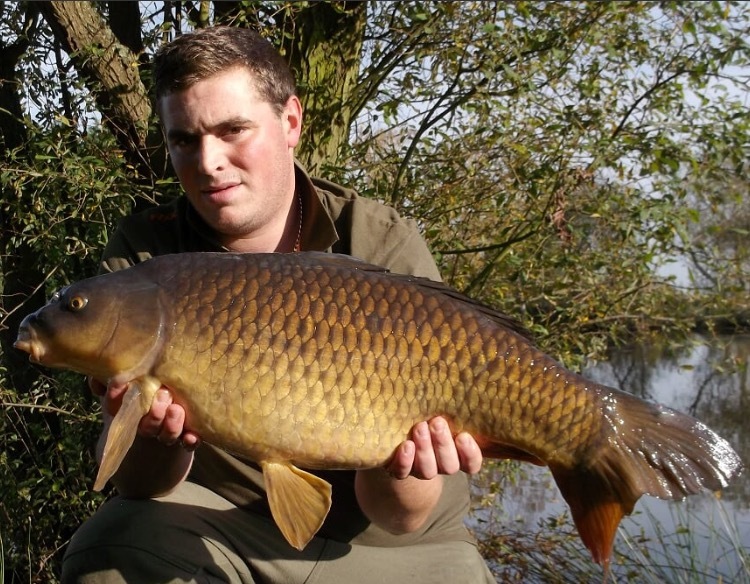 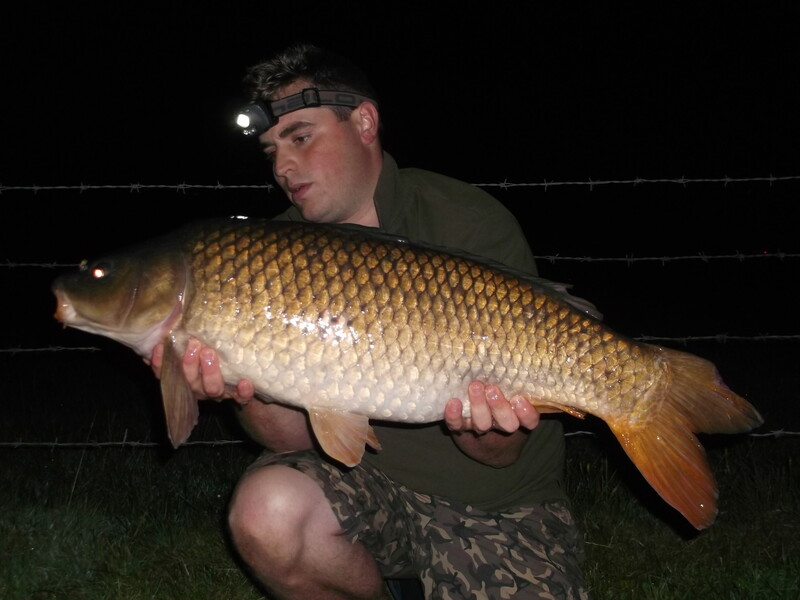 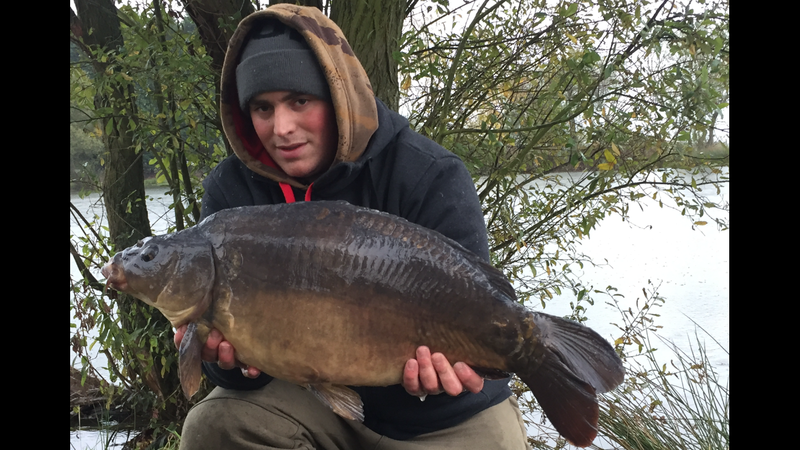 During a fishing session in early December 2015 Pete Mildenhall caught a 22lbs 7oz Carp at 2.30am in the morning. 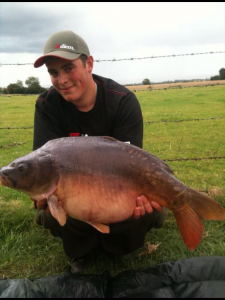 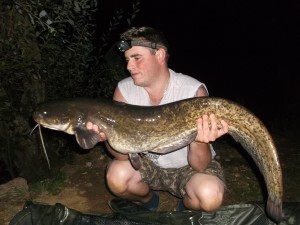 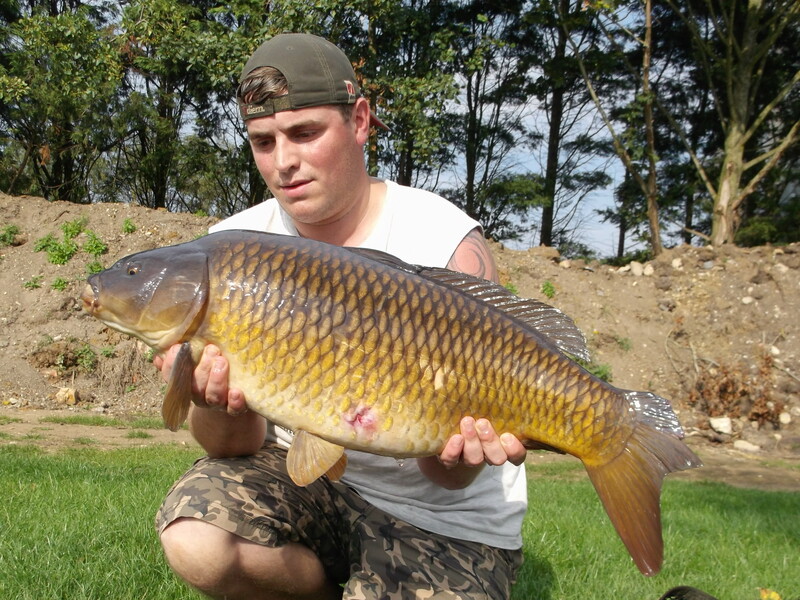 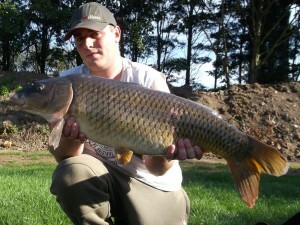 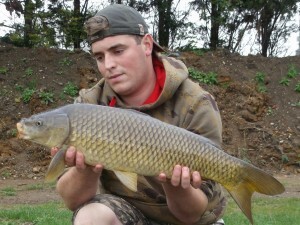 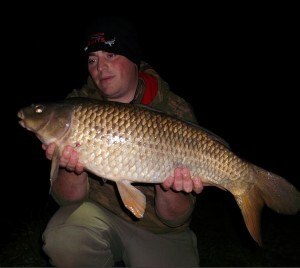 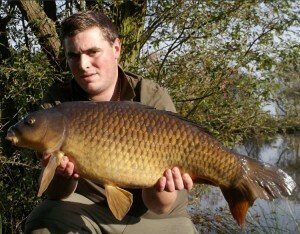 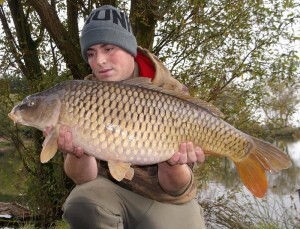 The other photographs are from other fishing sessions during the summer months.